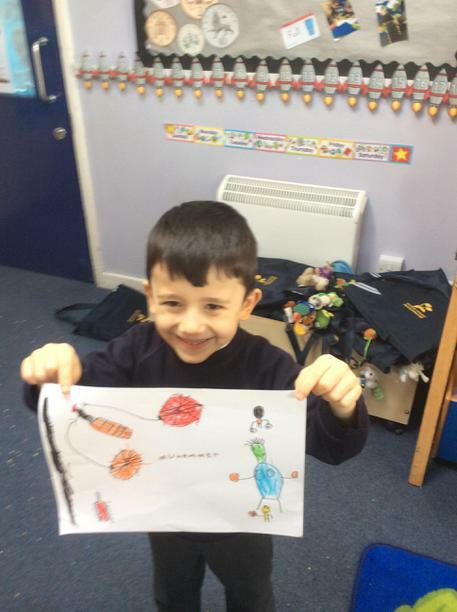 During term 6 our topic will be fairy tales. 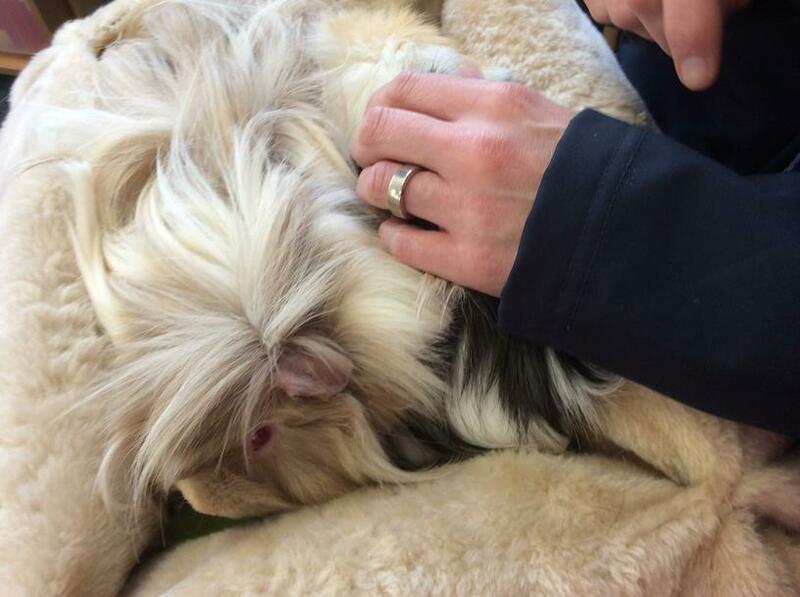 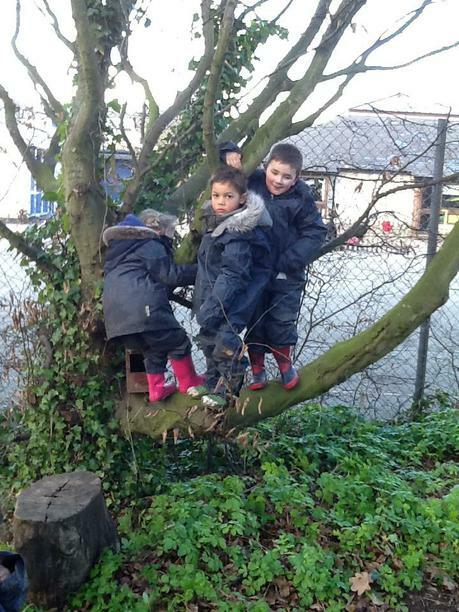 Wow, we have already arrived at our fifth term, where has the time gone? 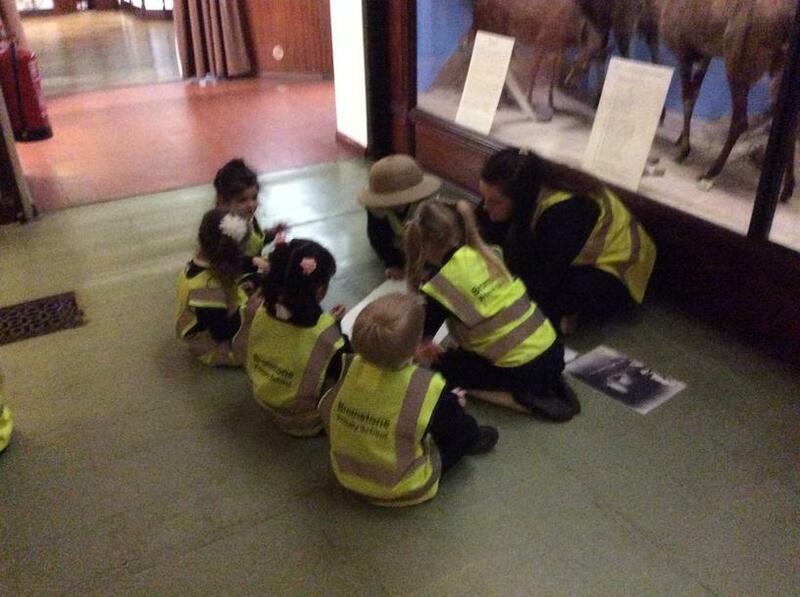 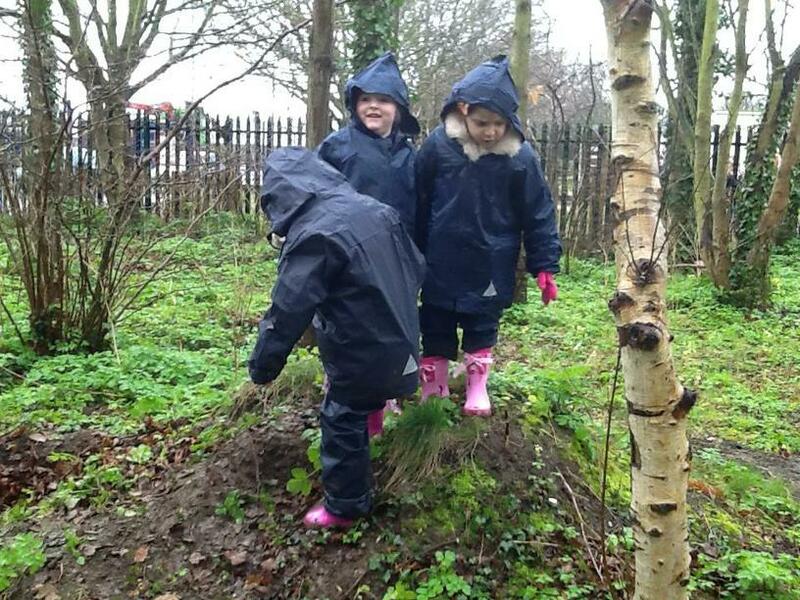 The children are relishing our new topic 'Our Living World'! 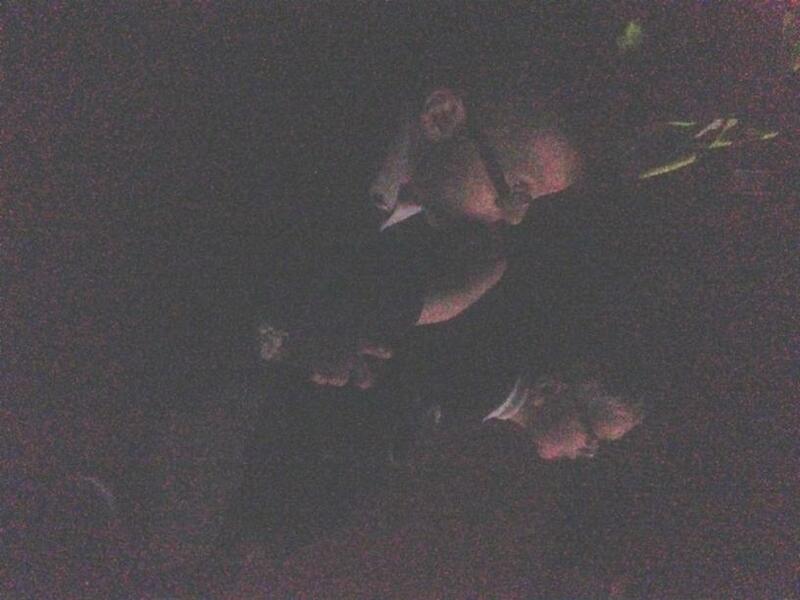 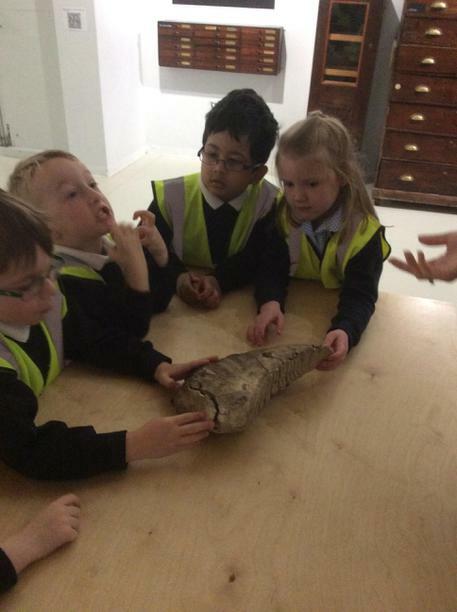 They are demonstrating fantastic knowledge of the world and the living things in it. 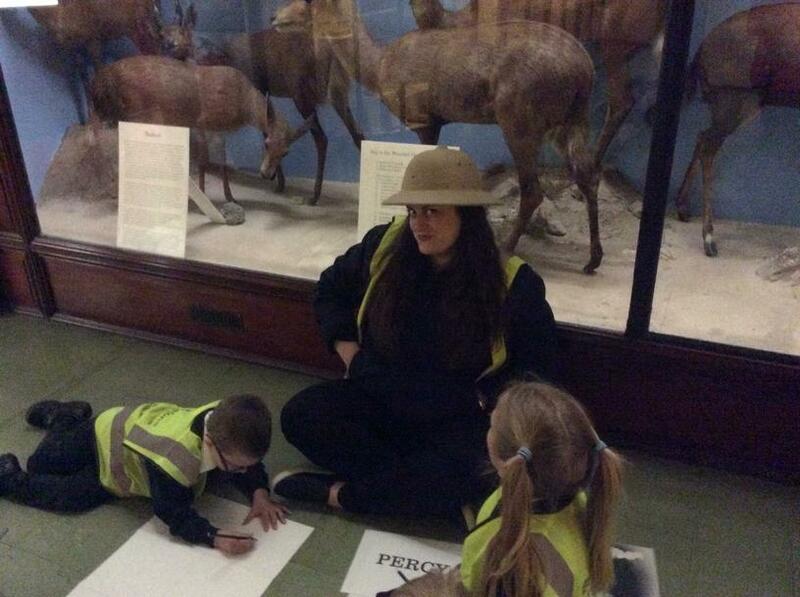 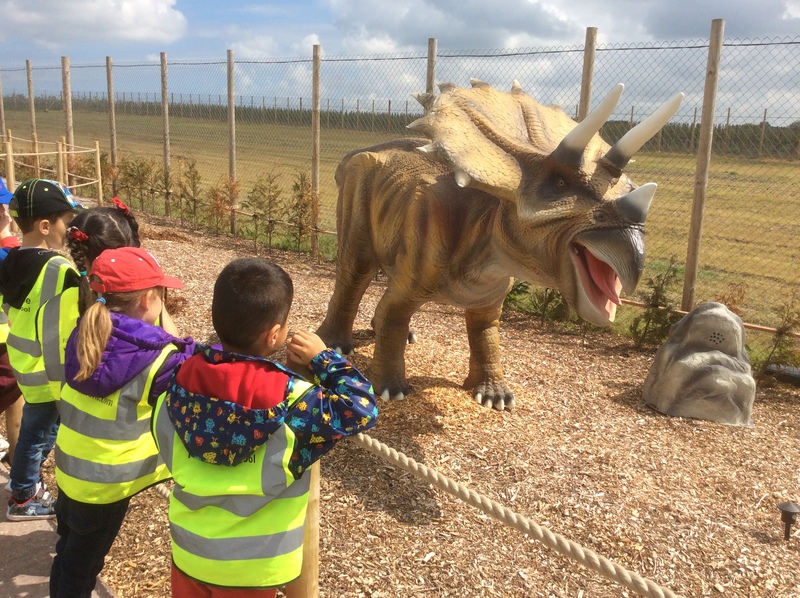 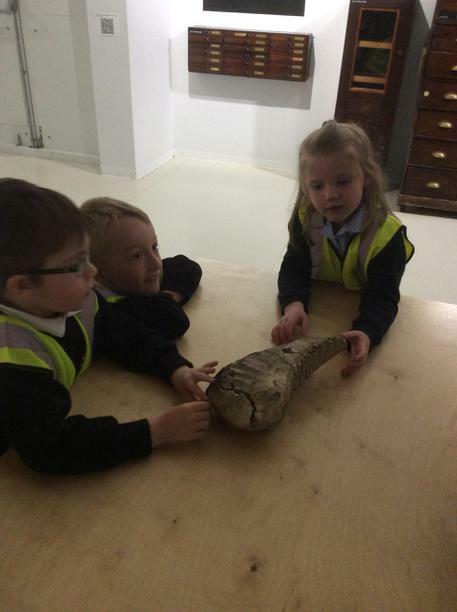 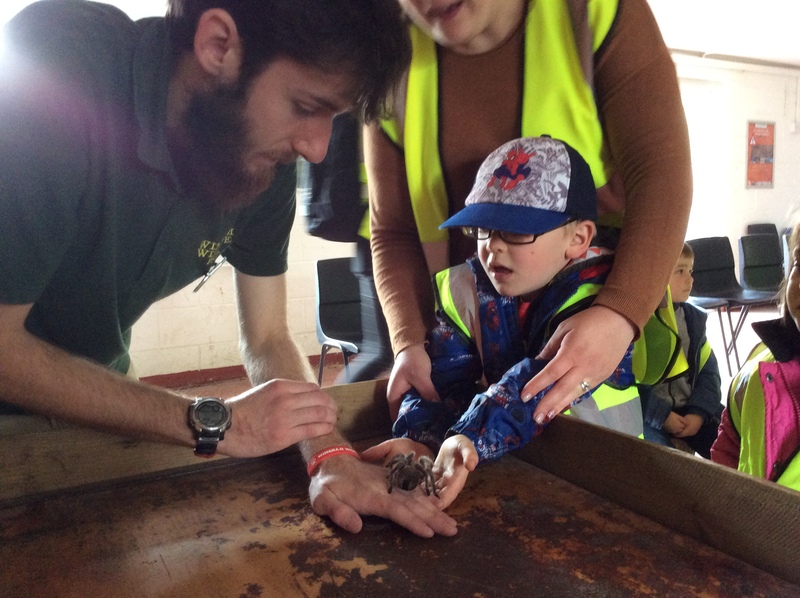 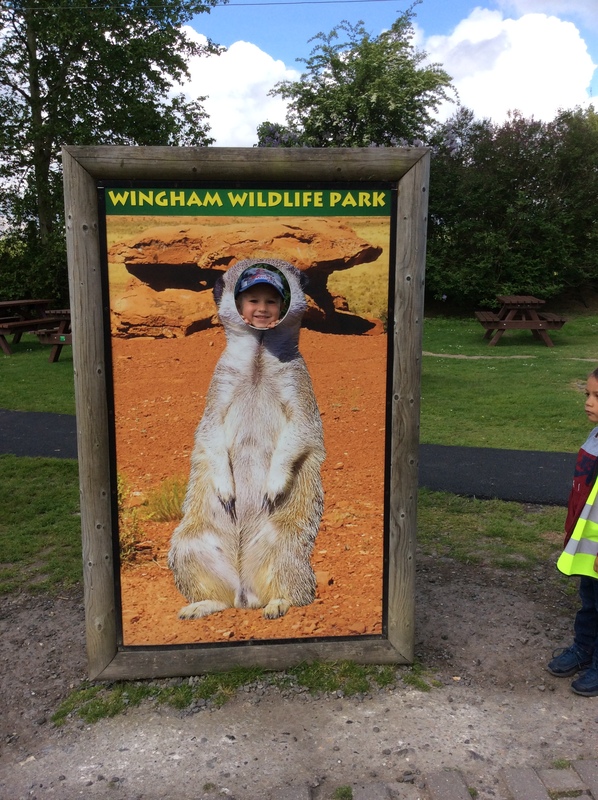 Many of the children have already gone to the amazing Powell museum at Quex Park and soon we will be going to Wingham Wildlife Park to learn even more about animals! 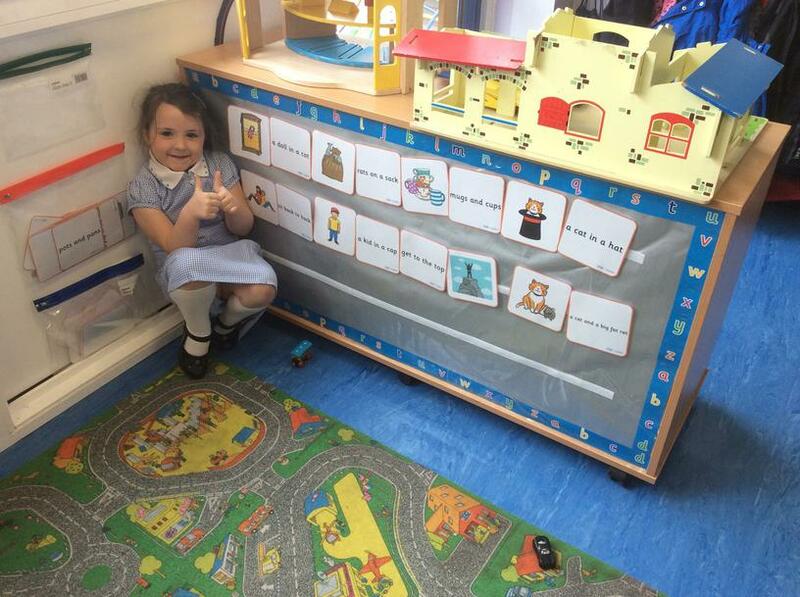 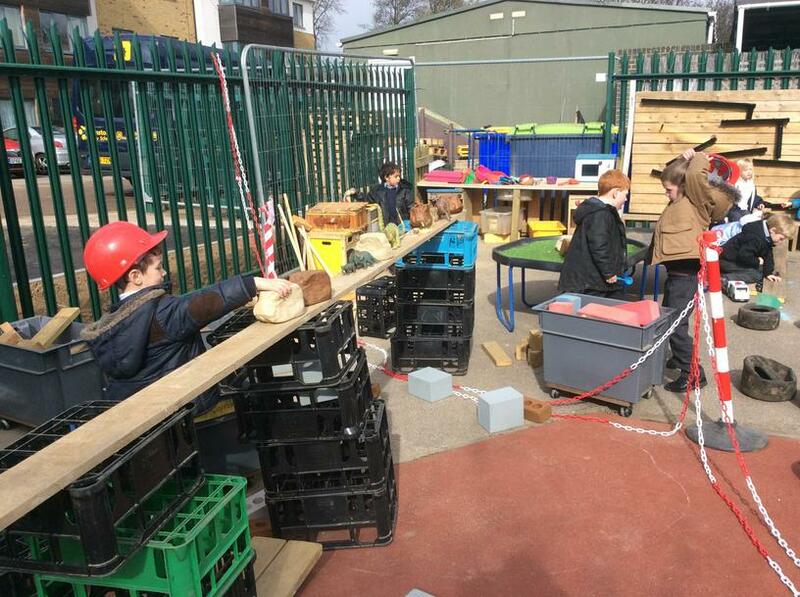 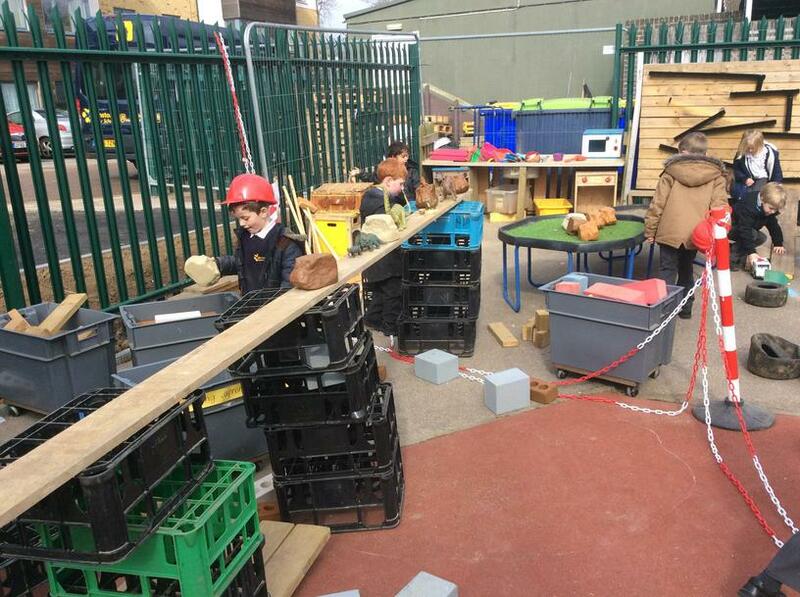 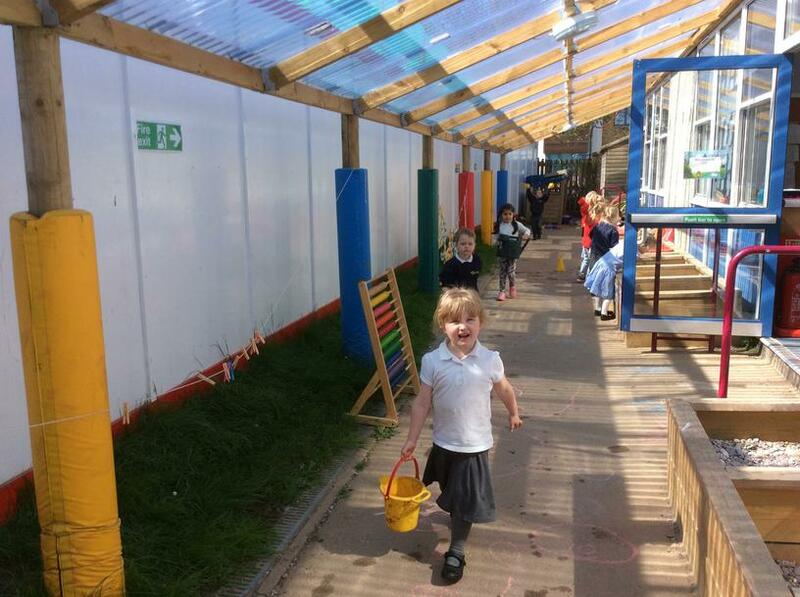 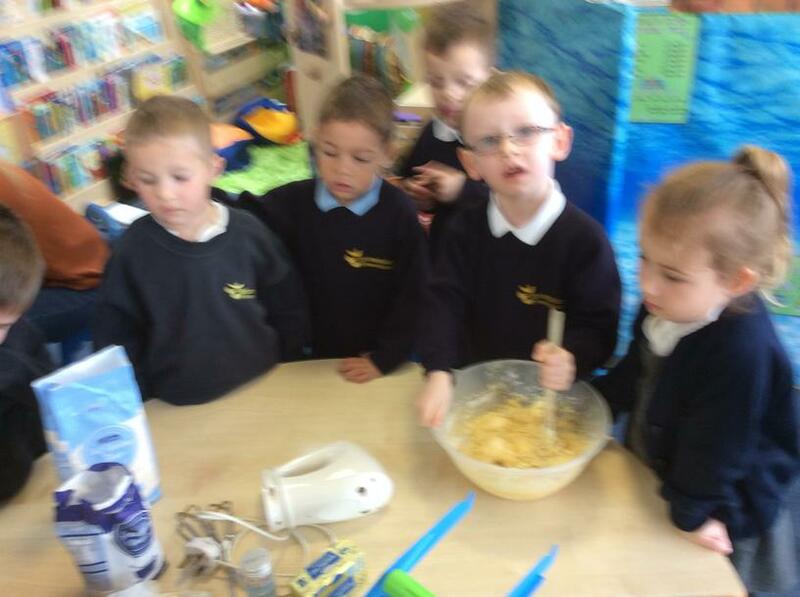 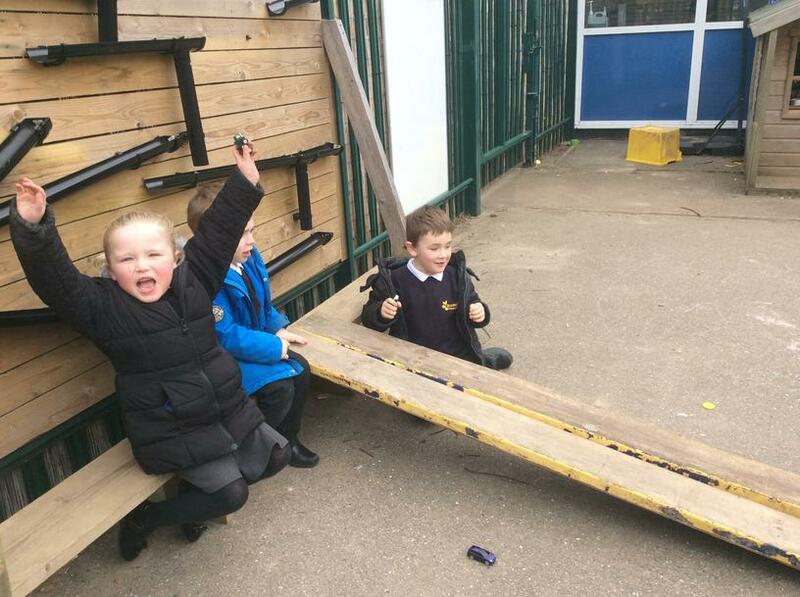 The children are showing fantastic learning powers in our continuously developing environment. 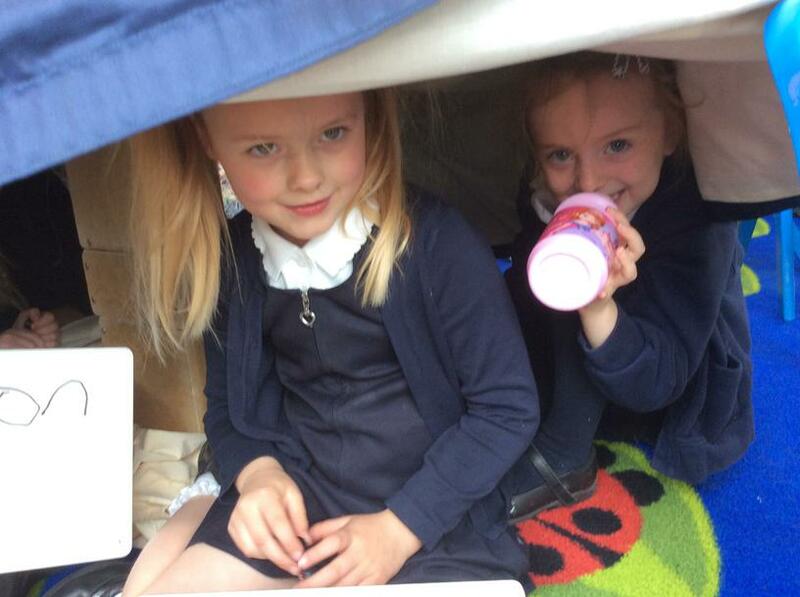 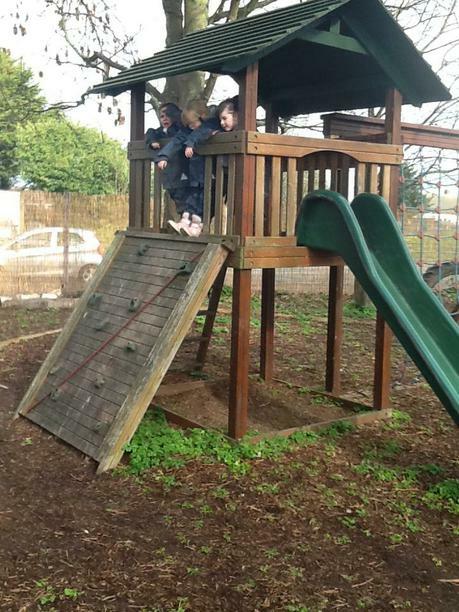 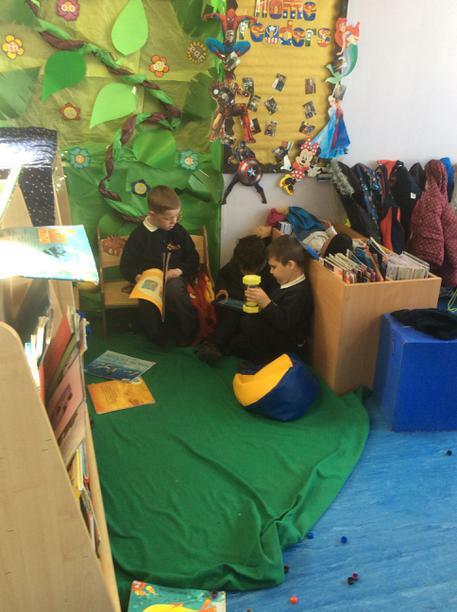 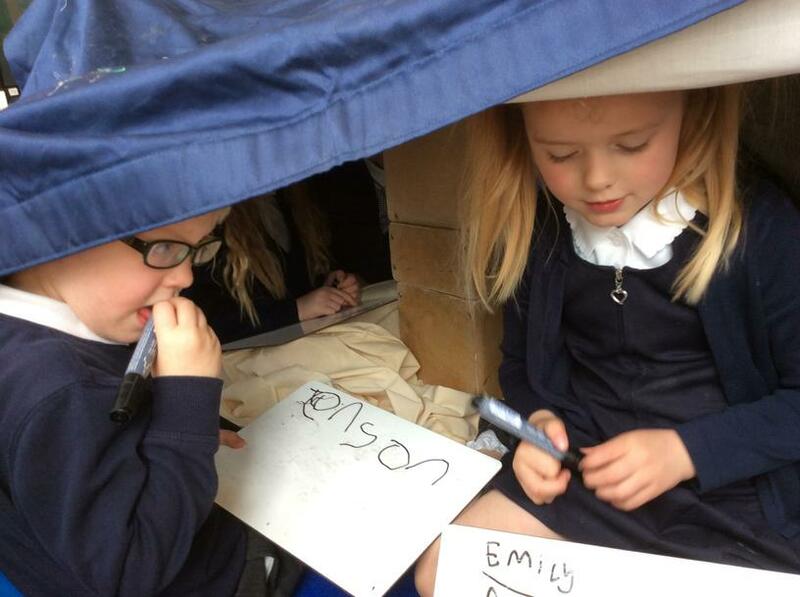 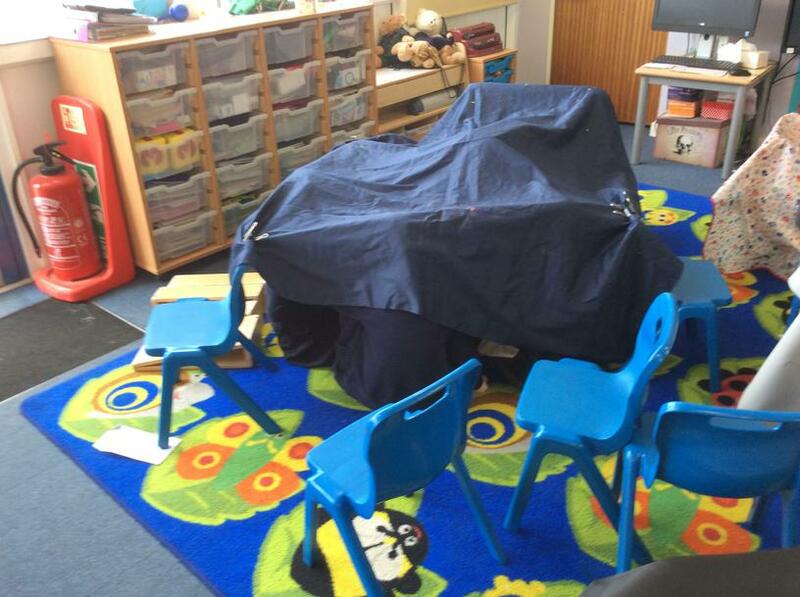 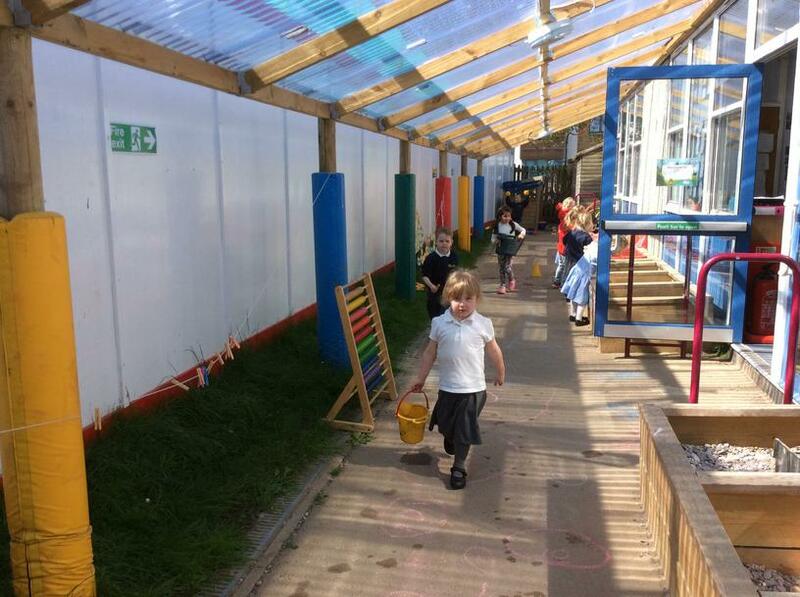 This includes the book corners, role play areas, outdoors, forest school, writing areas and much more. 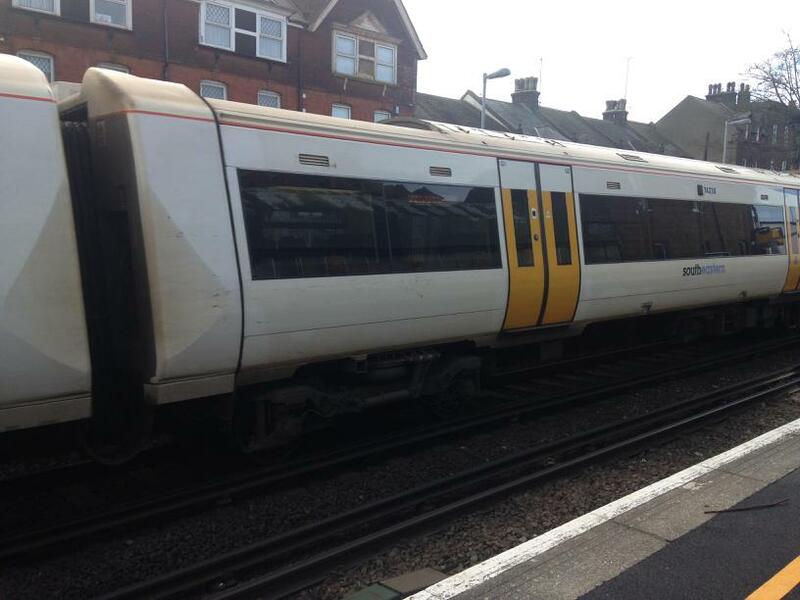 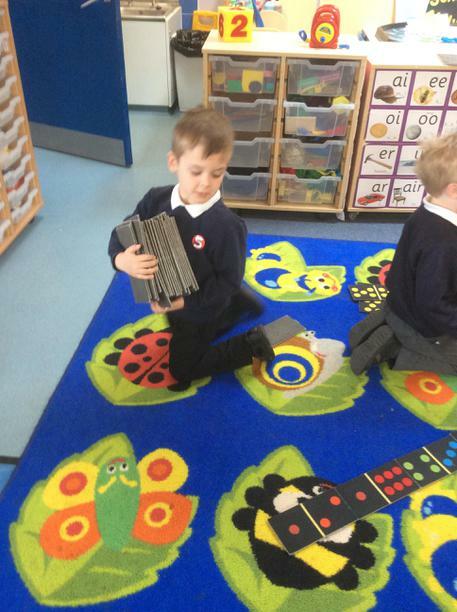 Examples of this can be seen in the photos below. 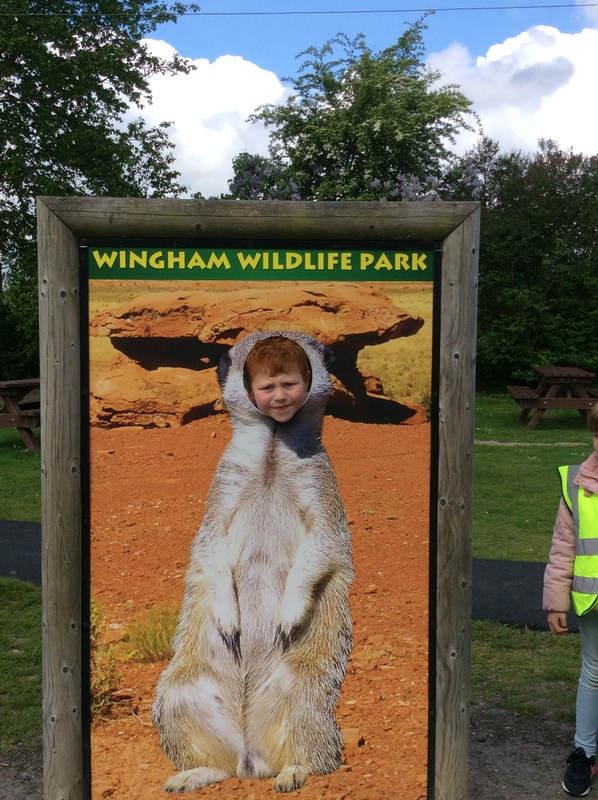 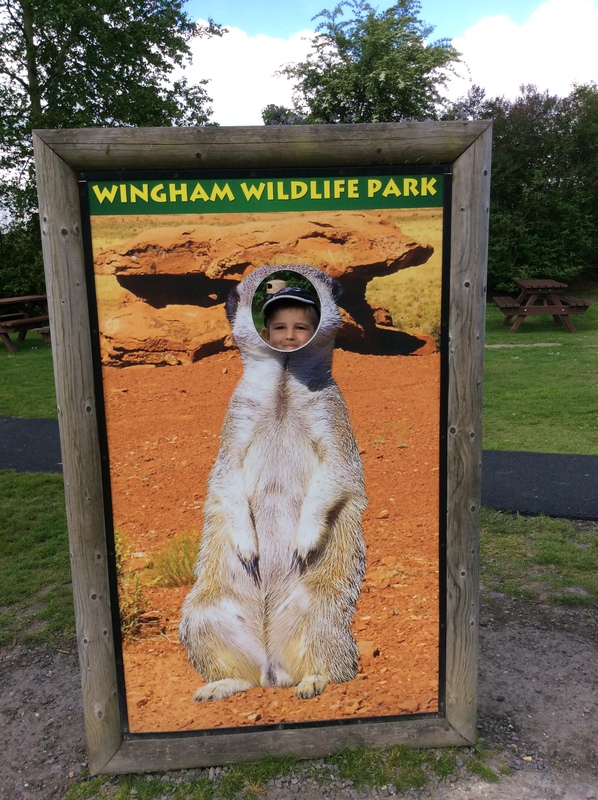 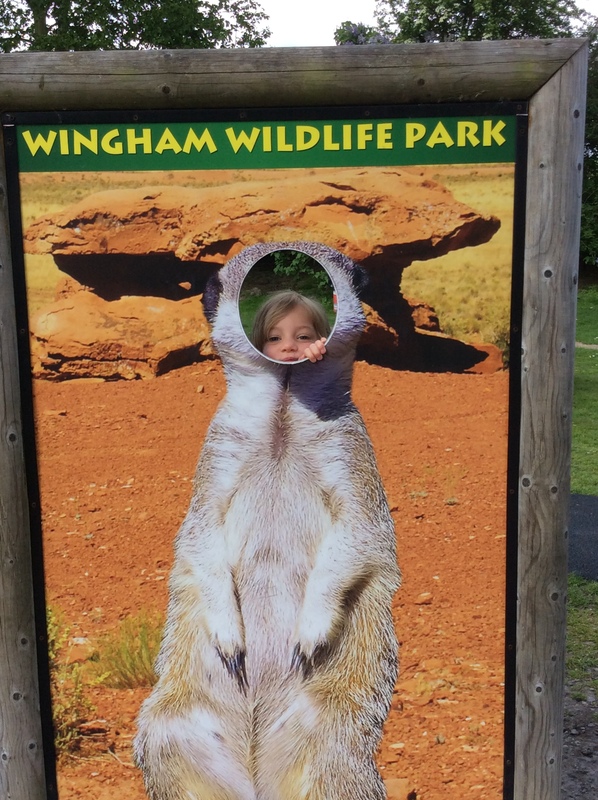 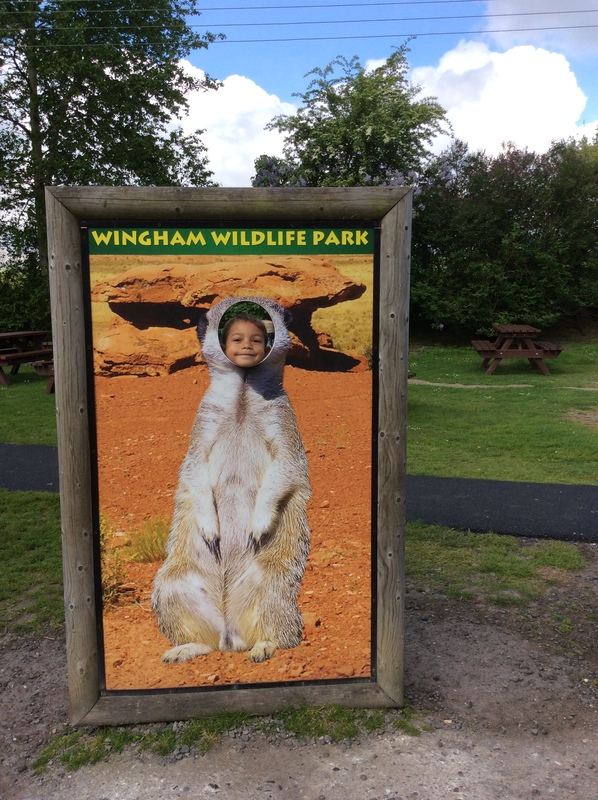 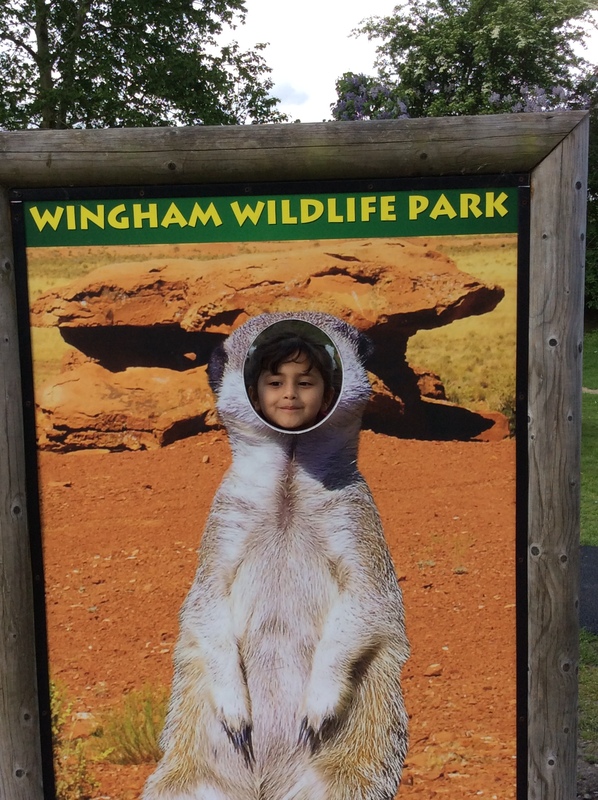 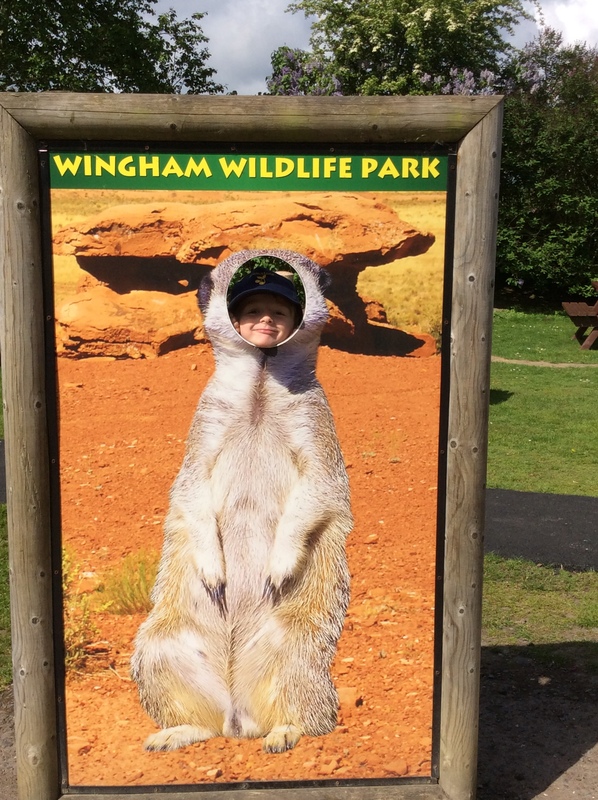 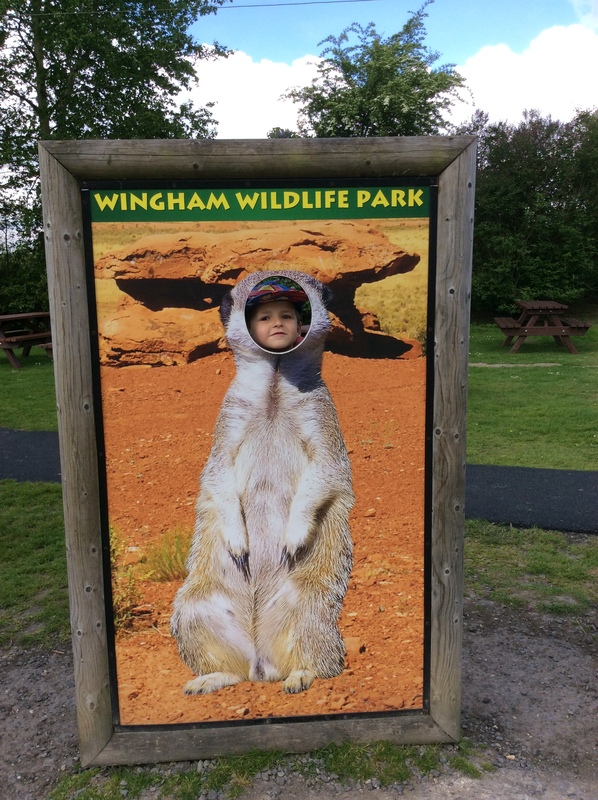 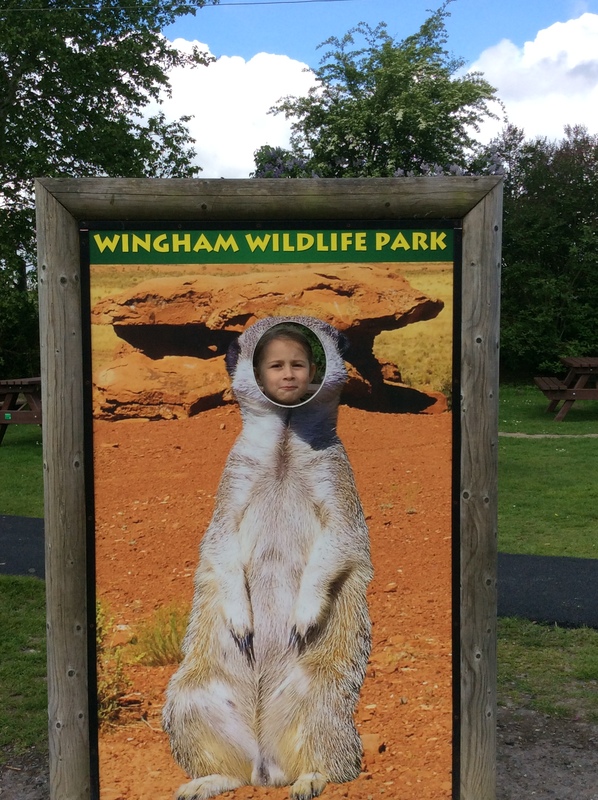 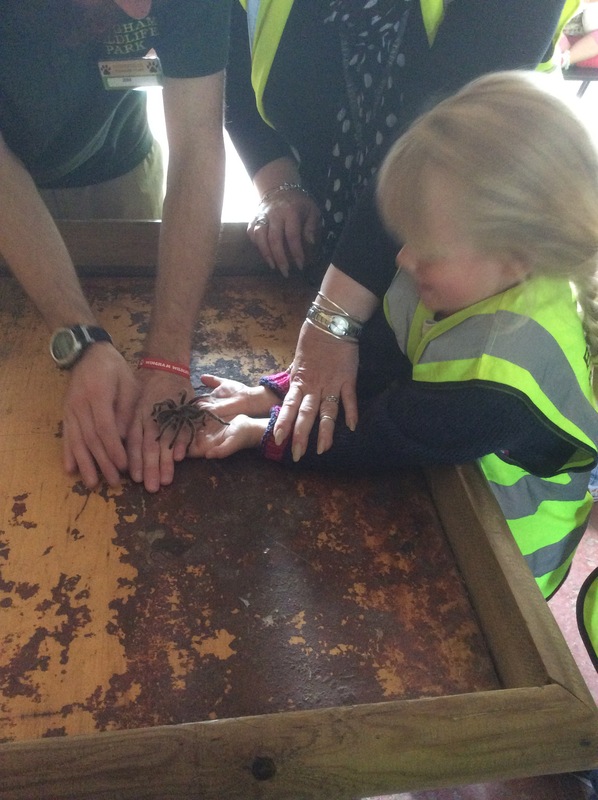 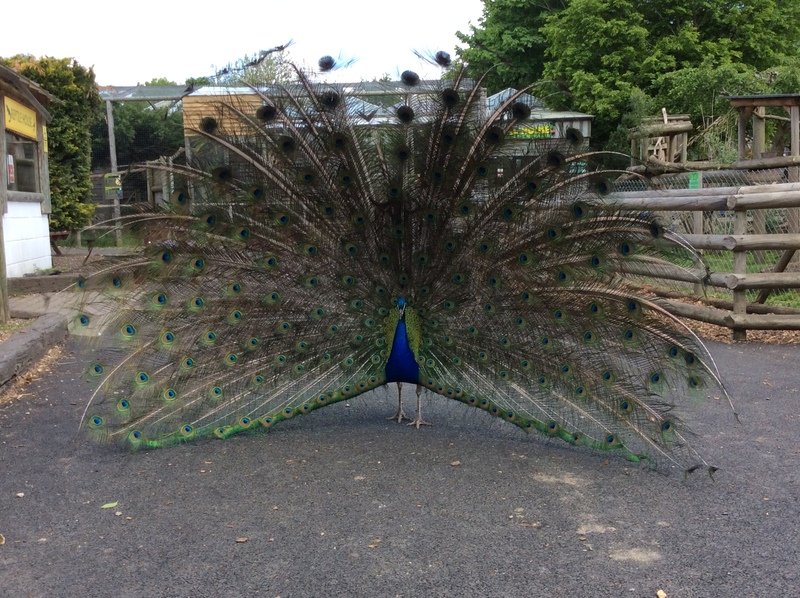 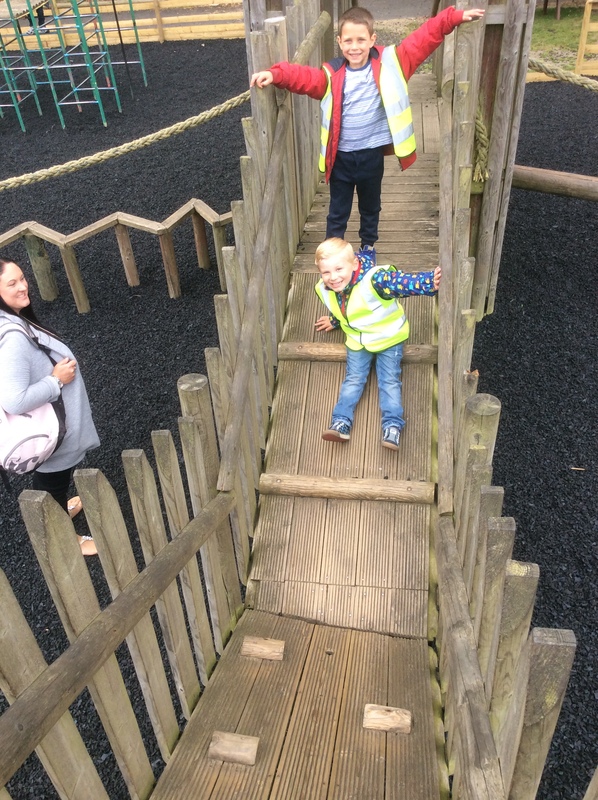 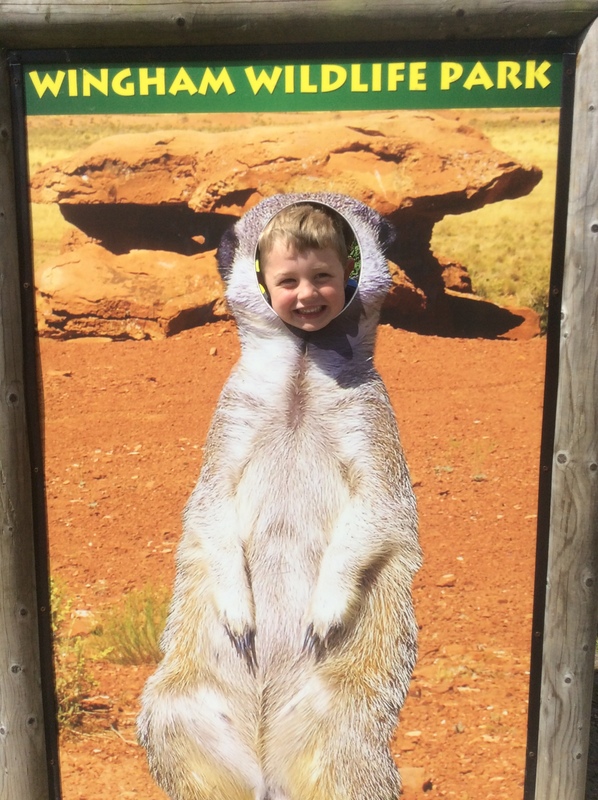 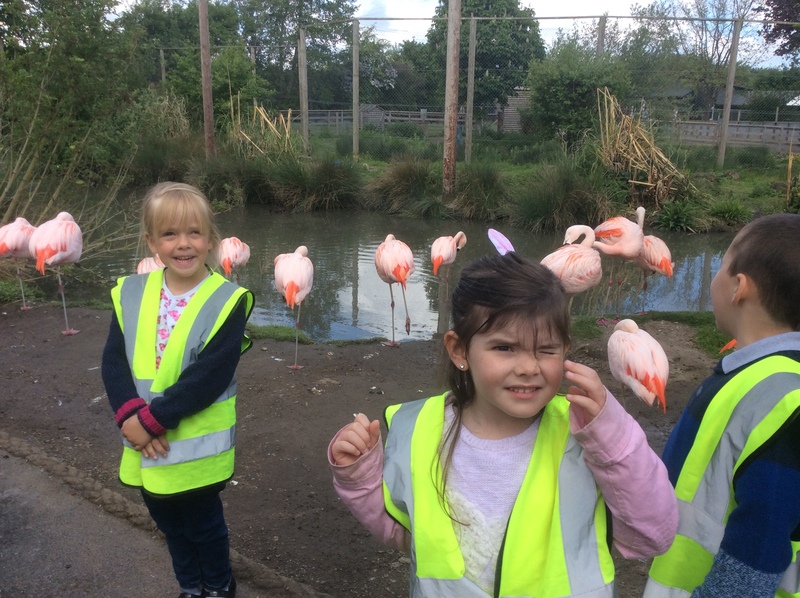 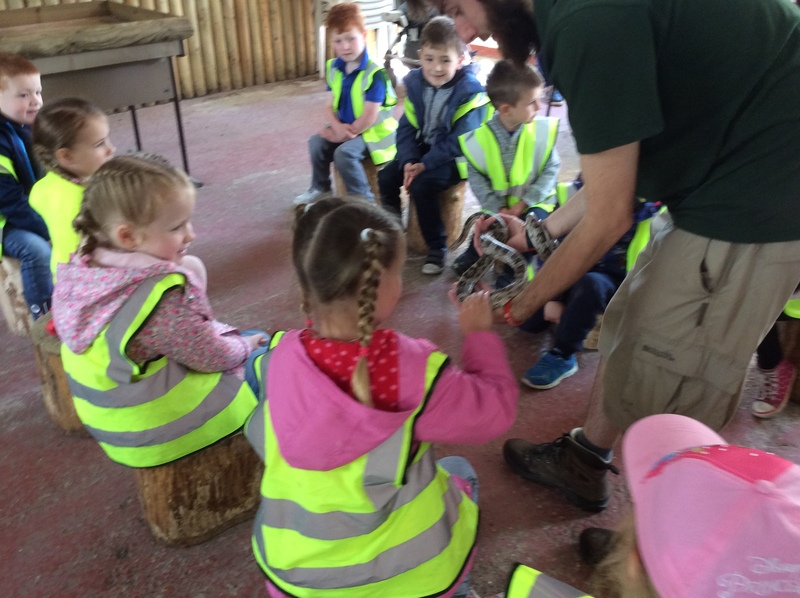 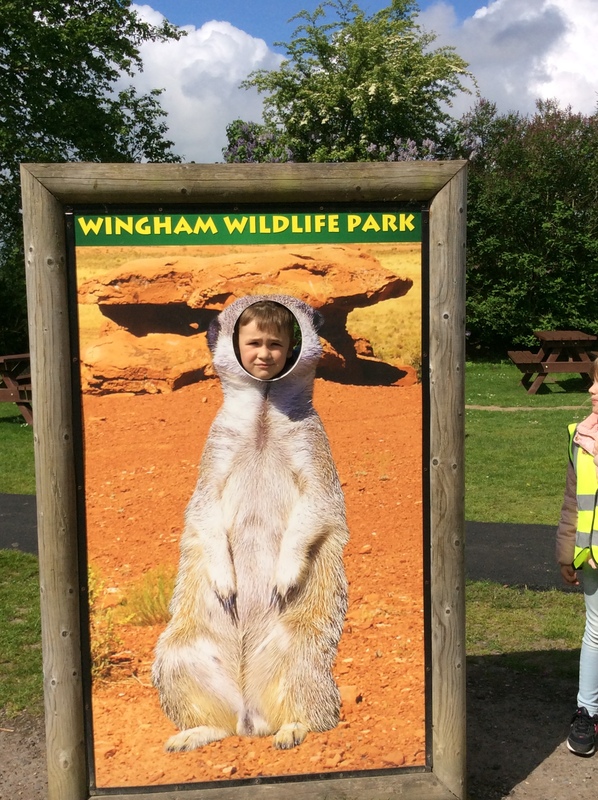 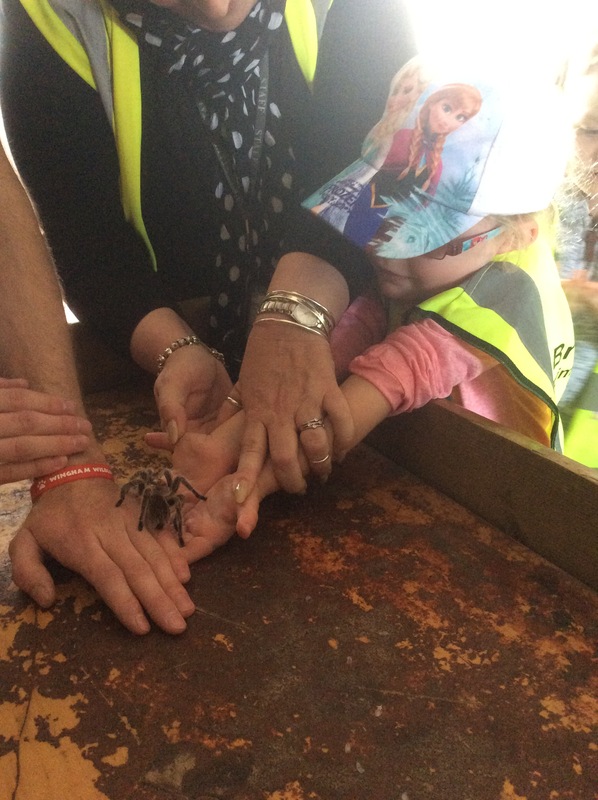 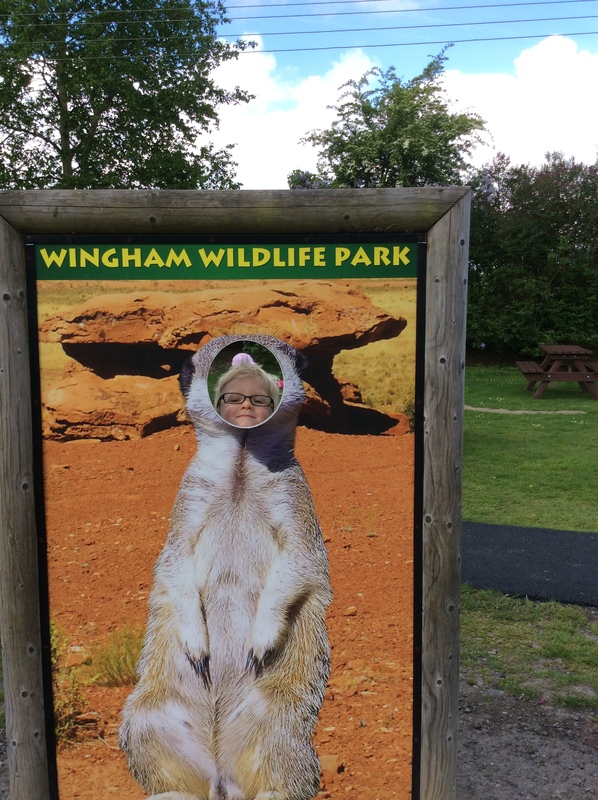 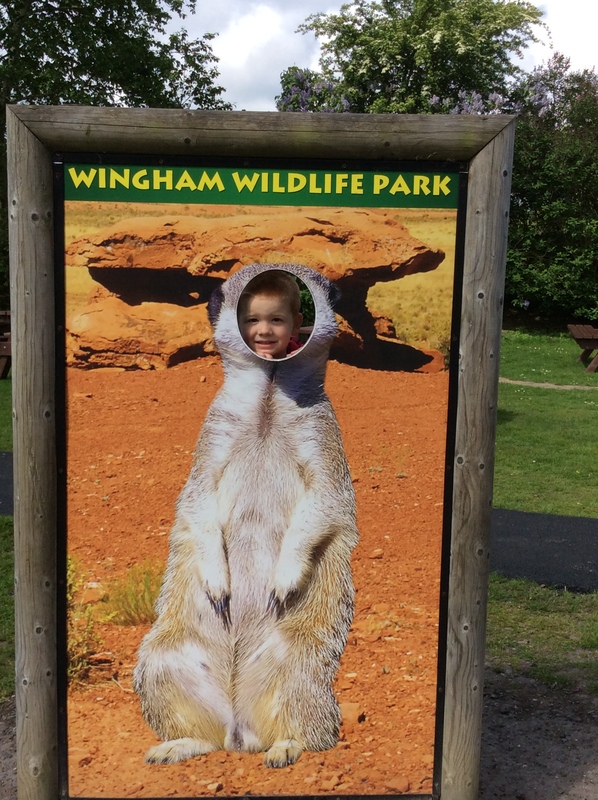 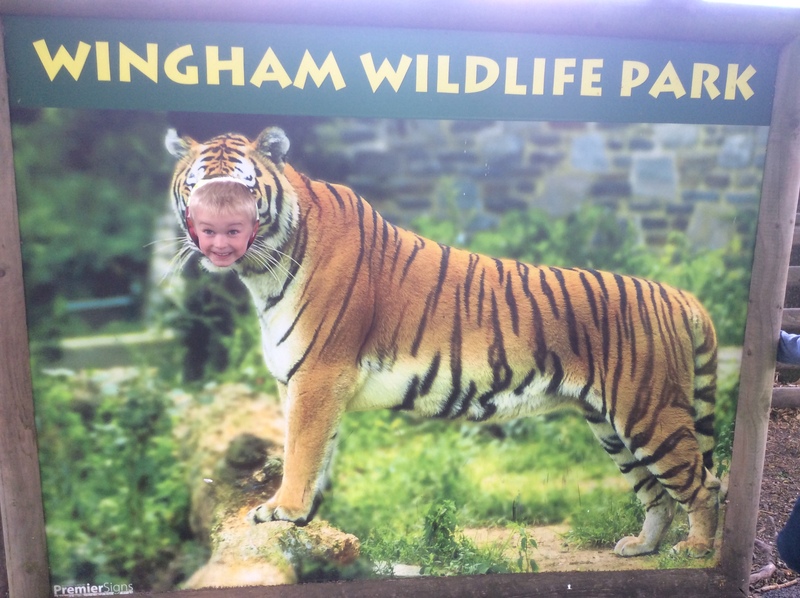 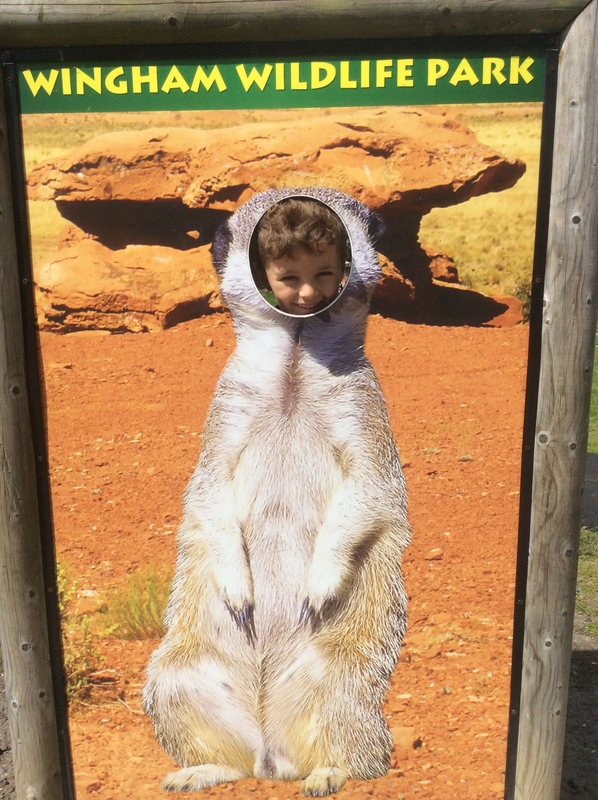 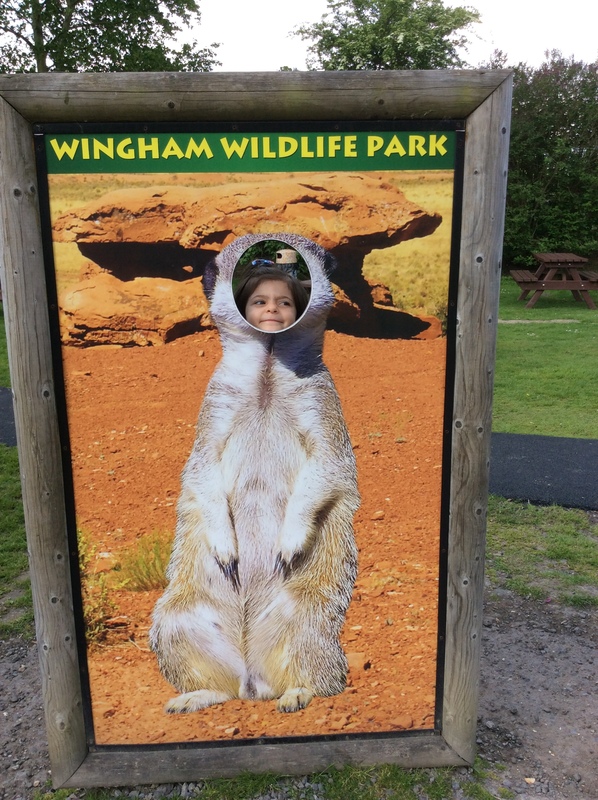 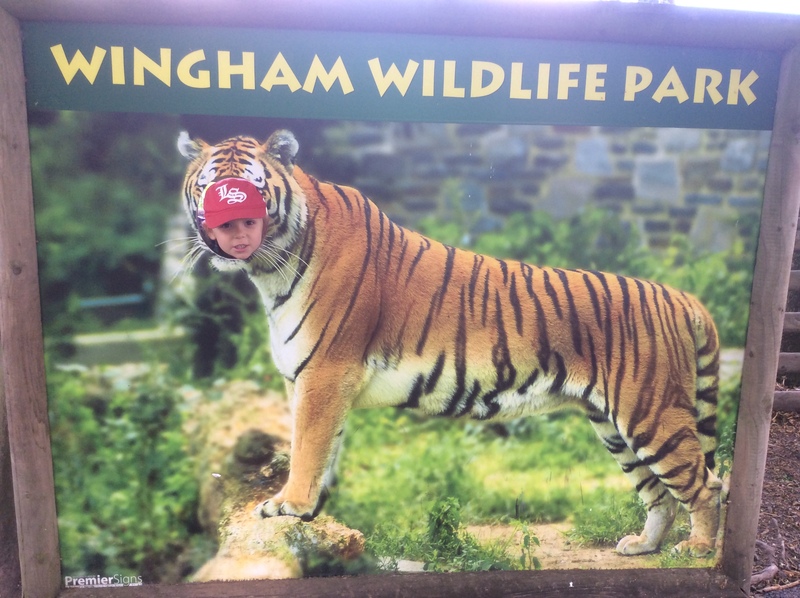 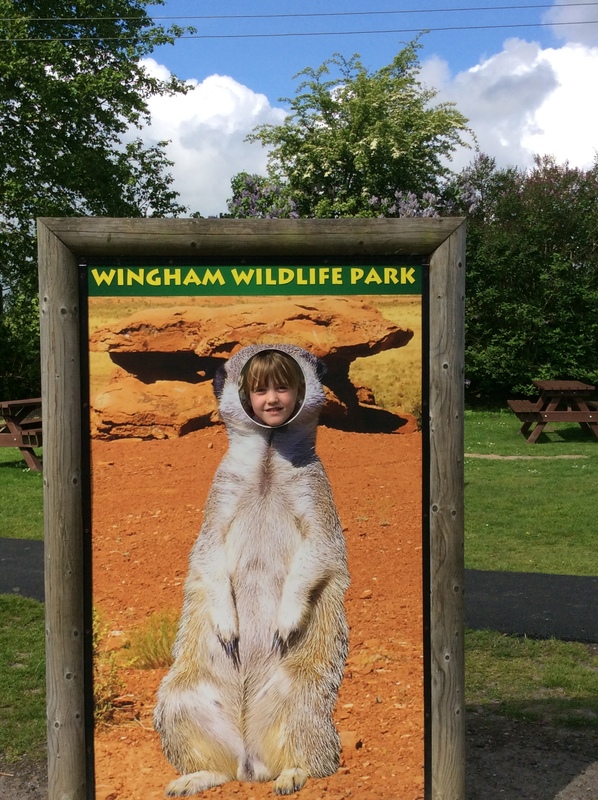 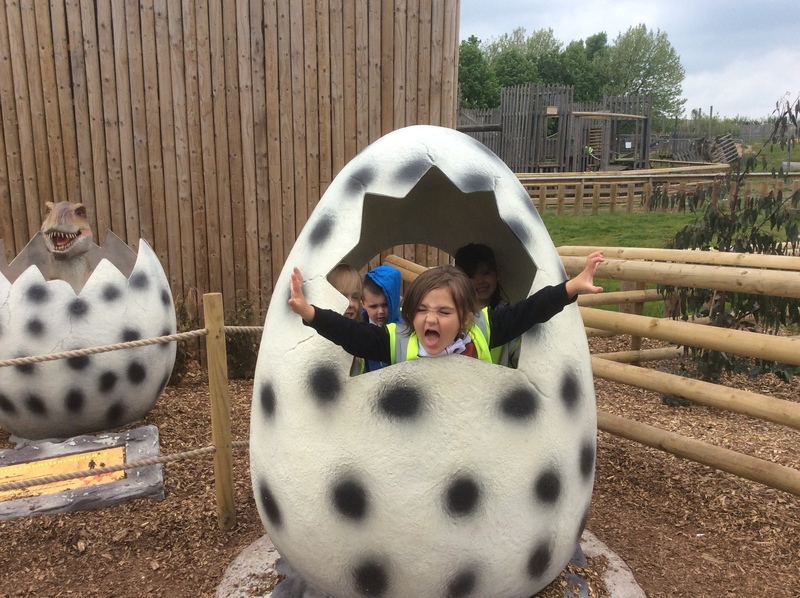 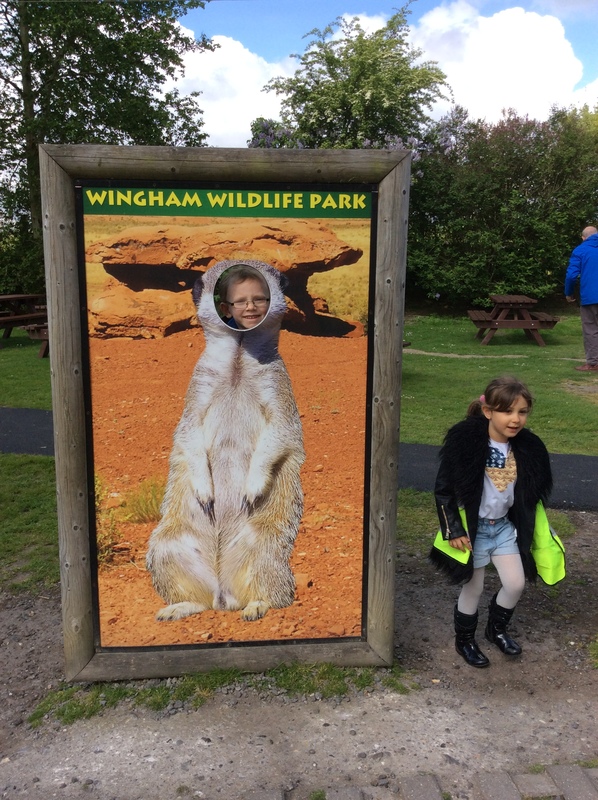 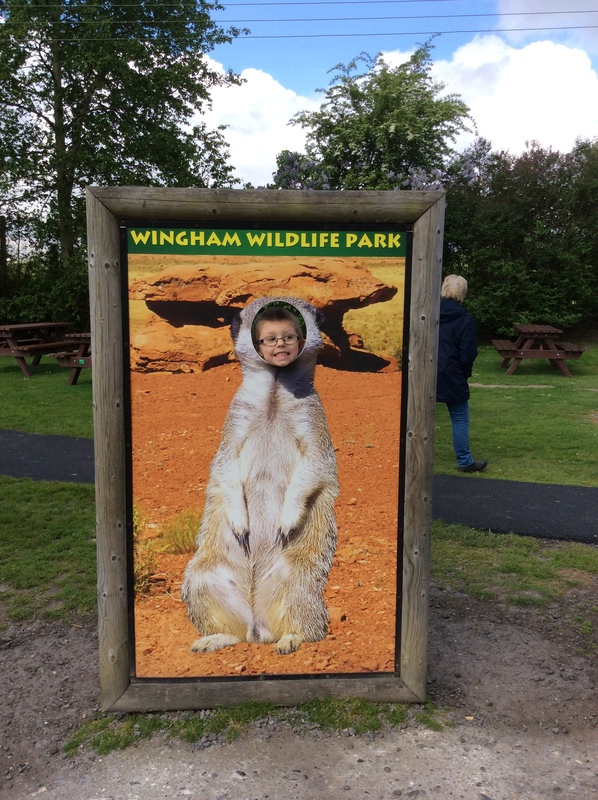 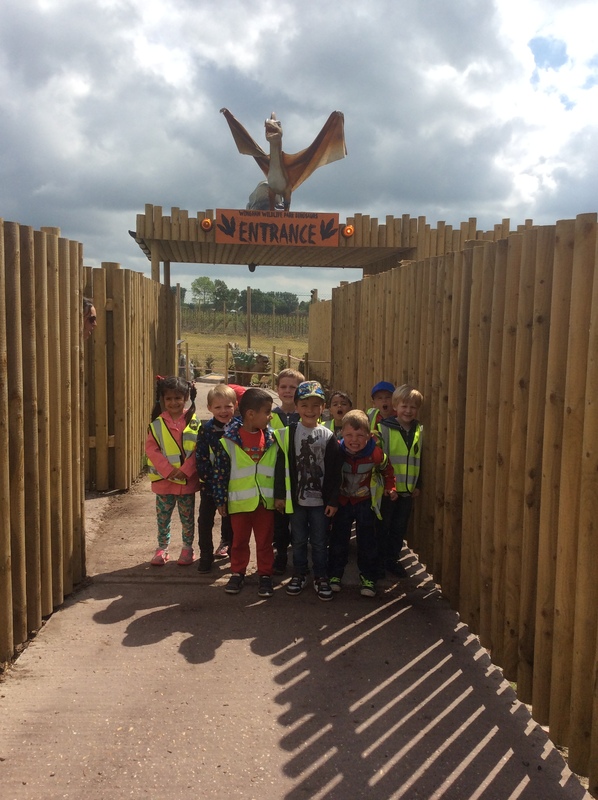 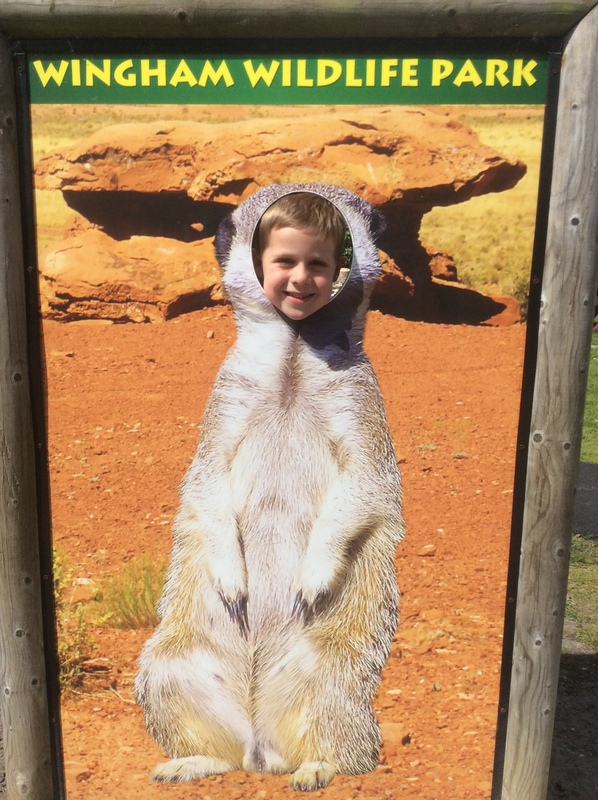 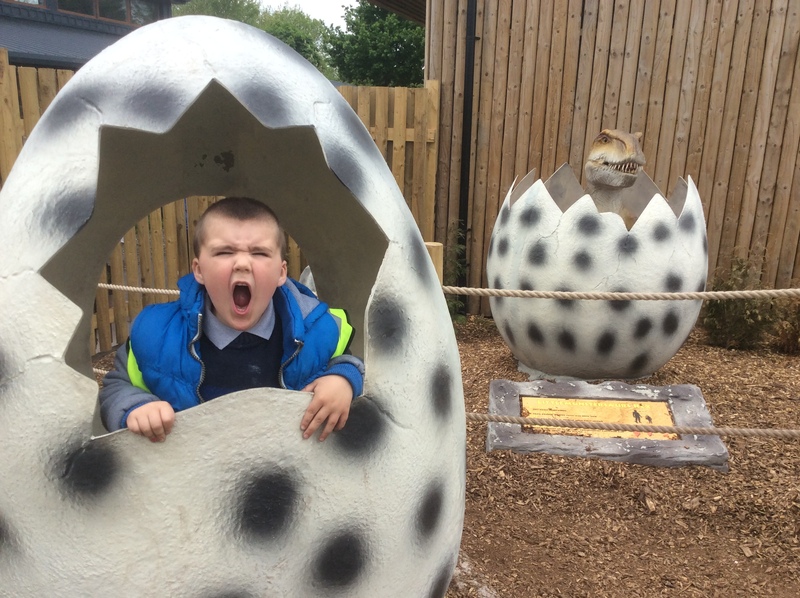 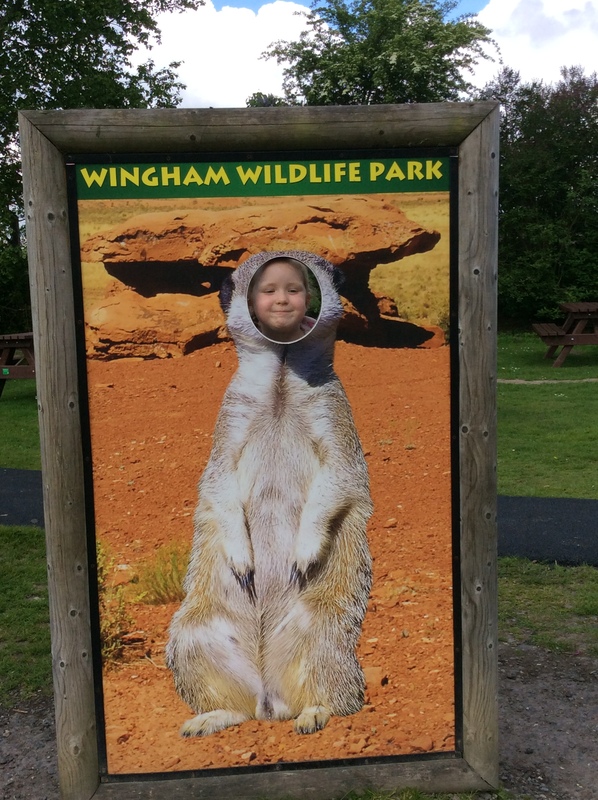 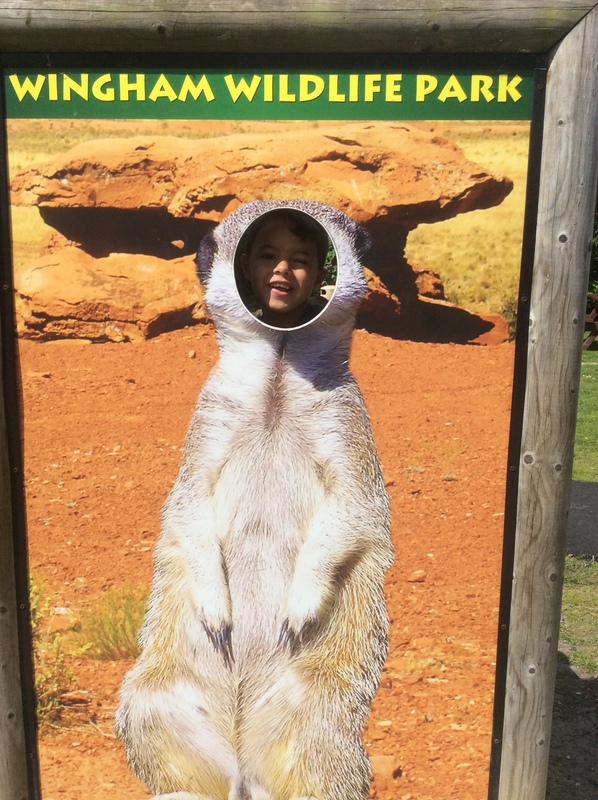 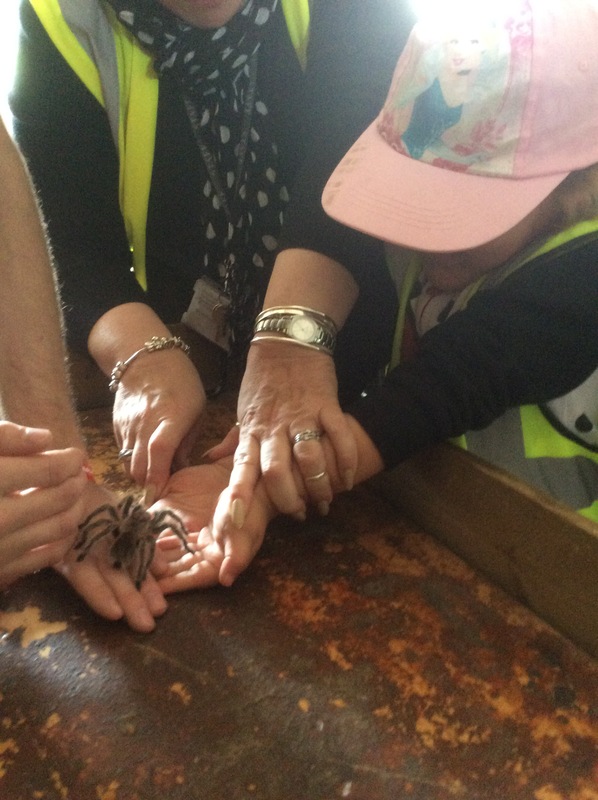 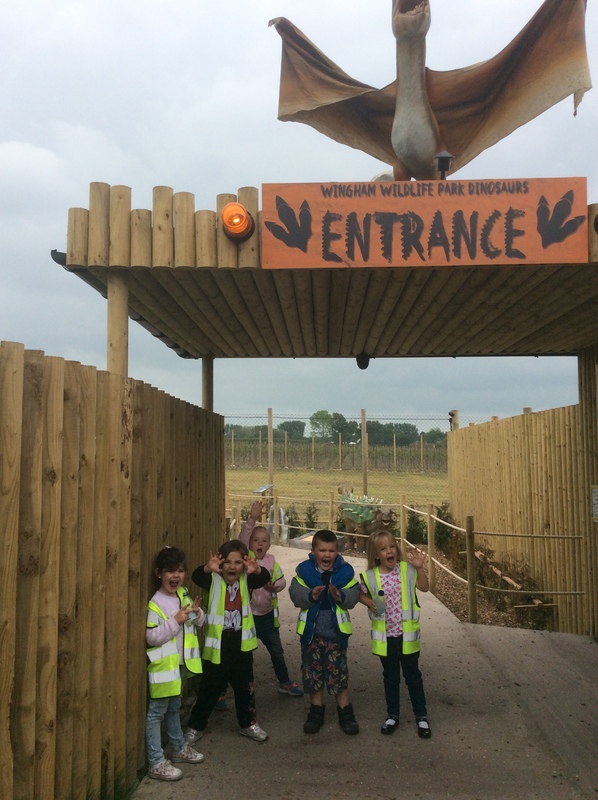 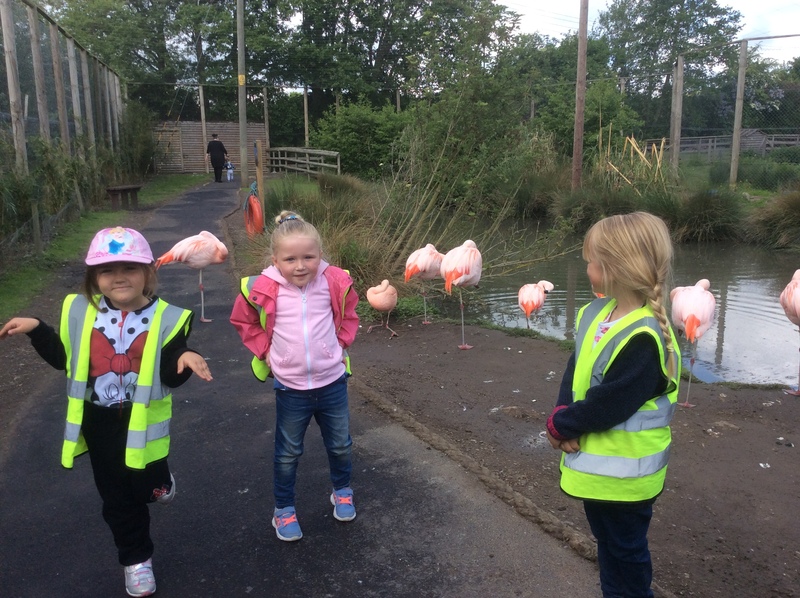 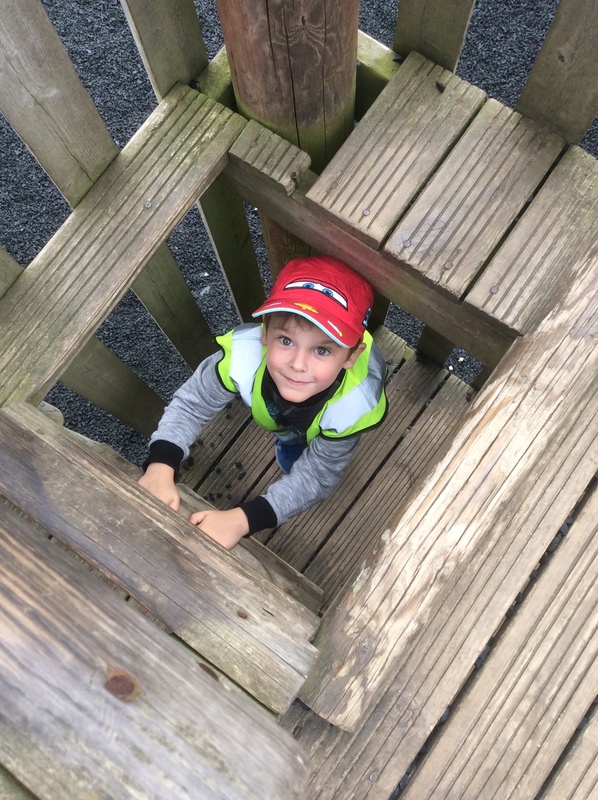 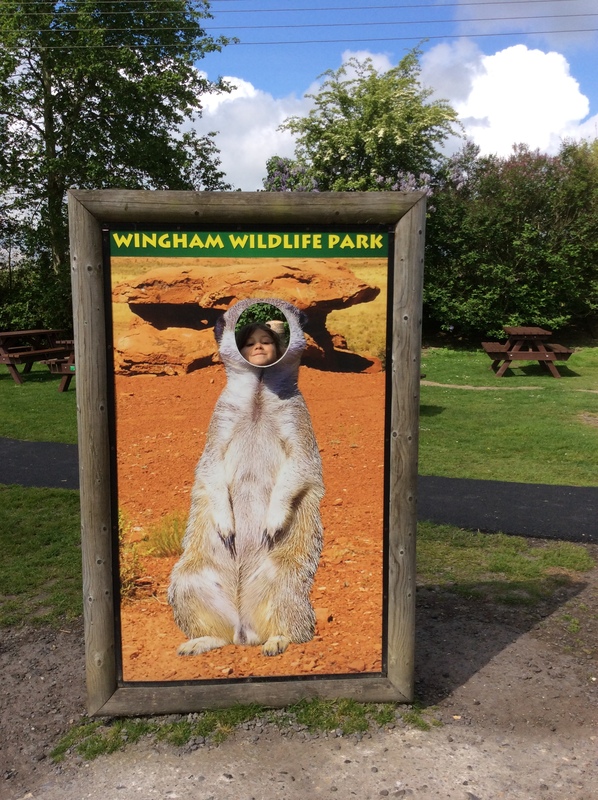 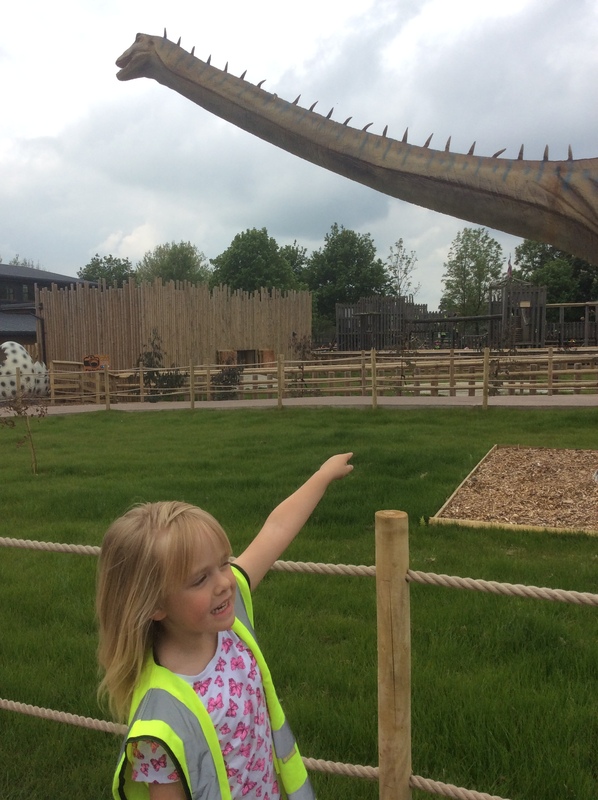 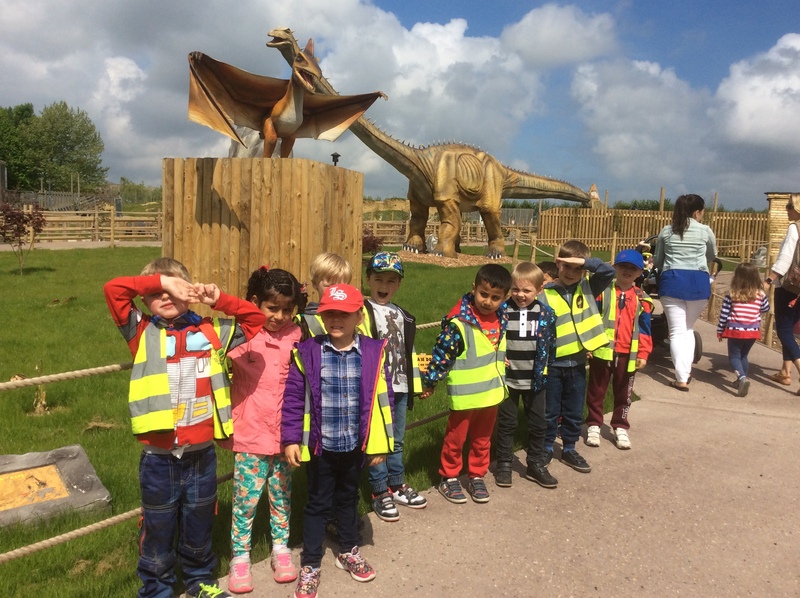 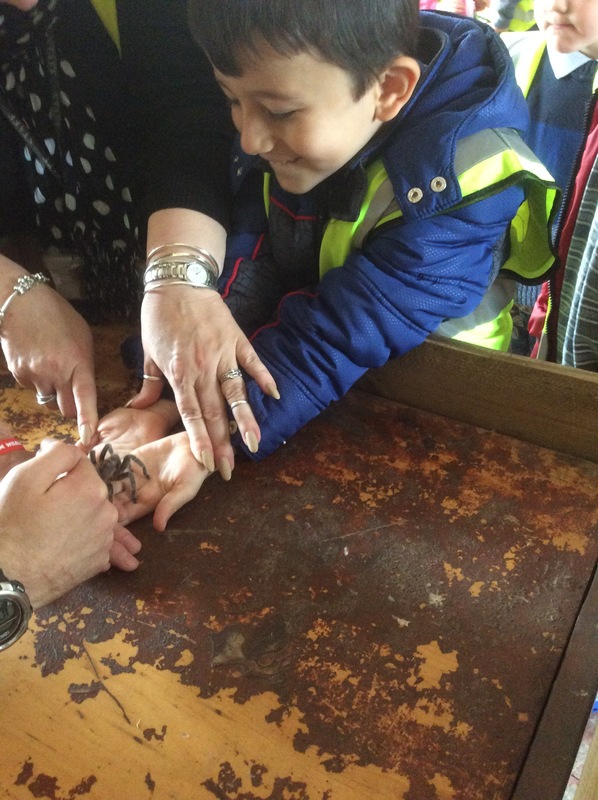 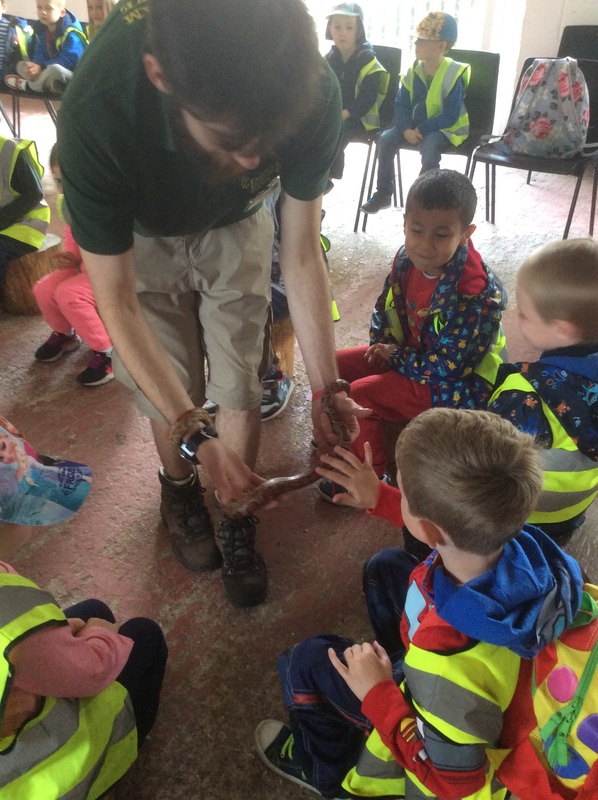 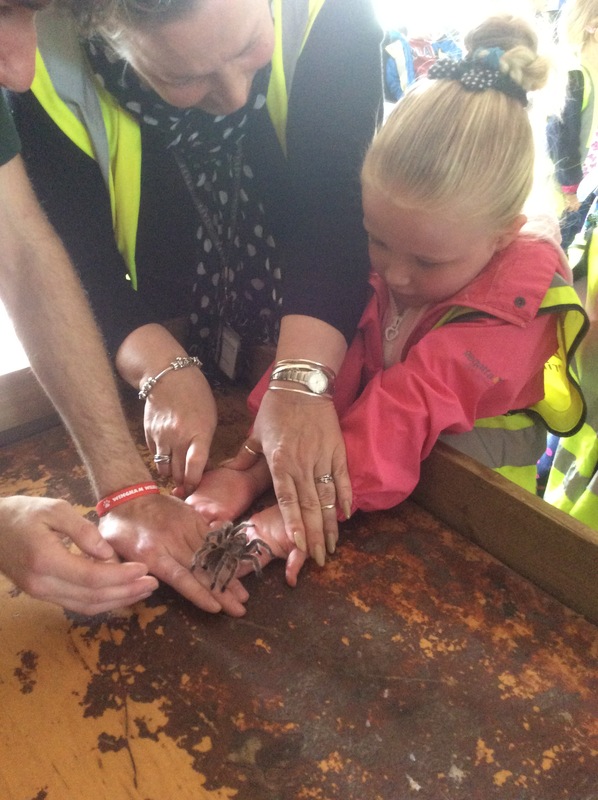 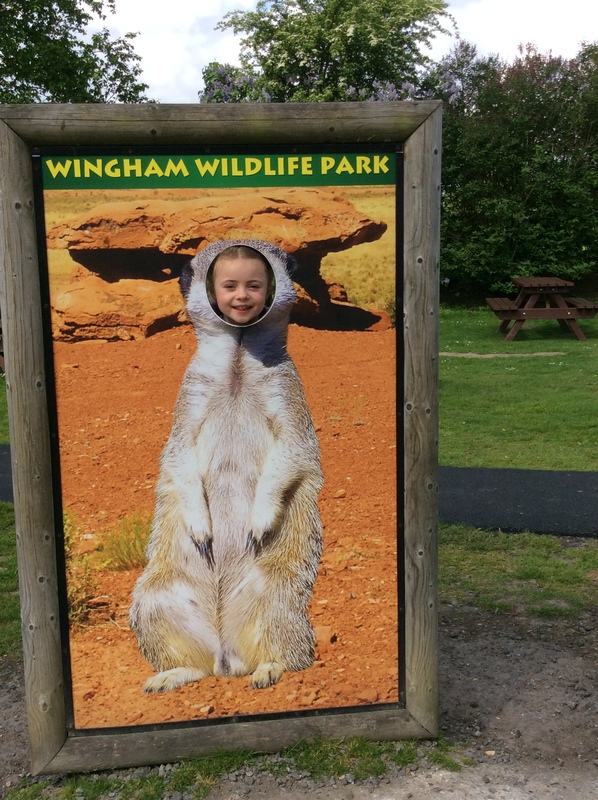 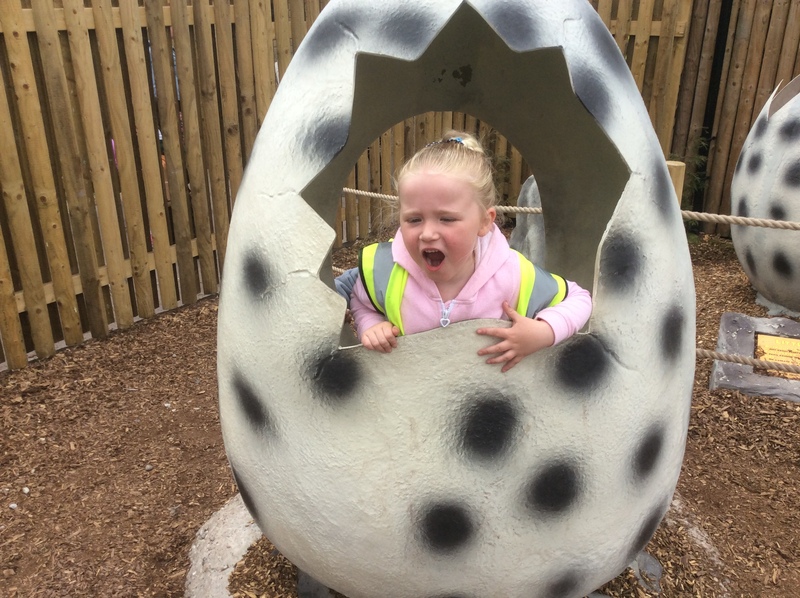 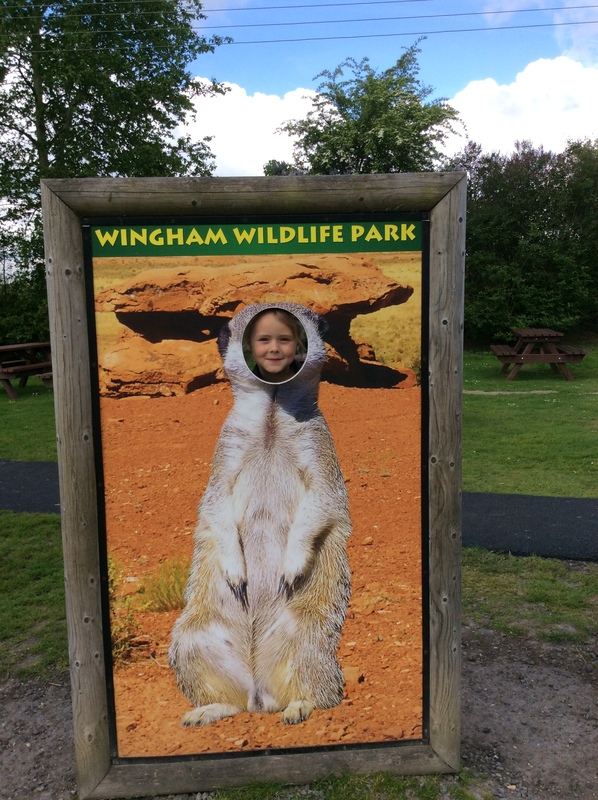 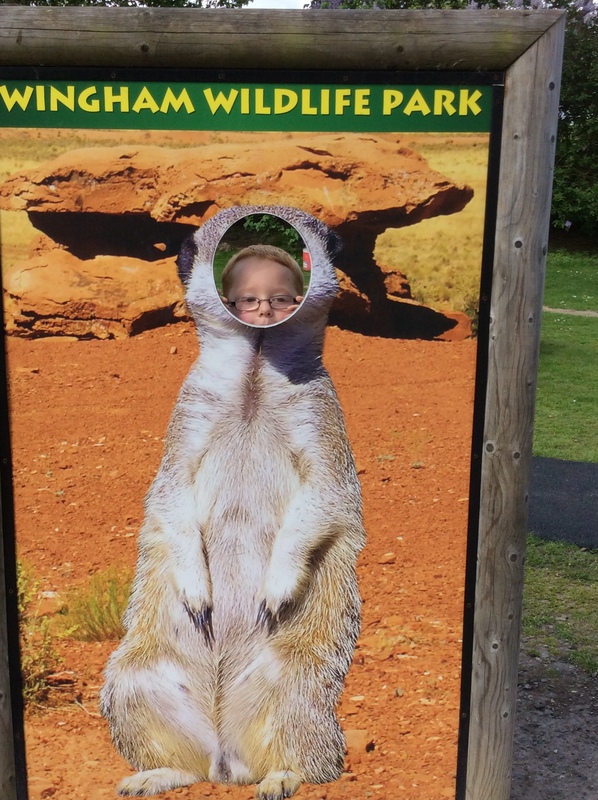 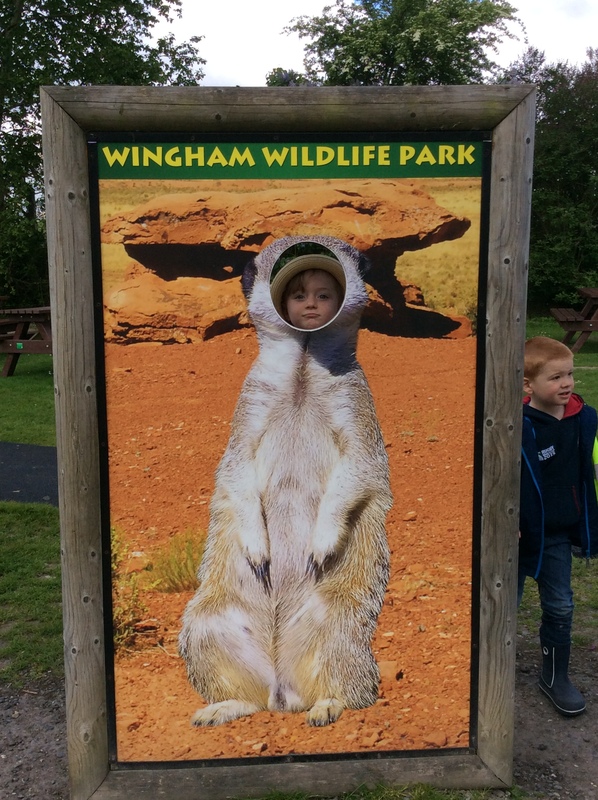 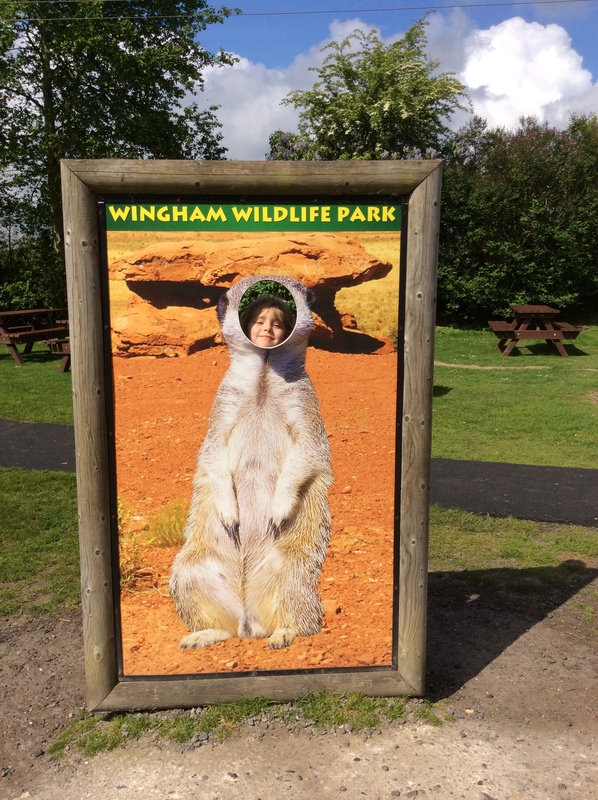 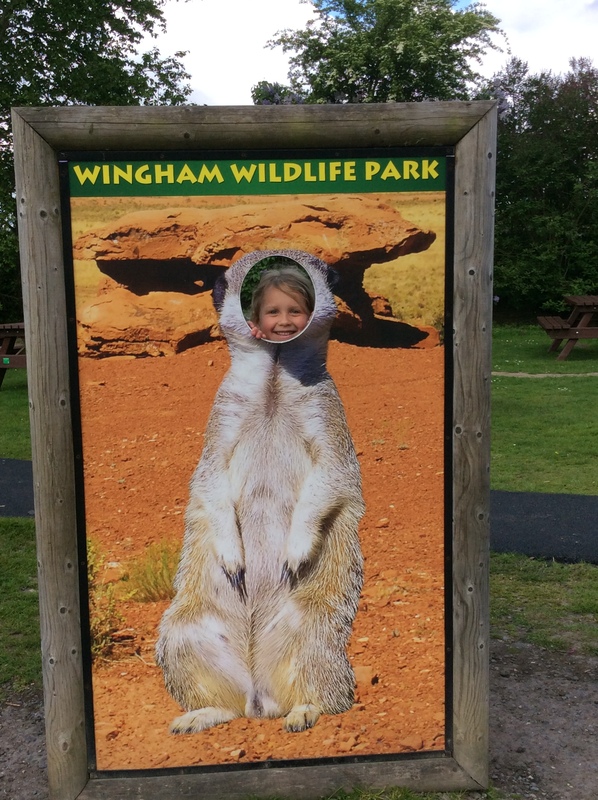 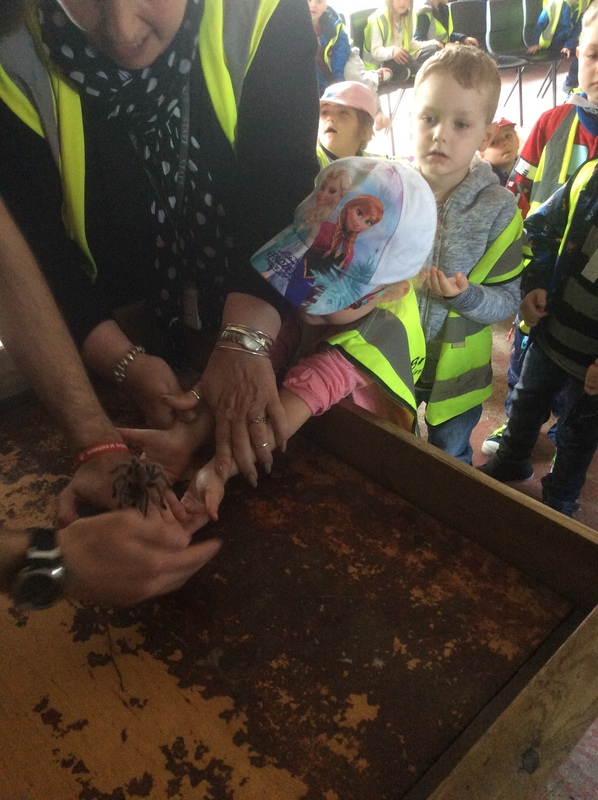 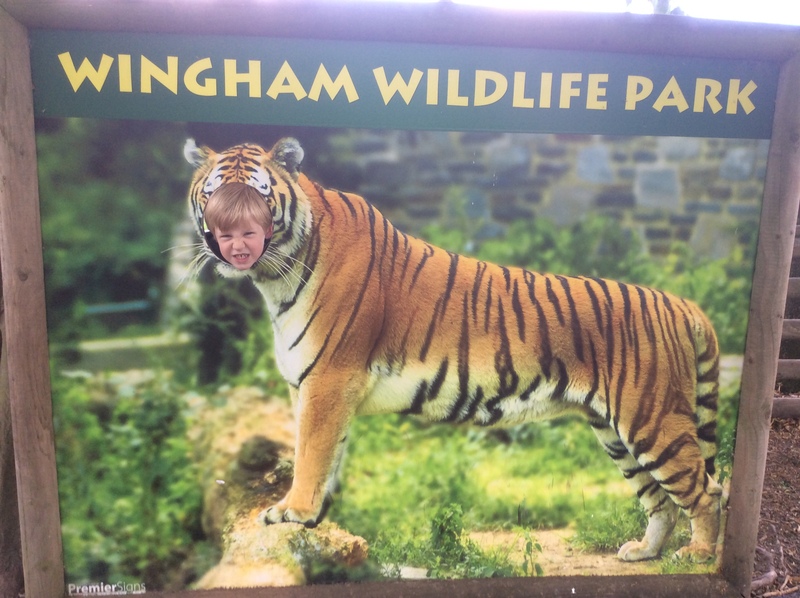 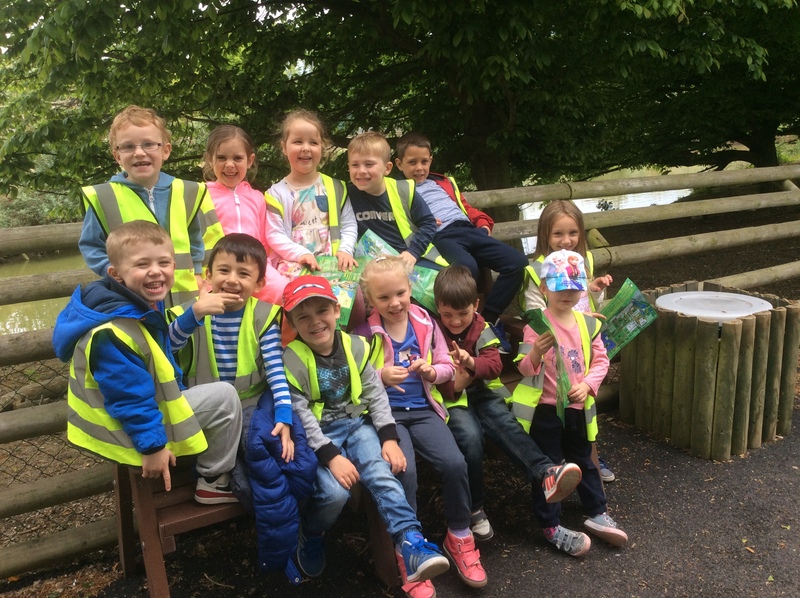 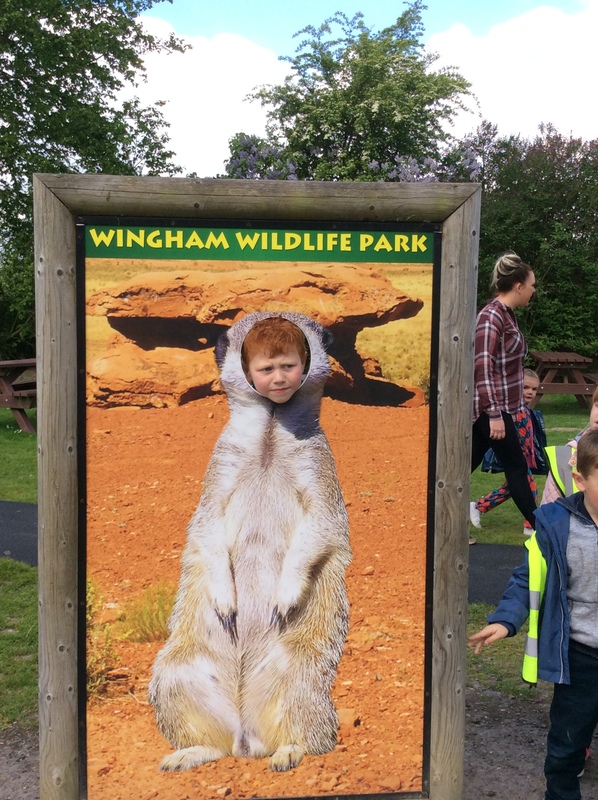 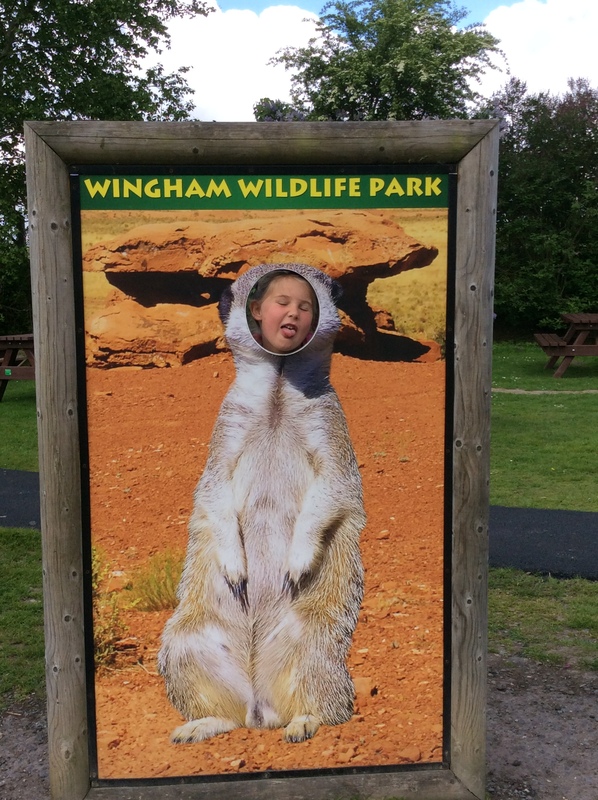 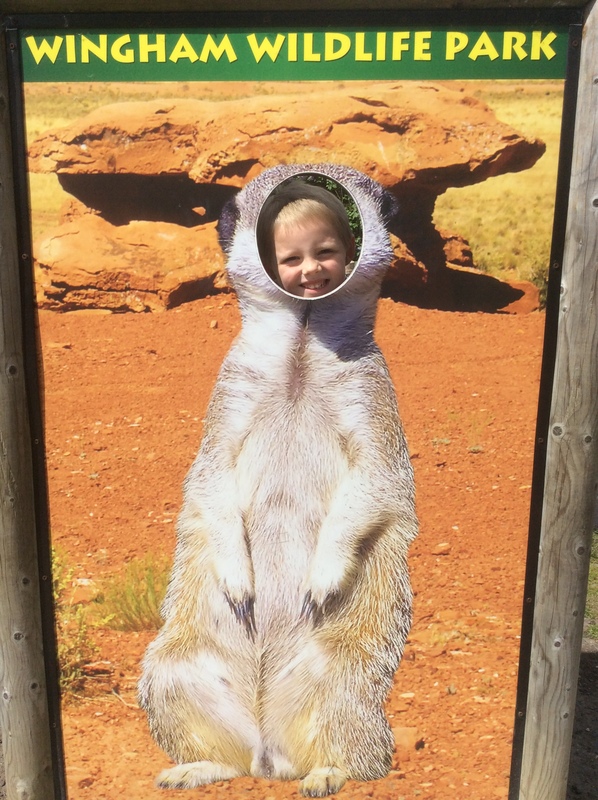 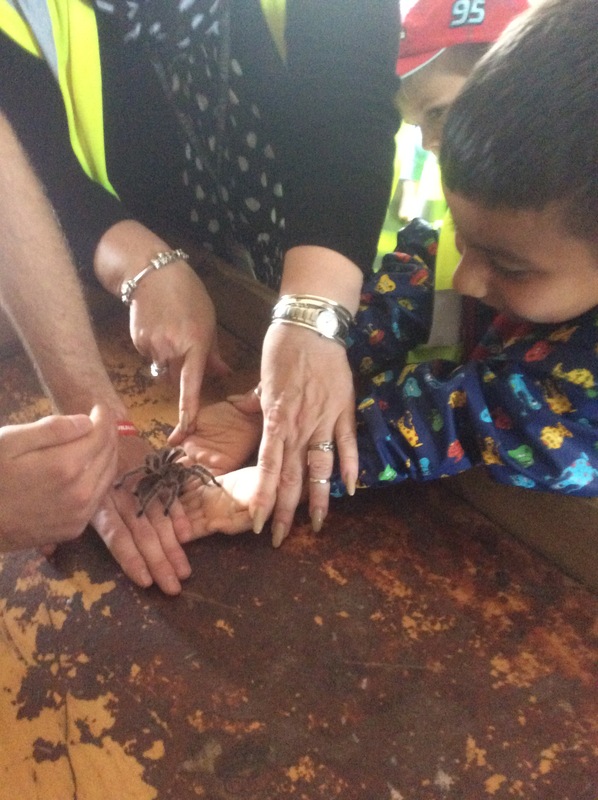 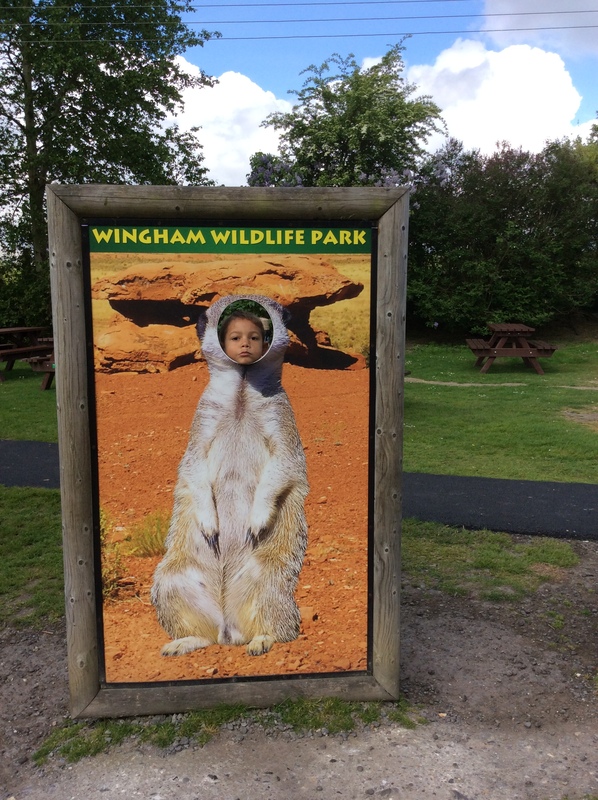 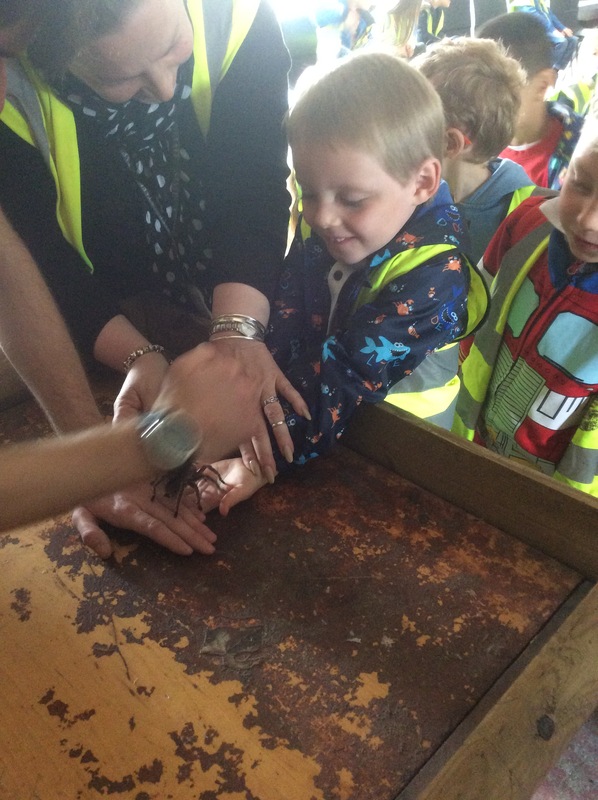 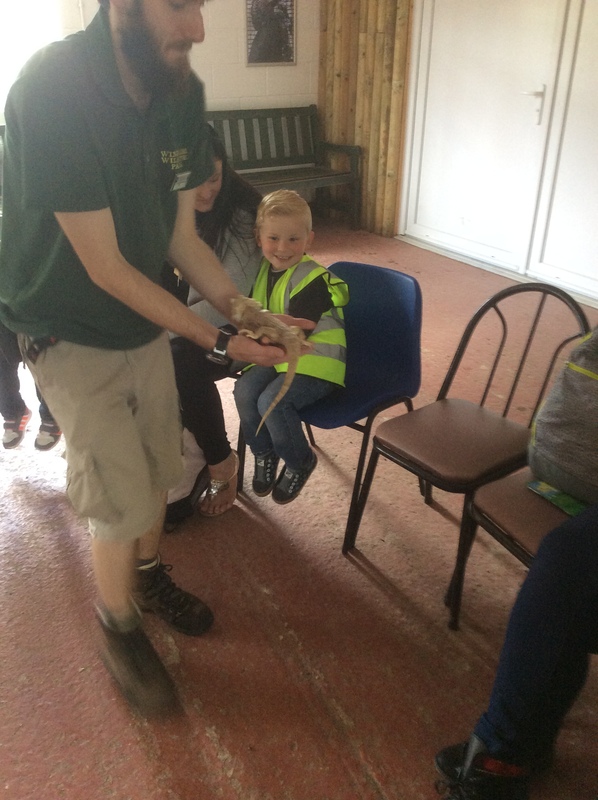 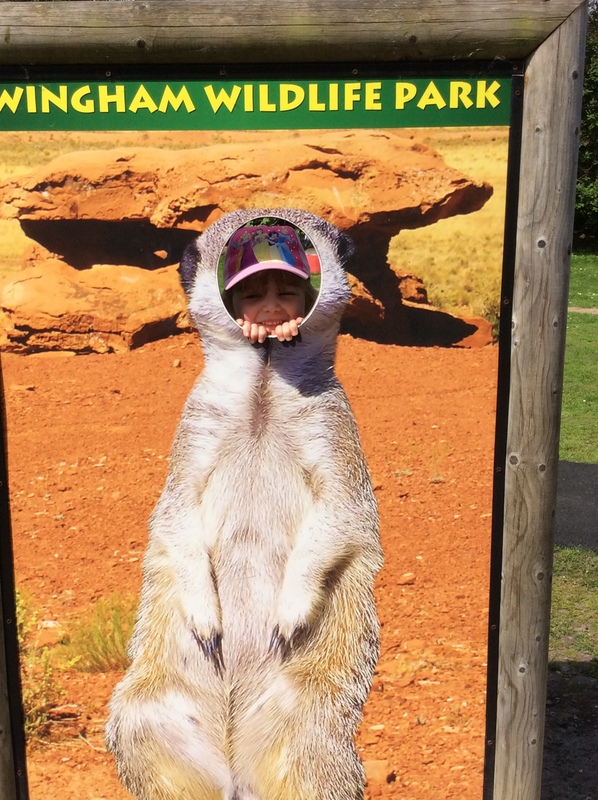 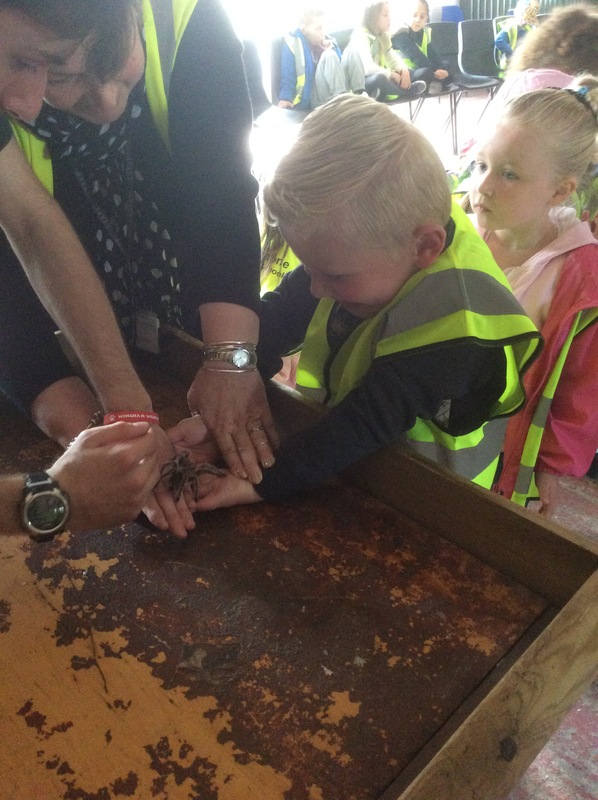 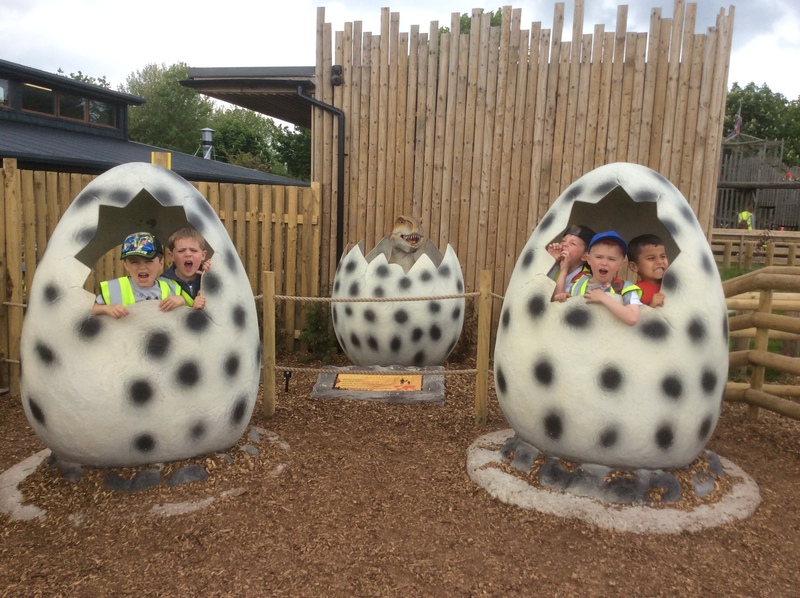 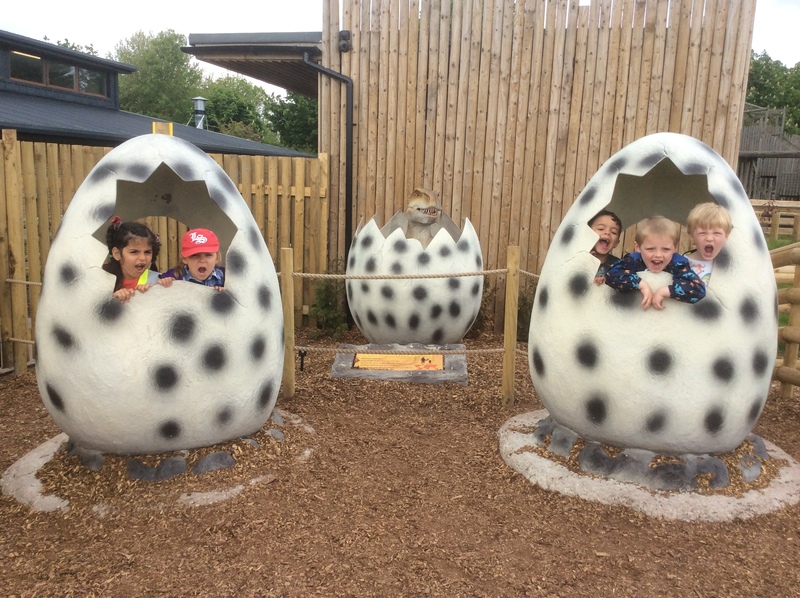 Towards the end of term 5 we went to Wingham Wildlife Park and had a fantastic time. 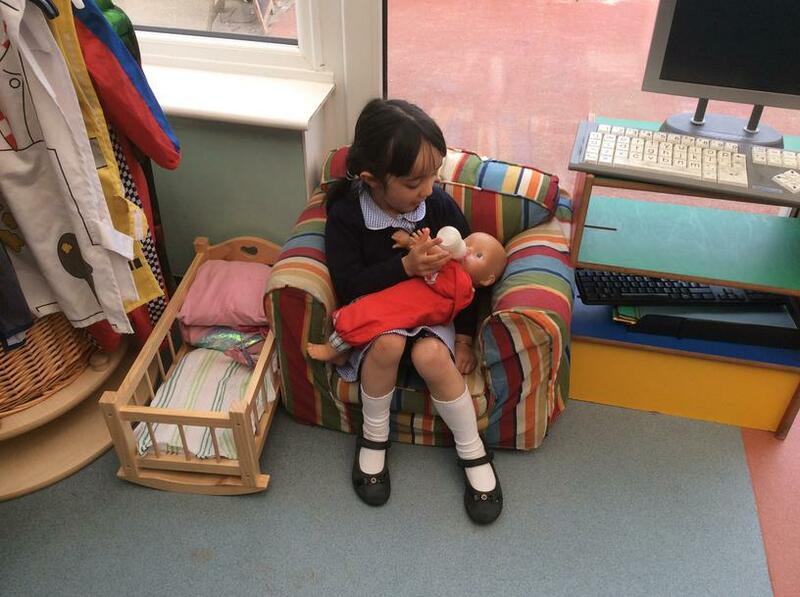 Our topic this term is 'Mind, Body and Soul'. 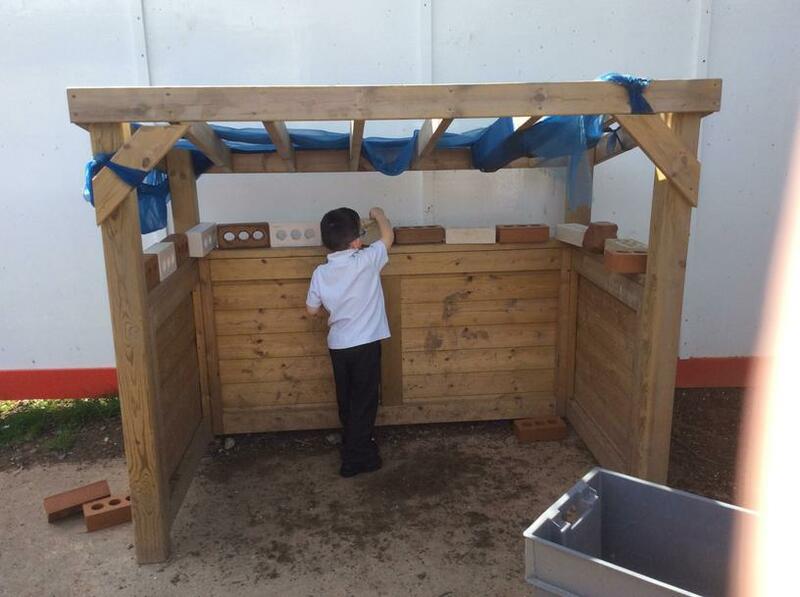 This allows us to develop our understanding of well being, heath, cultural identity, spiritual and religious beliefs and much more. 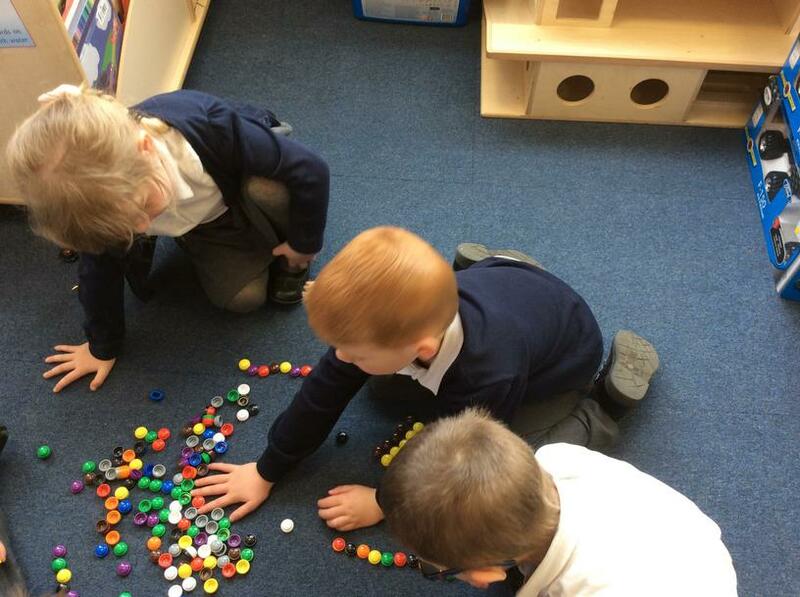 The children are continuing to enhance their numeracy skills through counting, ordering 0-20 and beyond, knowing 1 more and 1 less than a given number, problem solving and simple subtraction and addition. 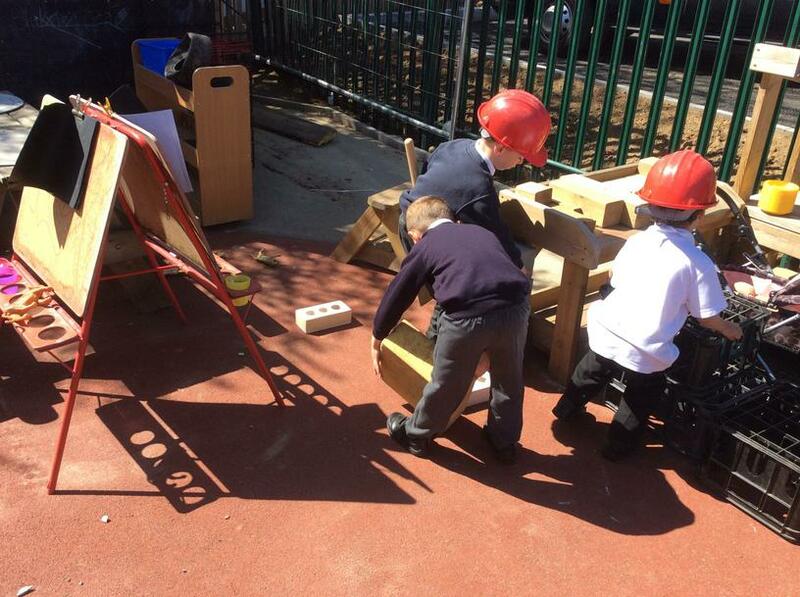 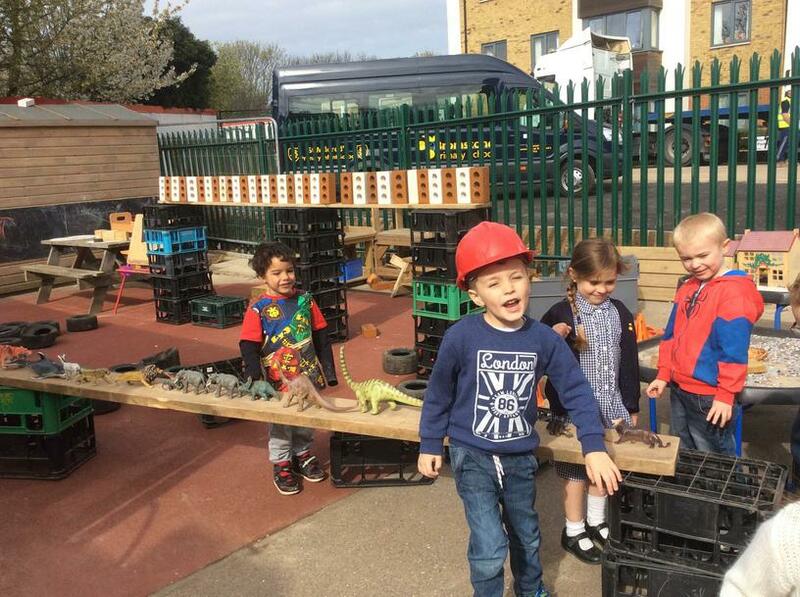 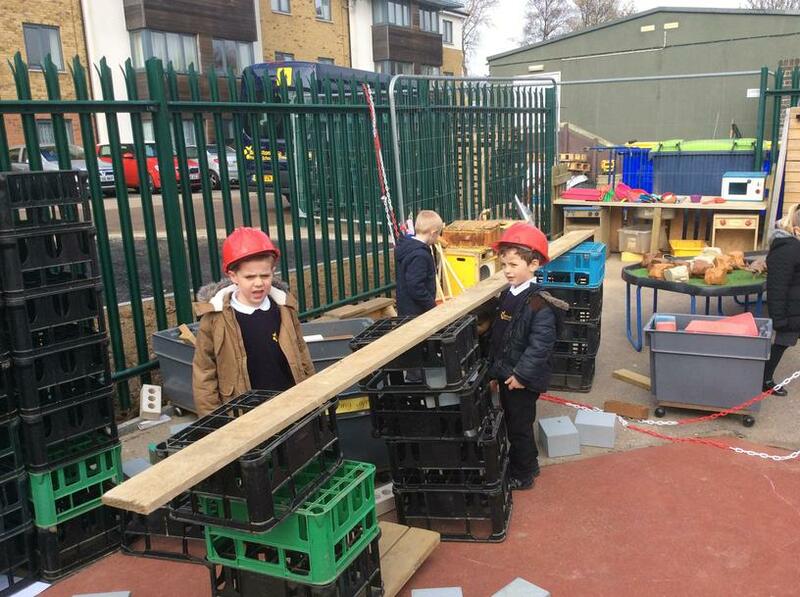 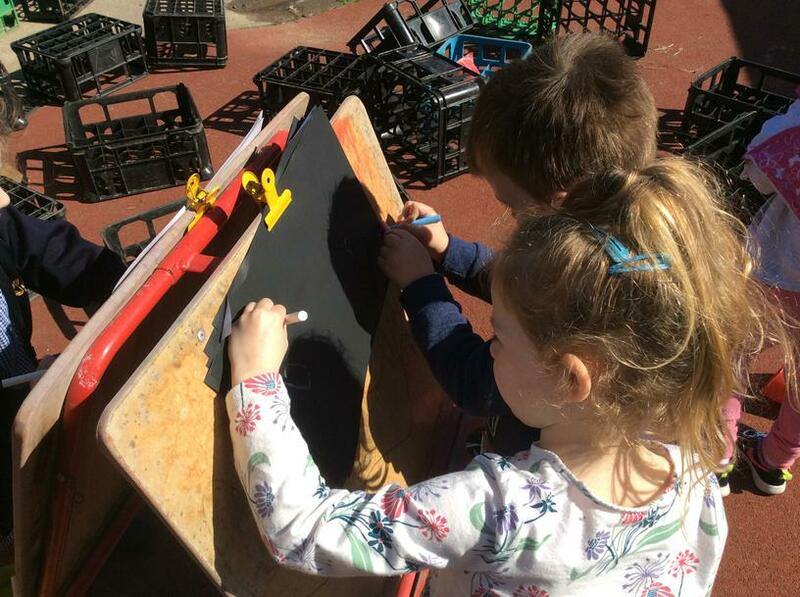 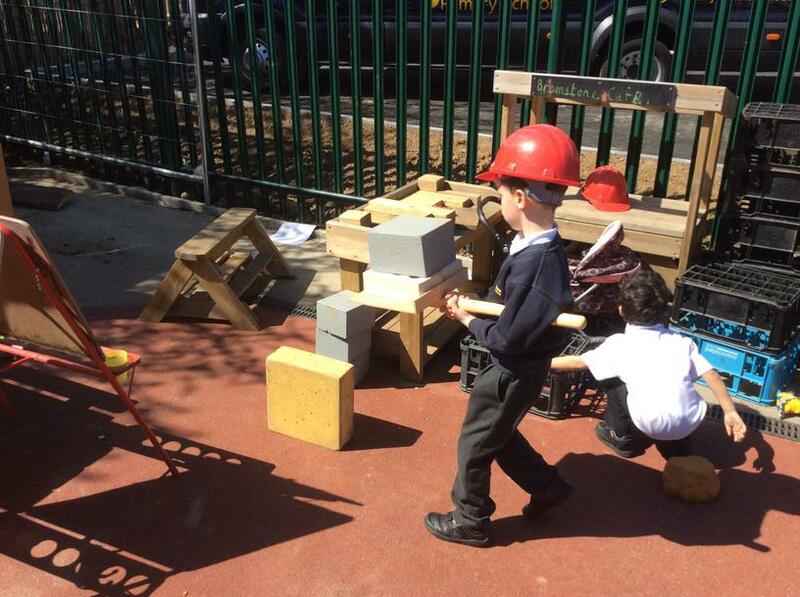 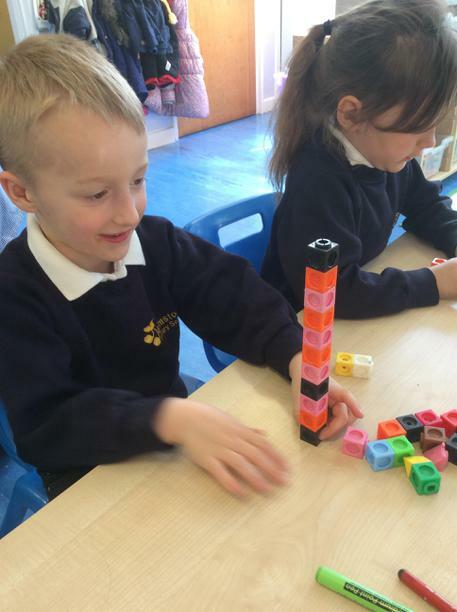 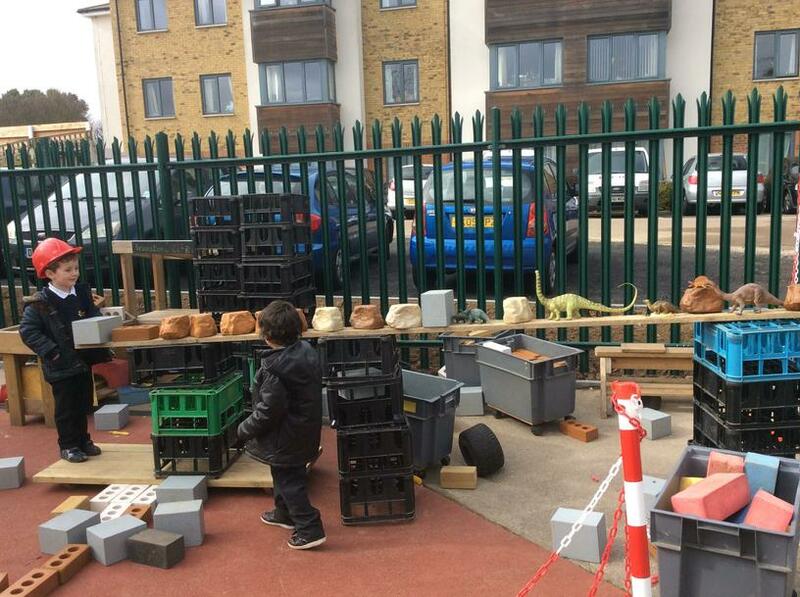 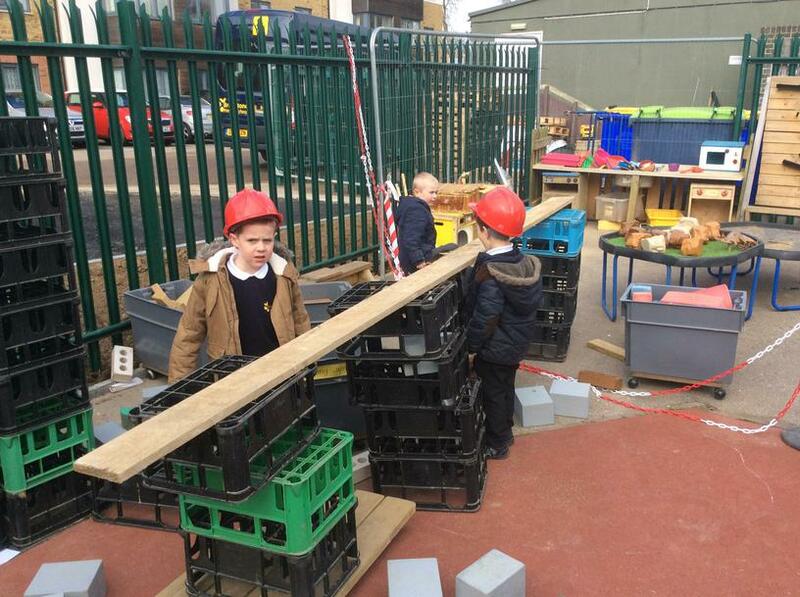 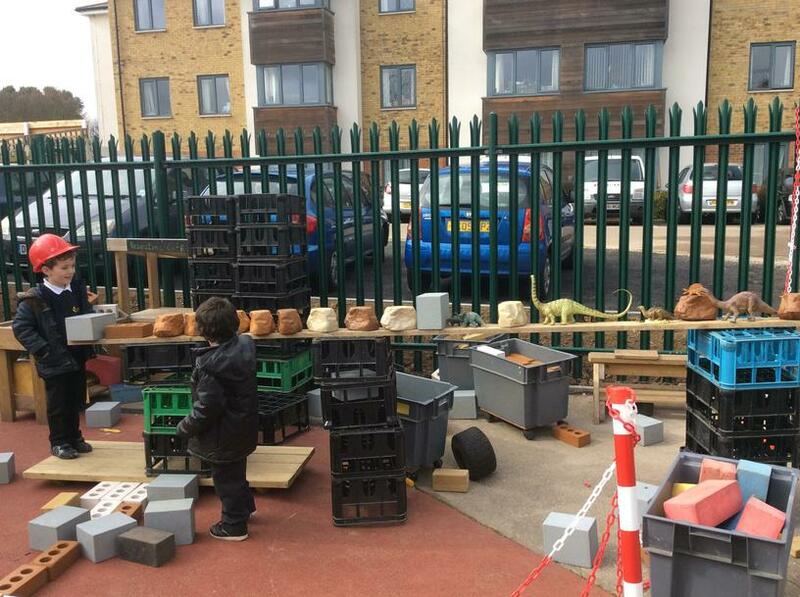 The children are also developing their understanding of Shape, Space and Measure through exploring 2D and 3D shapes as well as time, capacity, weight and length. 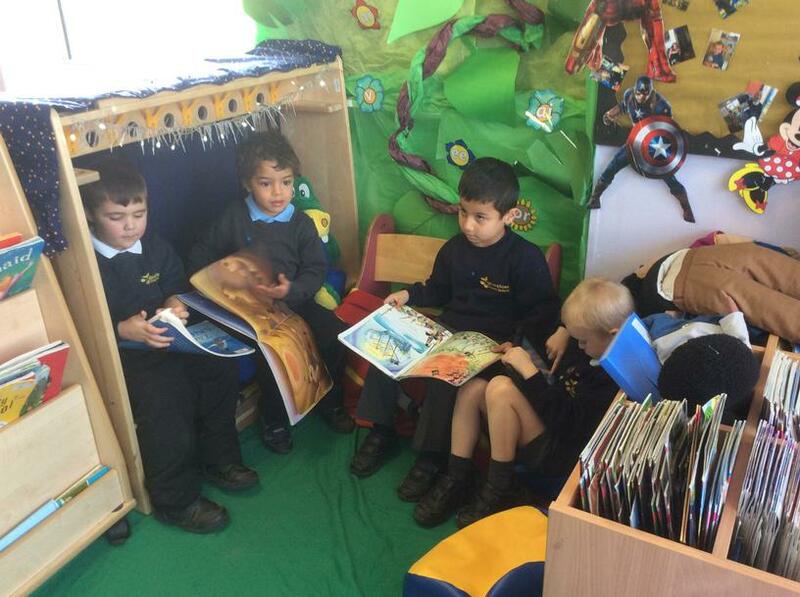 Alongside our daily phonics sessions the children our now enjoying daily guided reading. 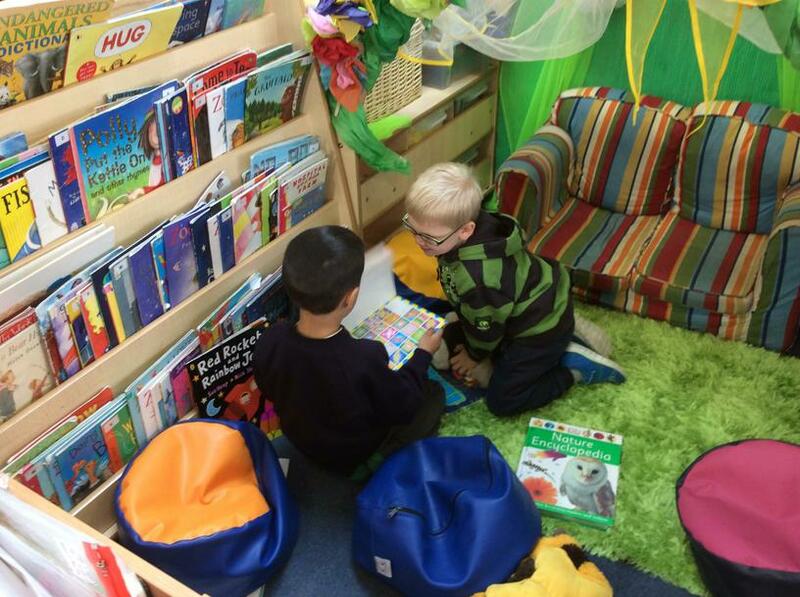 We are also pleased to announce that's we have lots of brand new banded books for reading that your children will be bringing home this term. 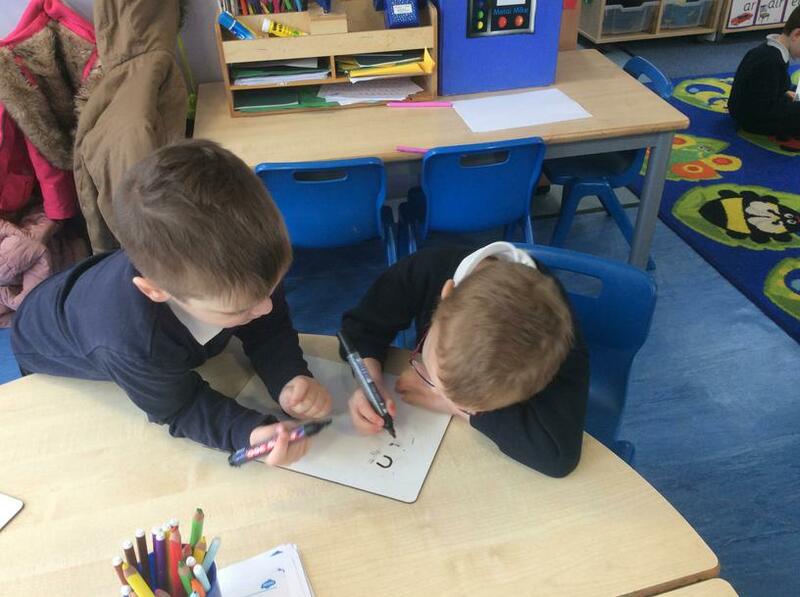 The children are beginning to write simple sentences using all the skills they have developed so far this year. 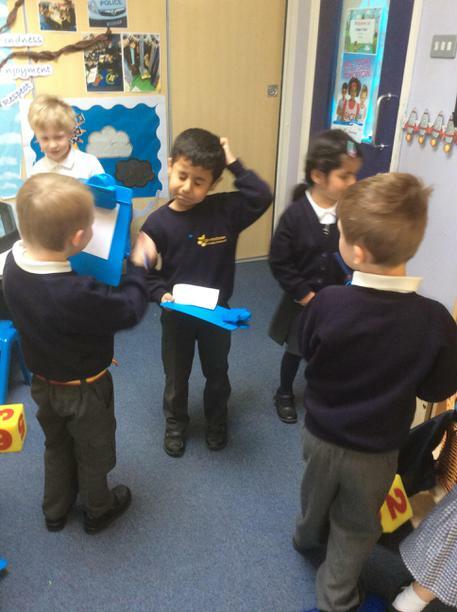 This week we have celebrated World Book Day. 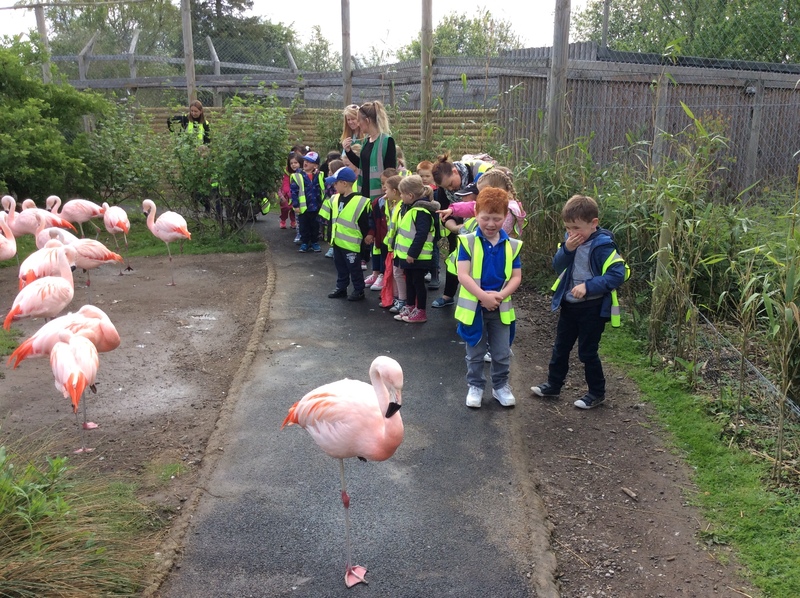 The children looked fantastic in their outfits! 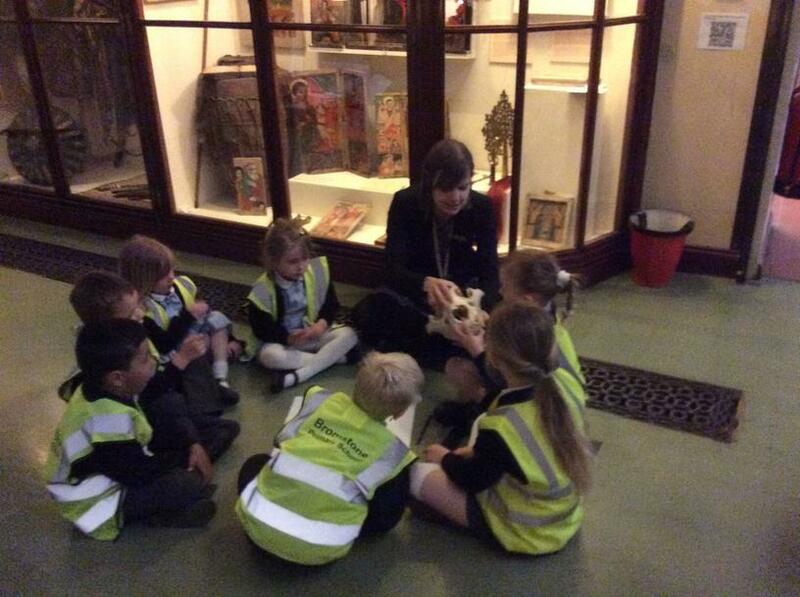 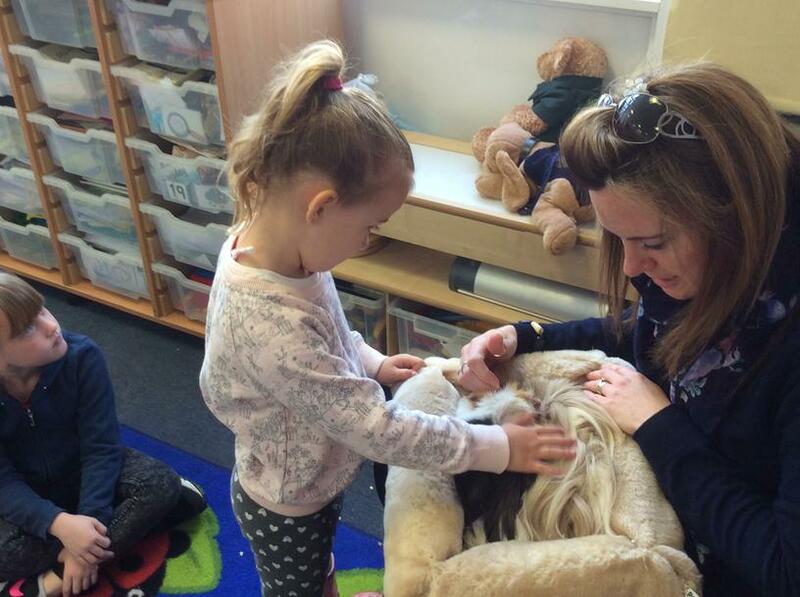 We also had a visit from School Nursing Services. 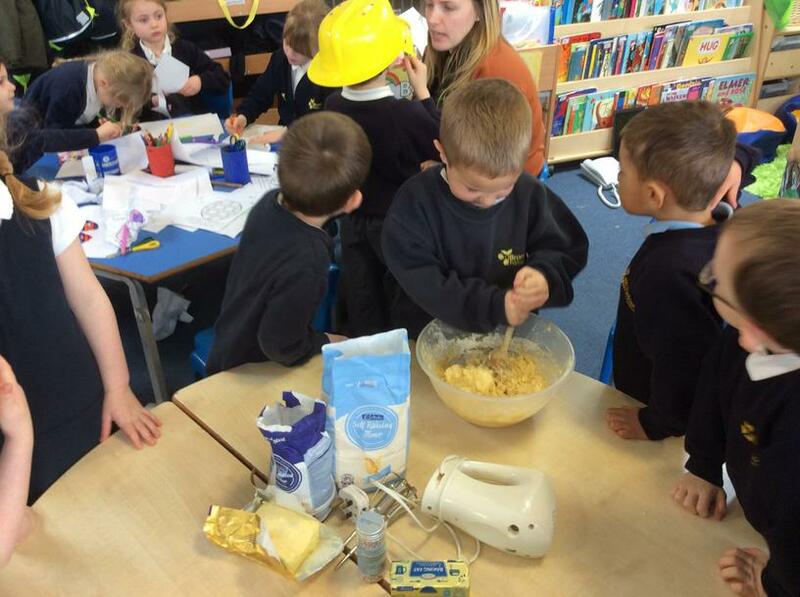 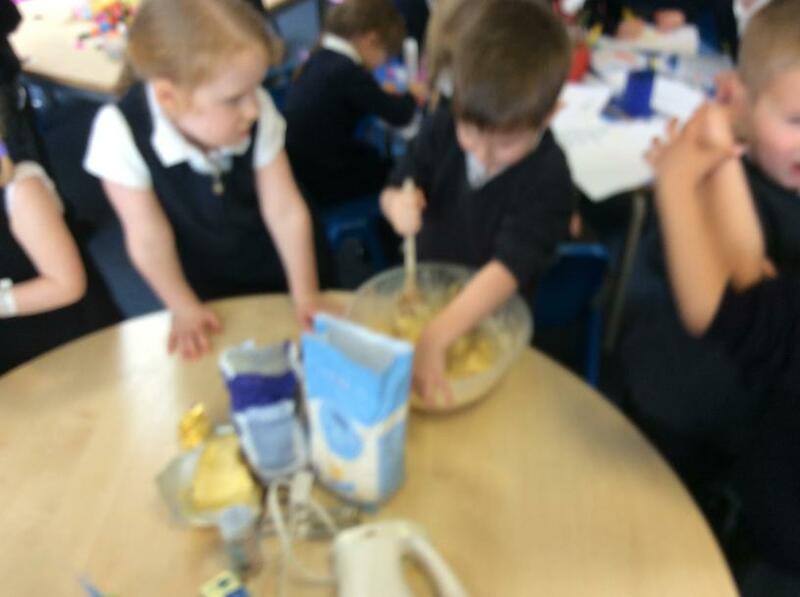 Emma came to help the children learn more about healthy eating and wise food choices. 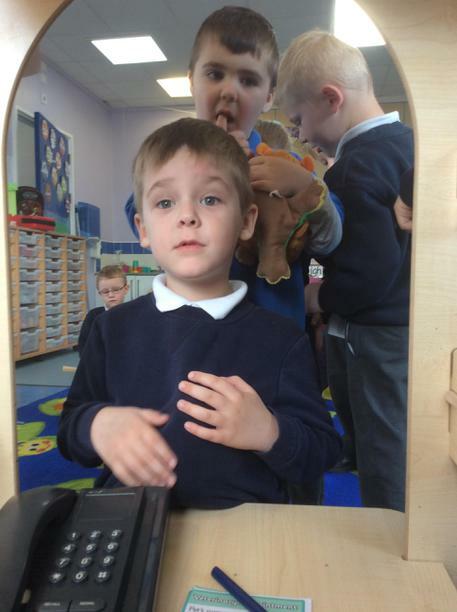 They discussed the importance of the 'Five a Day' initiative. 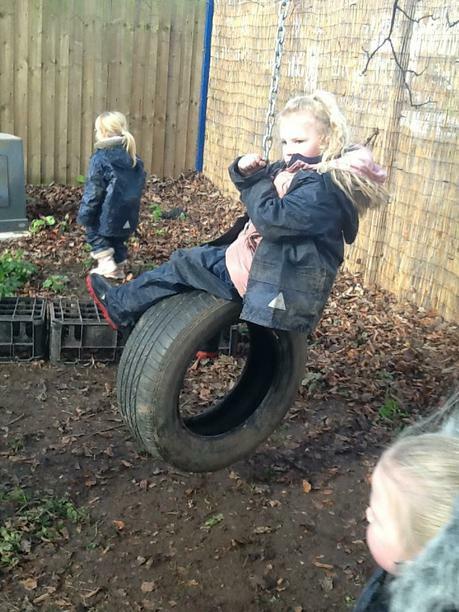 Please find below pictures of these activities and others that the children have enjoyed this week. 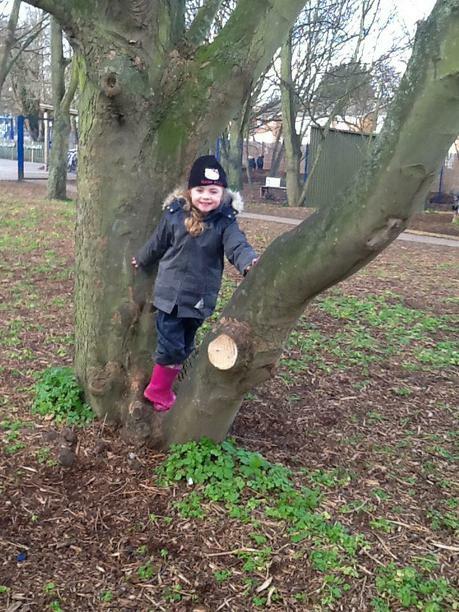 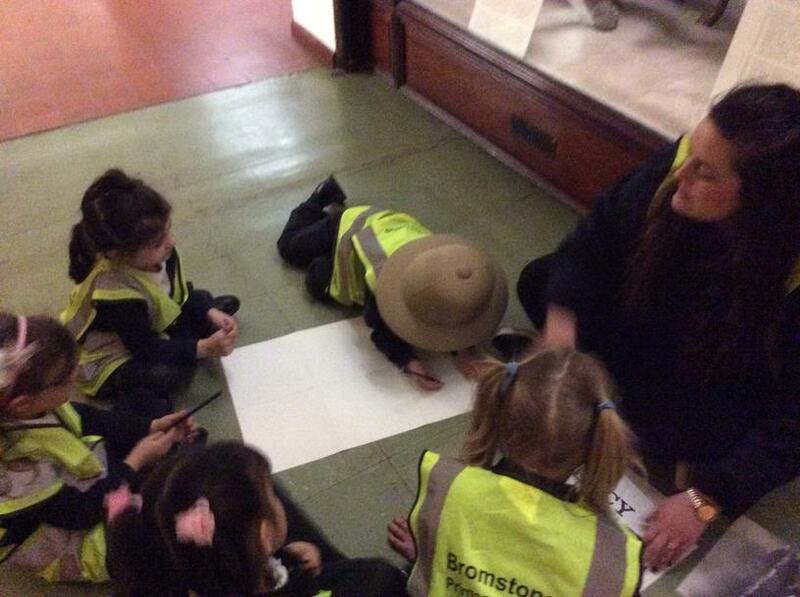 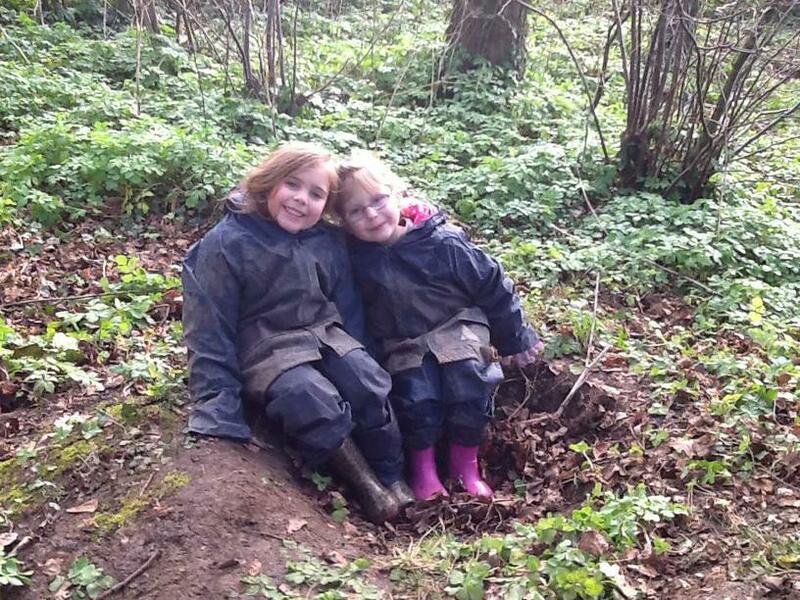 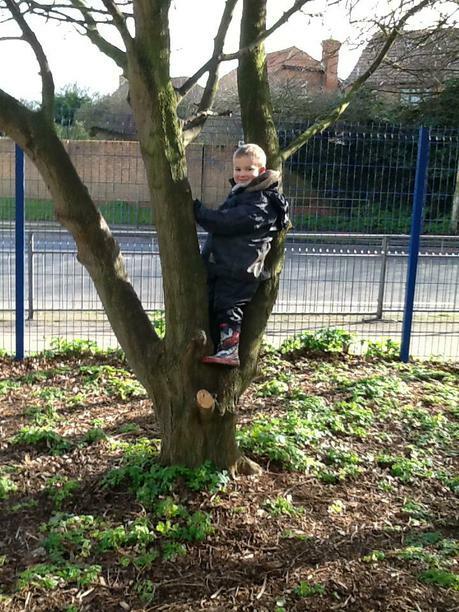 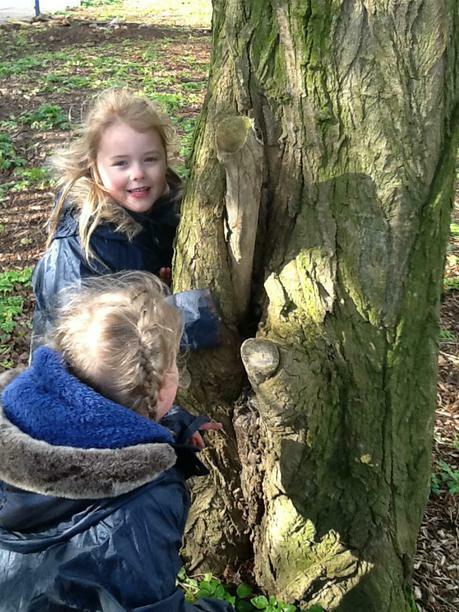 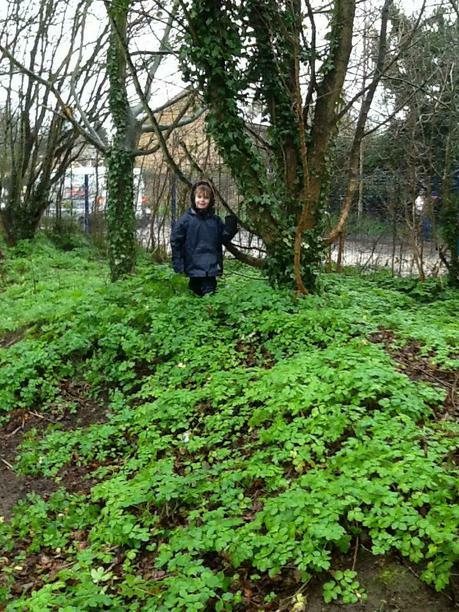 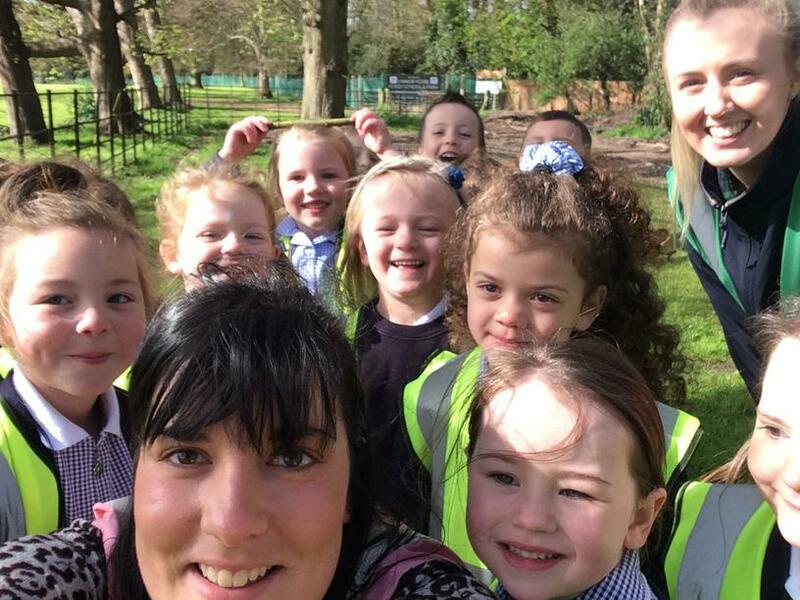 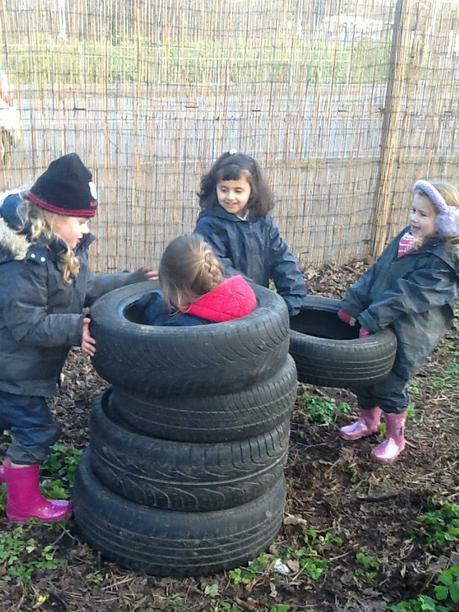 We are thrilled that Forest School at Bromstone has begun this term. 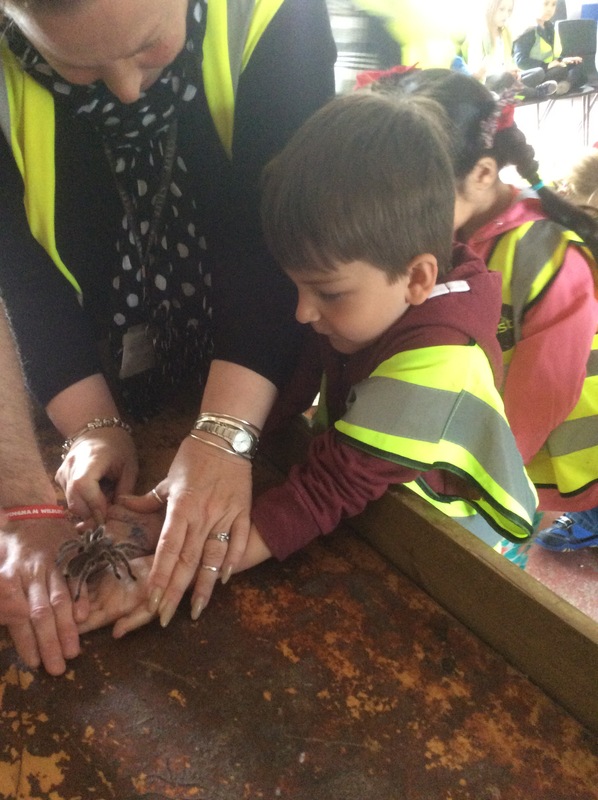 The children have loved their experiences this week. 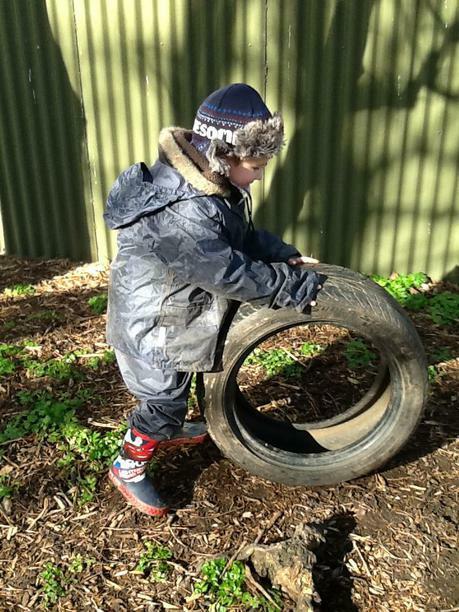 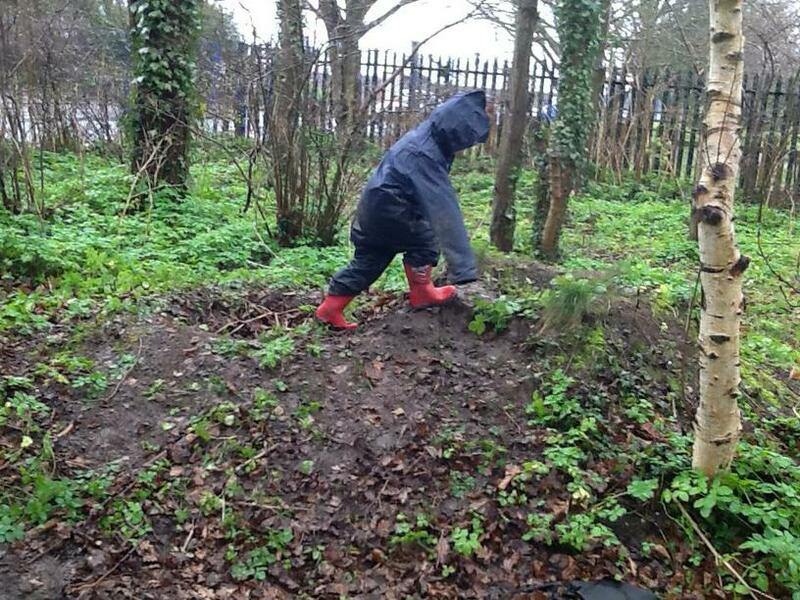 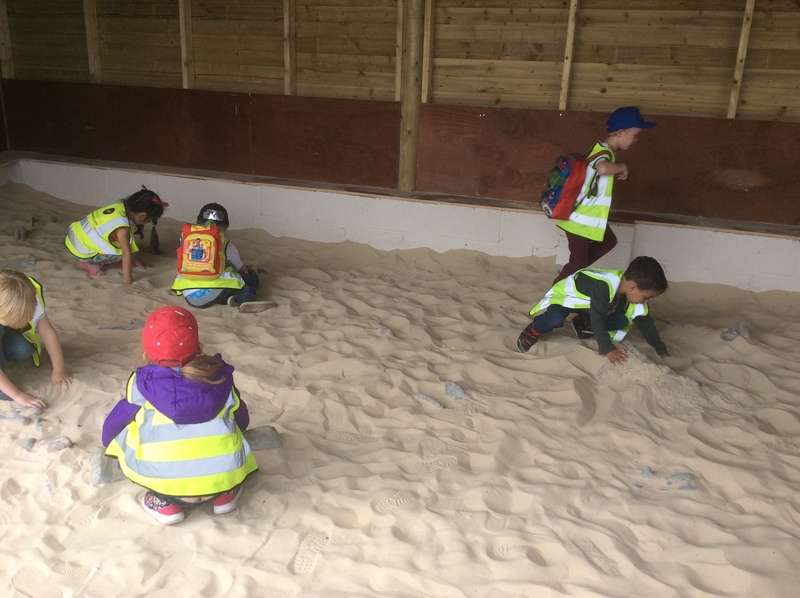 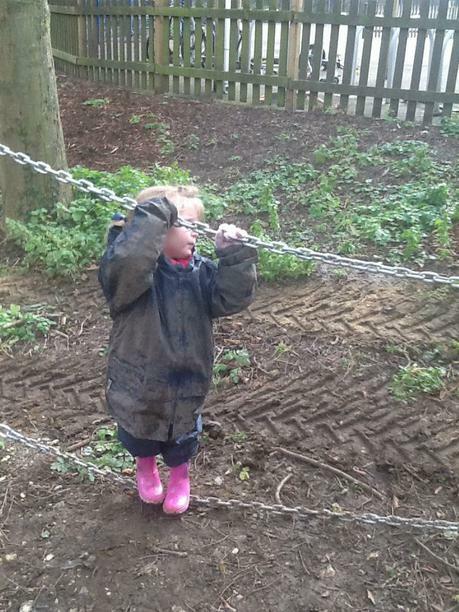 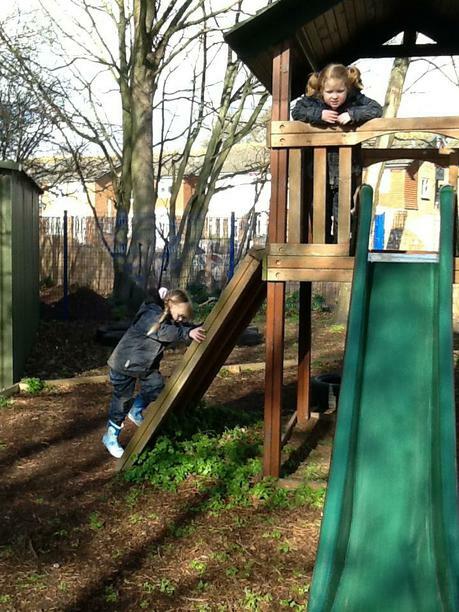 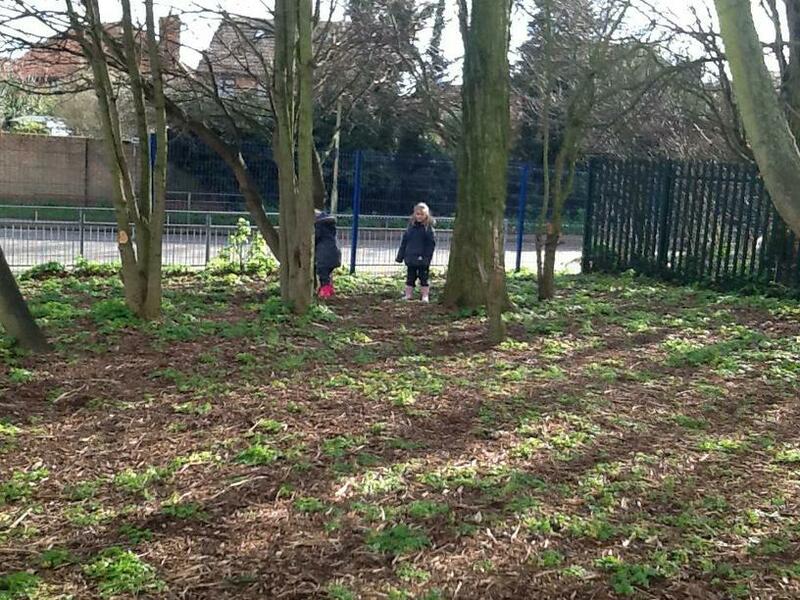 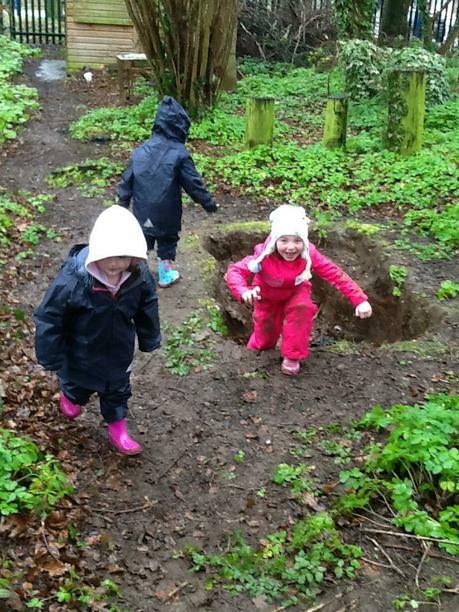 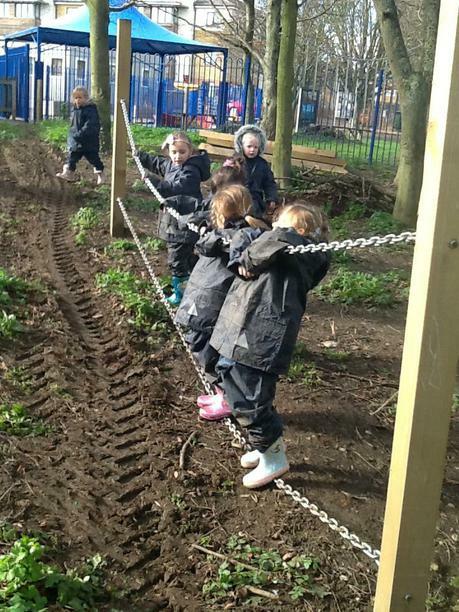 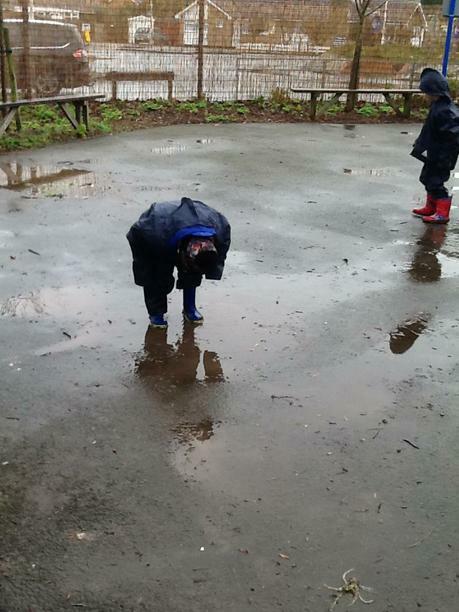 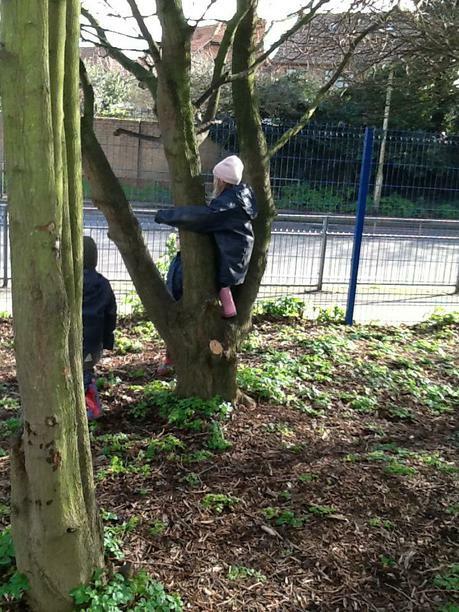 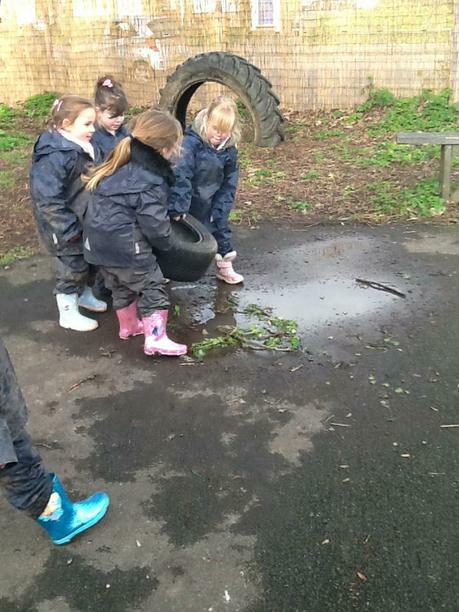 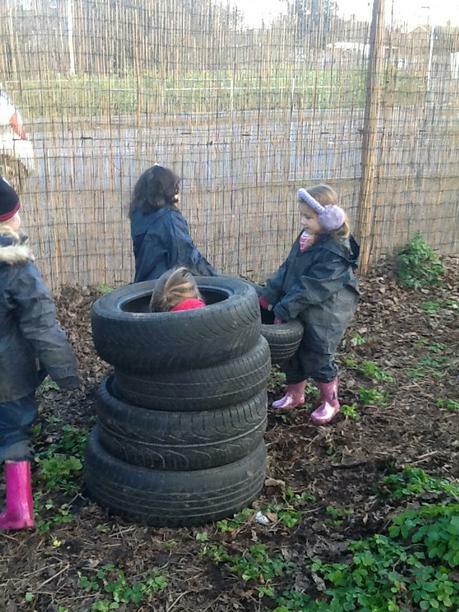 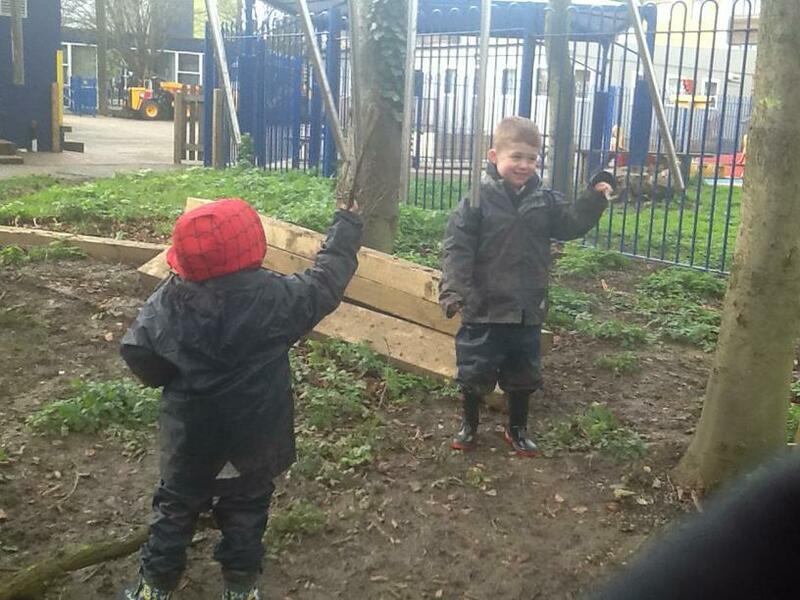 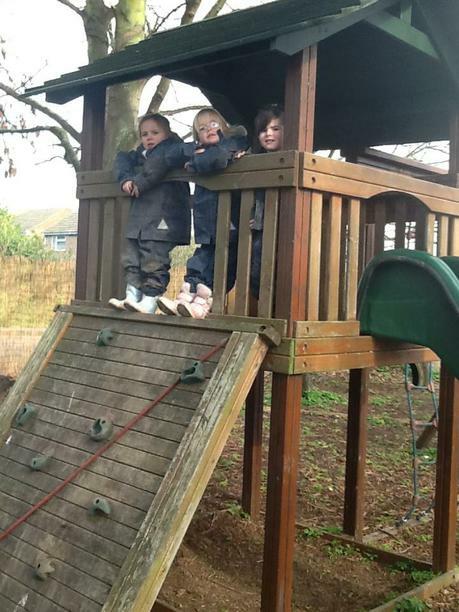 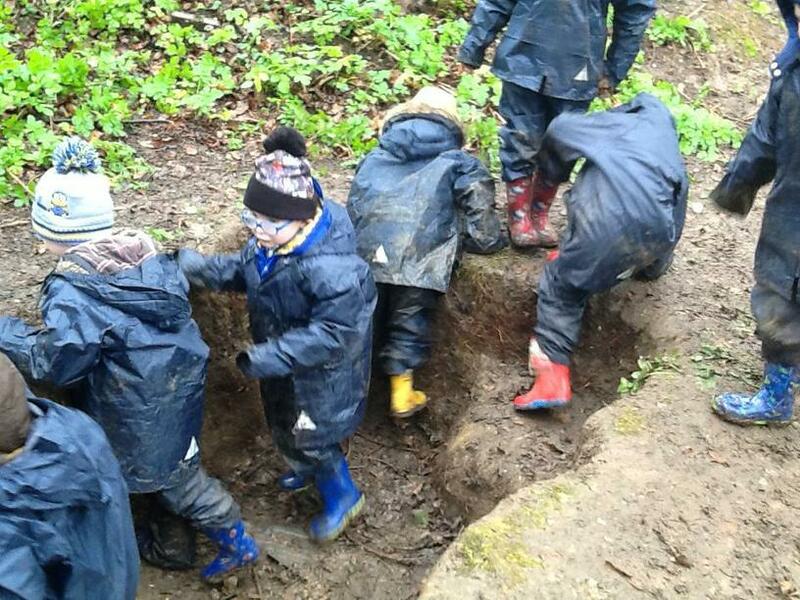 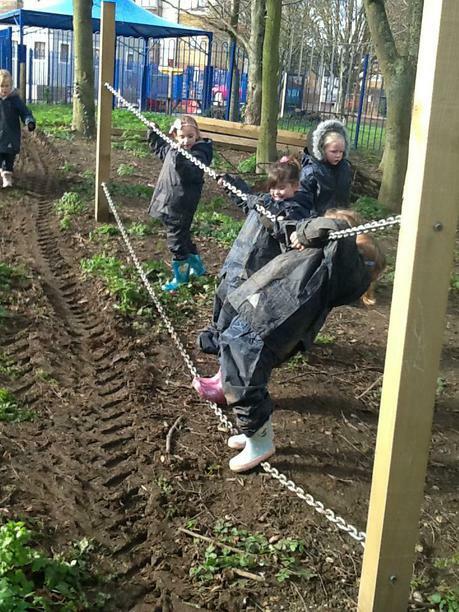 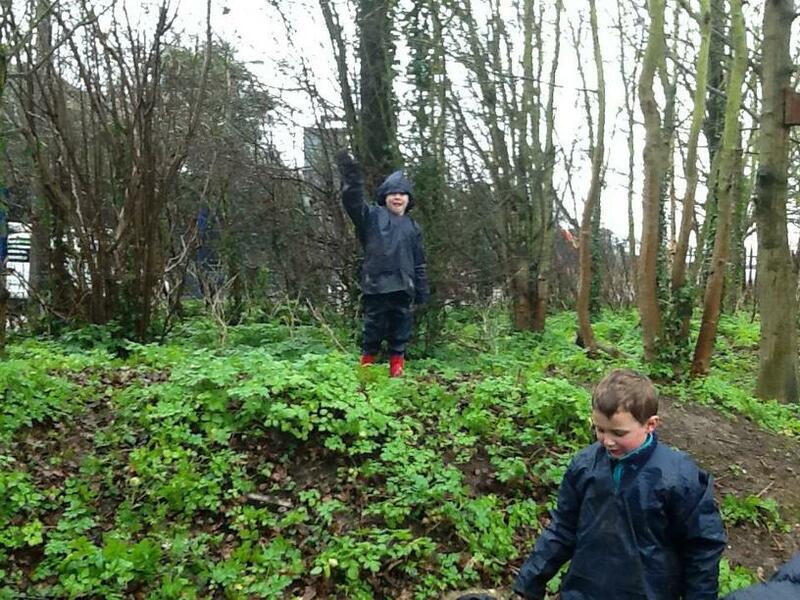 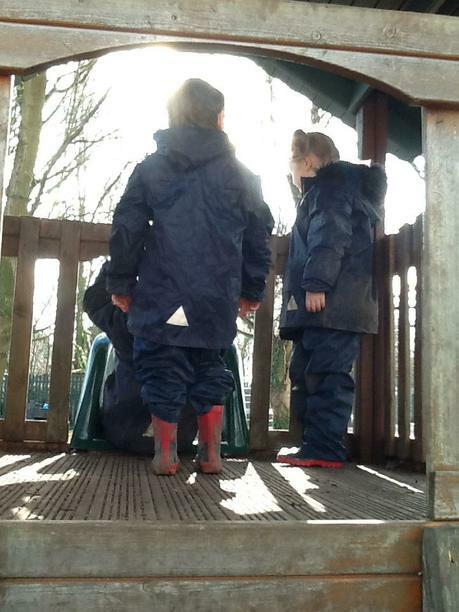 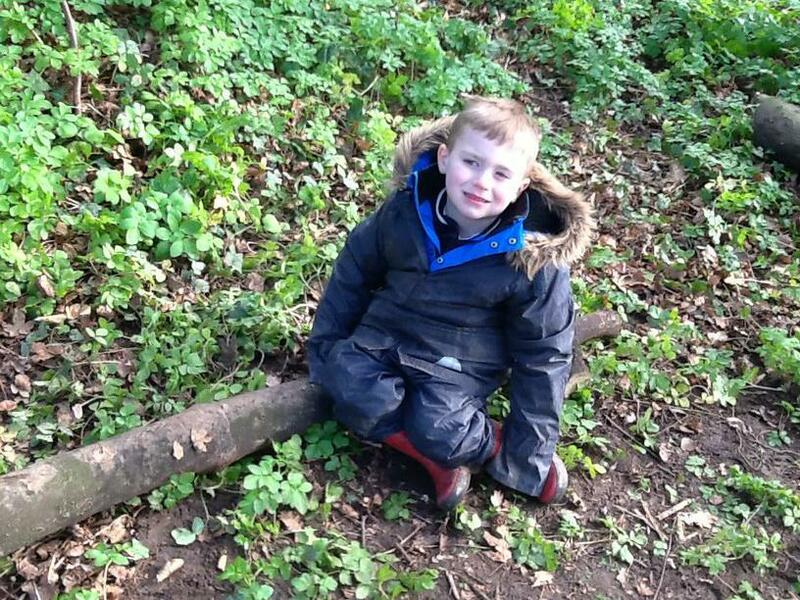 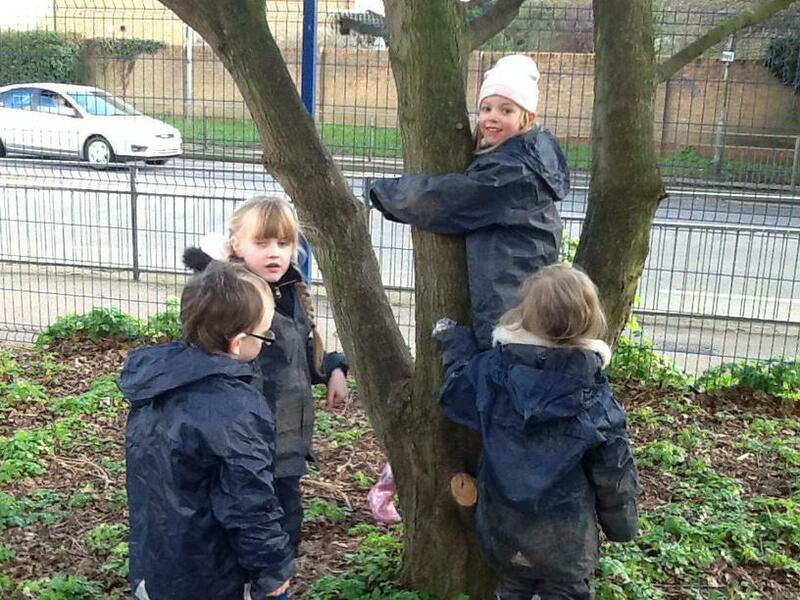 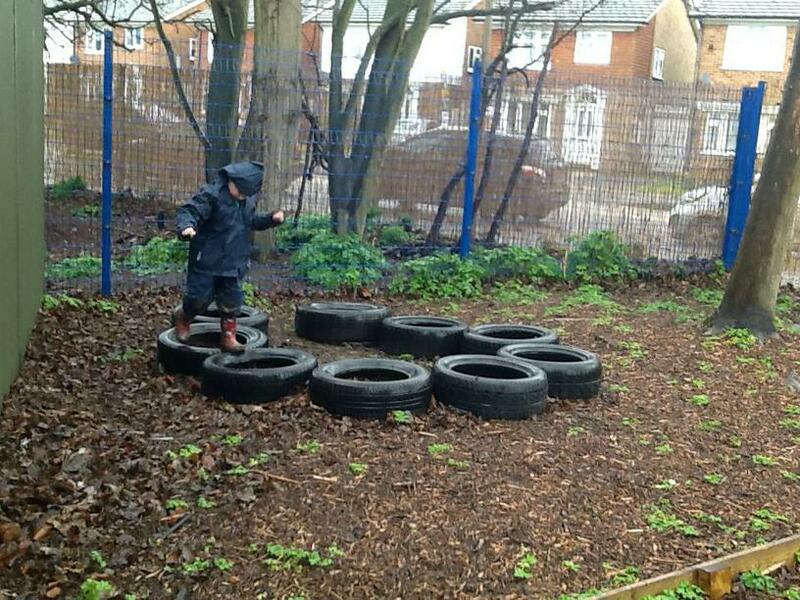 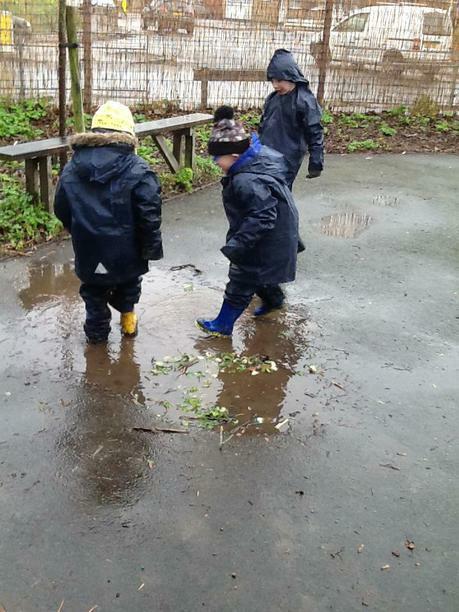 The sessions have focused on exploring the different areas the children will be using at Forest School. 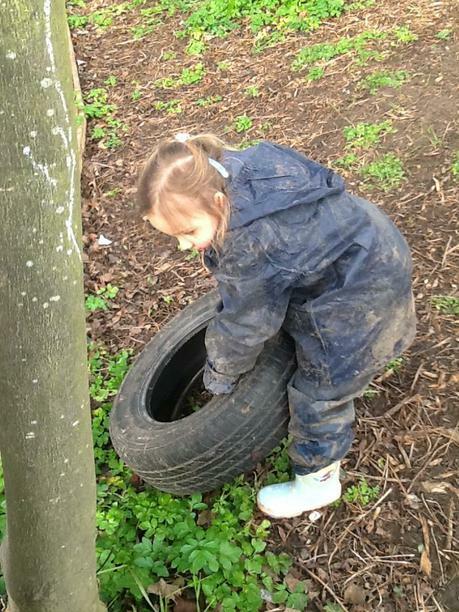 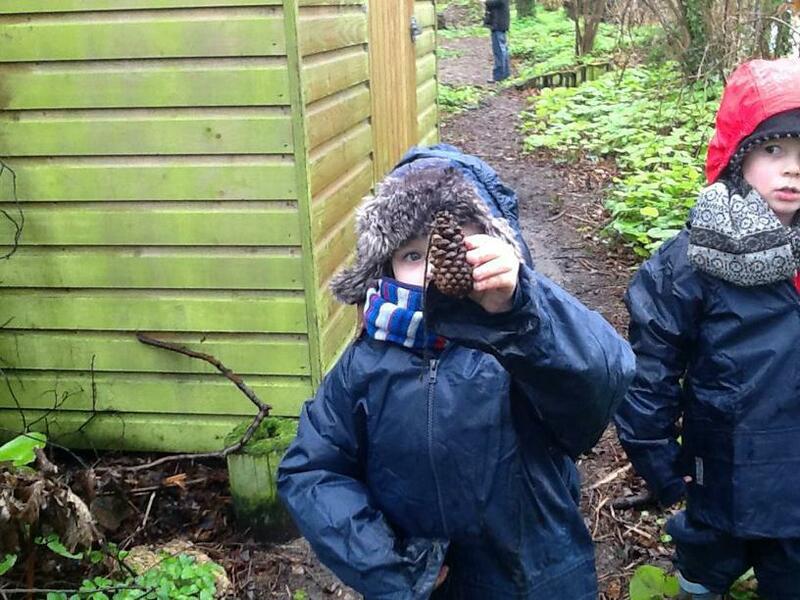 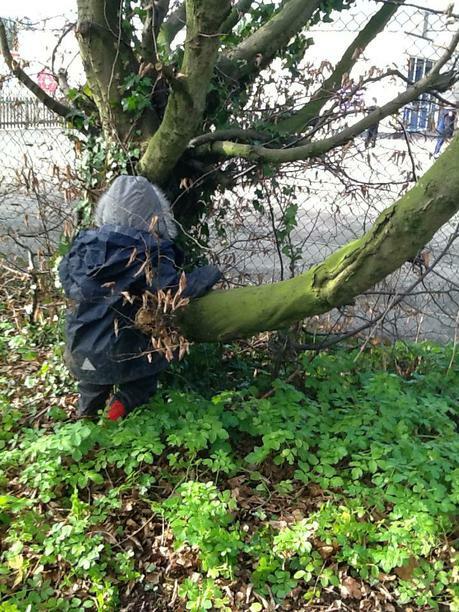 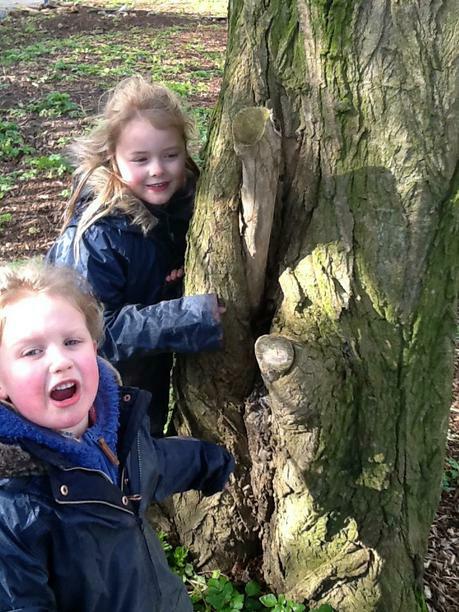 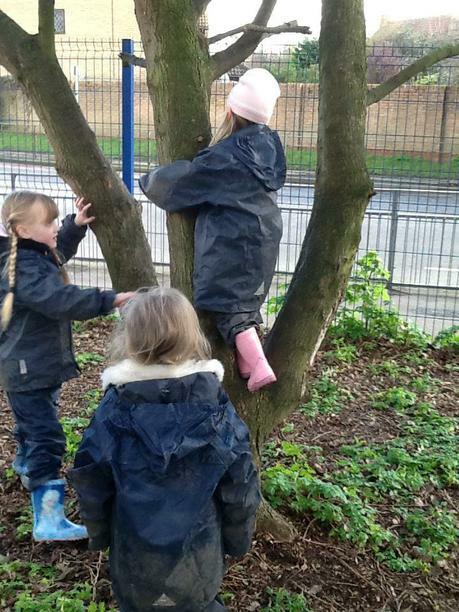 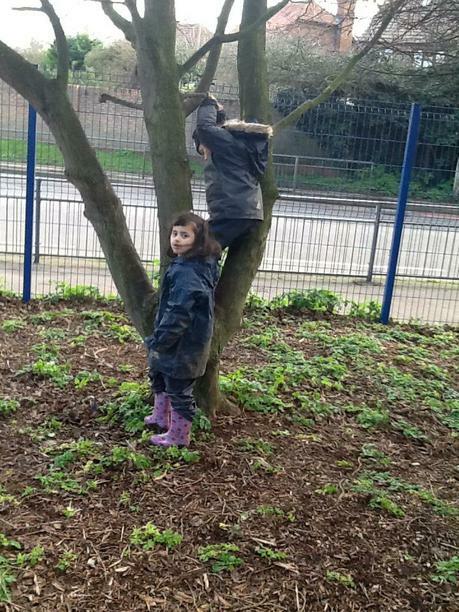 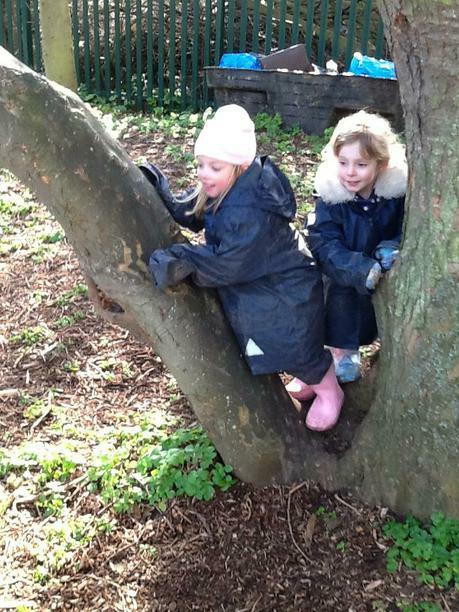 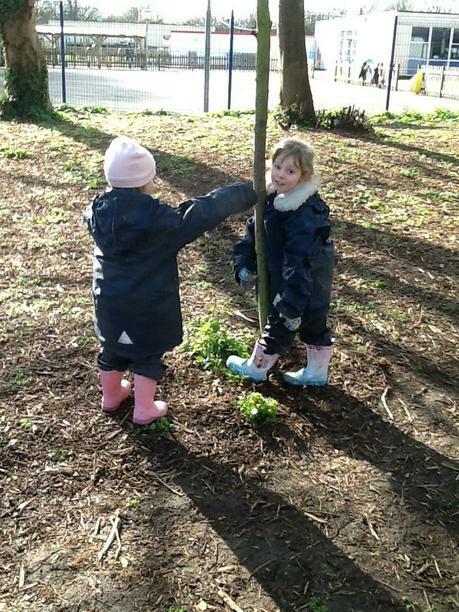 We are pleased to share some of the children's learning from Forest School so far. 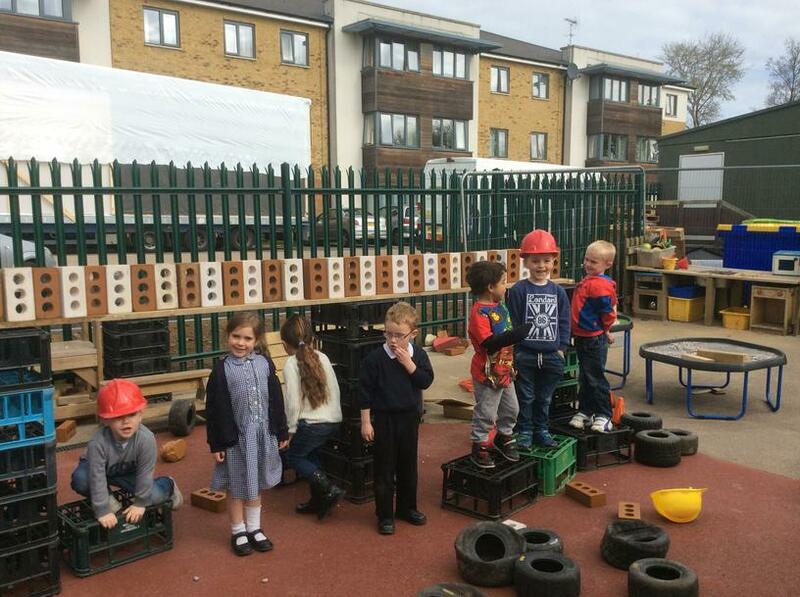 Winners of the Kier competition. 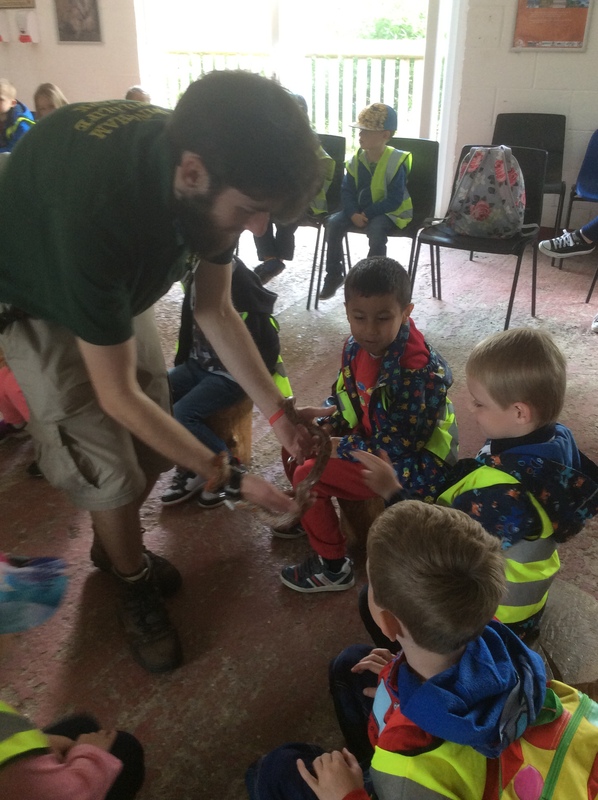 The winners got to name a duck or goose. 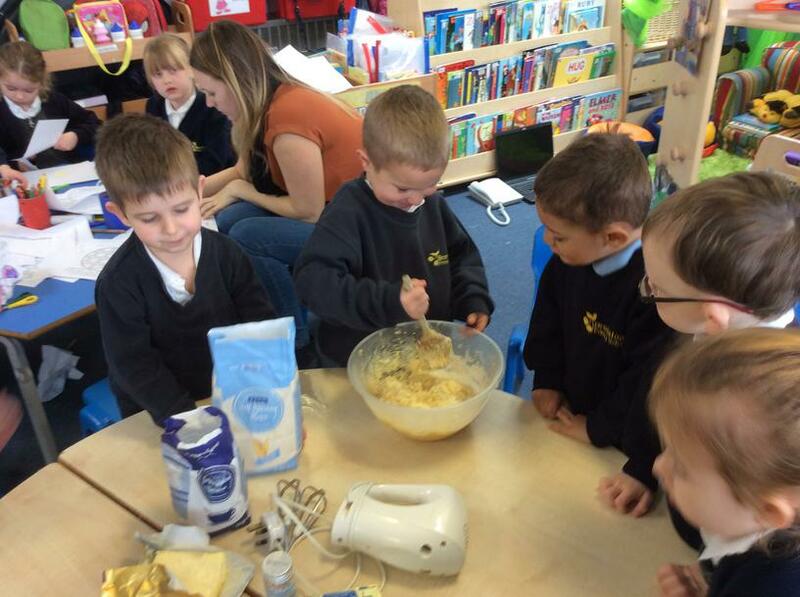 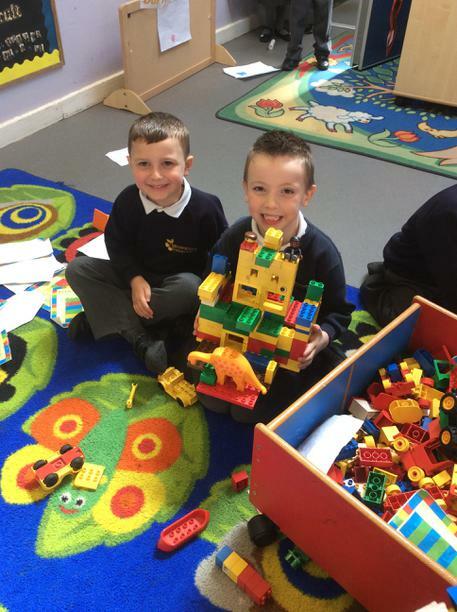 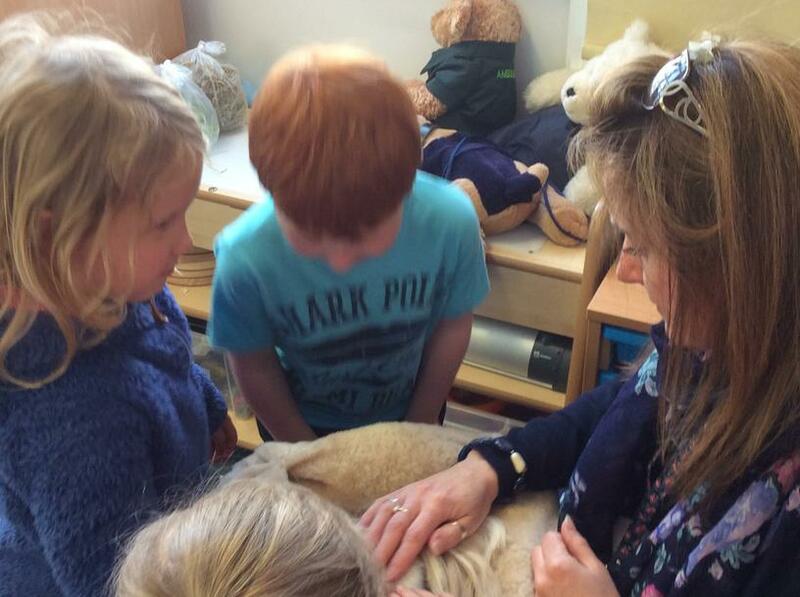 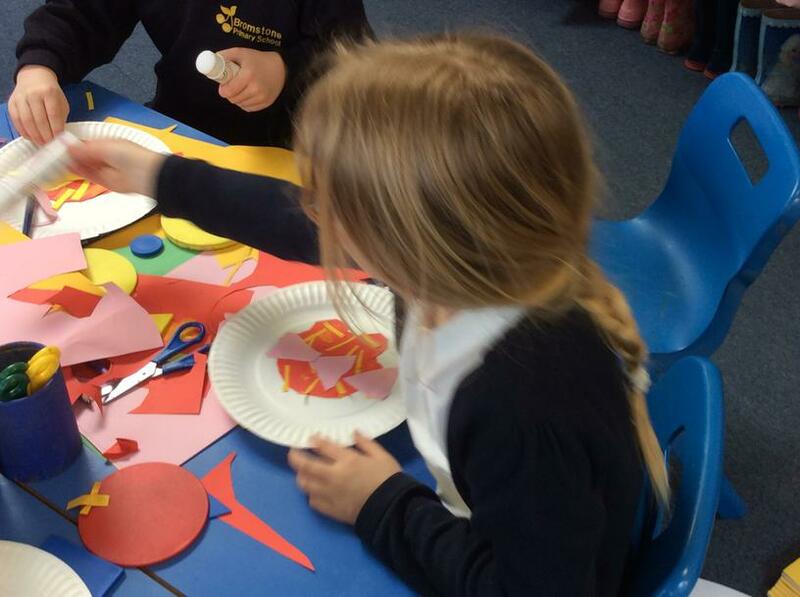 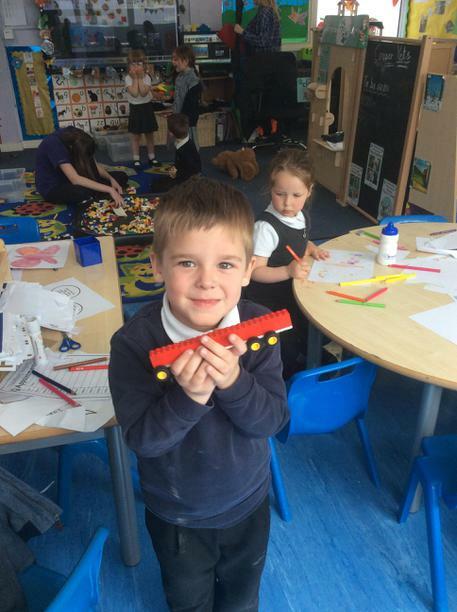 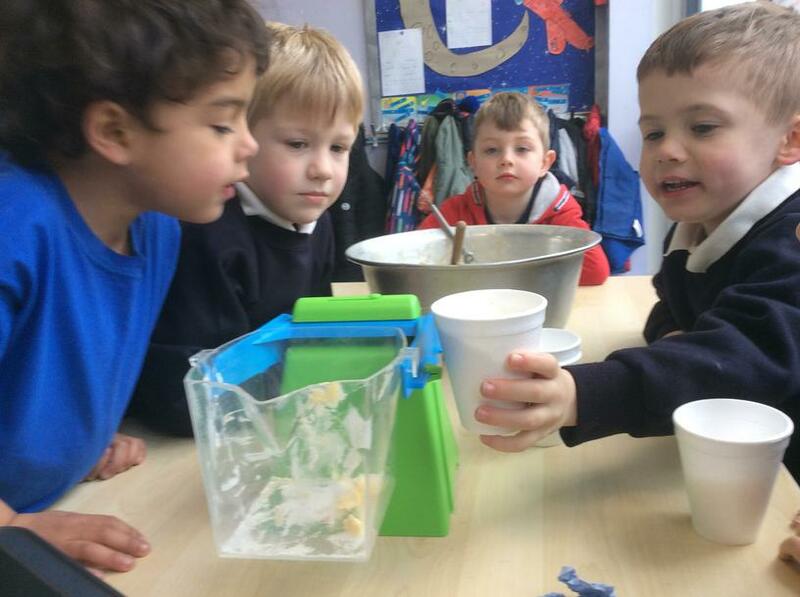 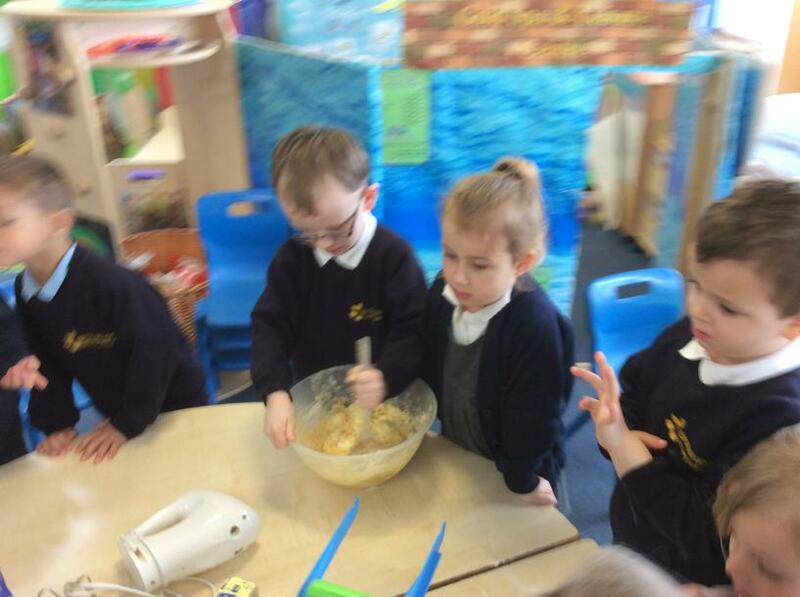 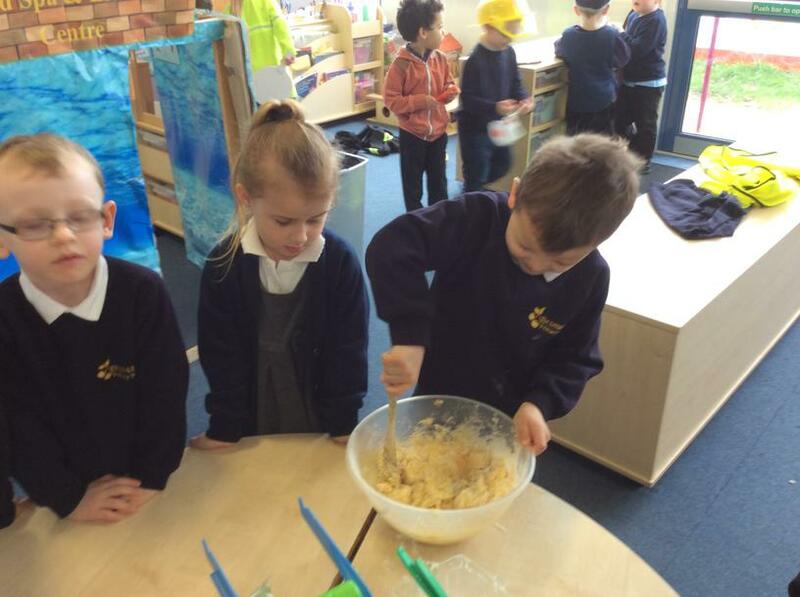 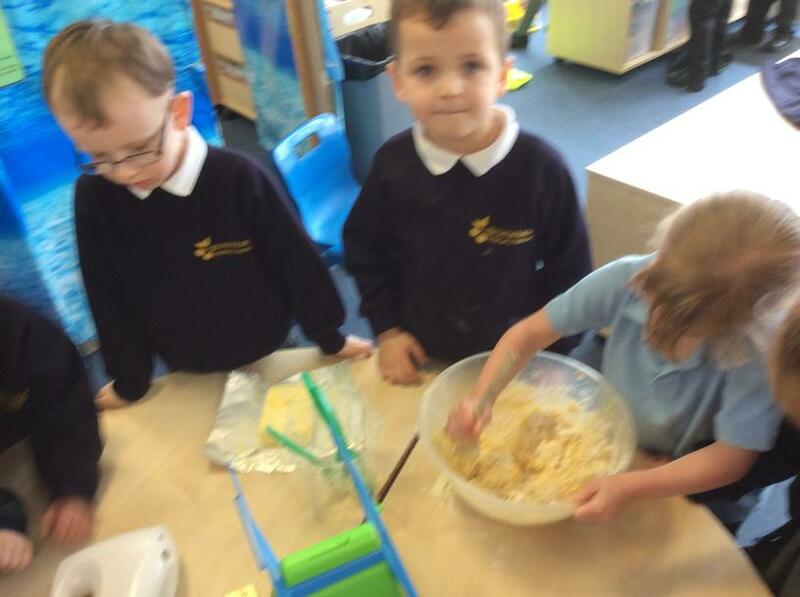 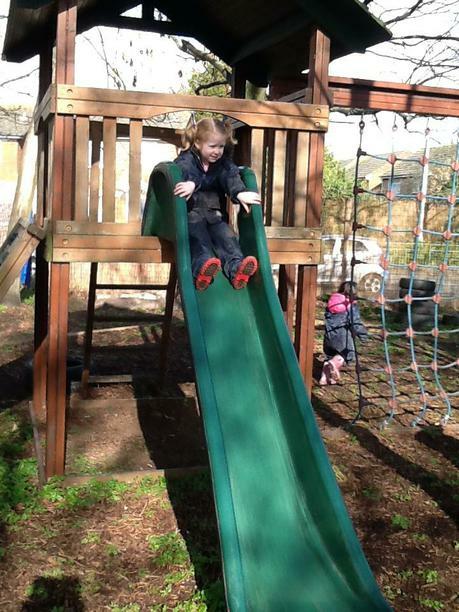 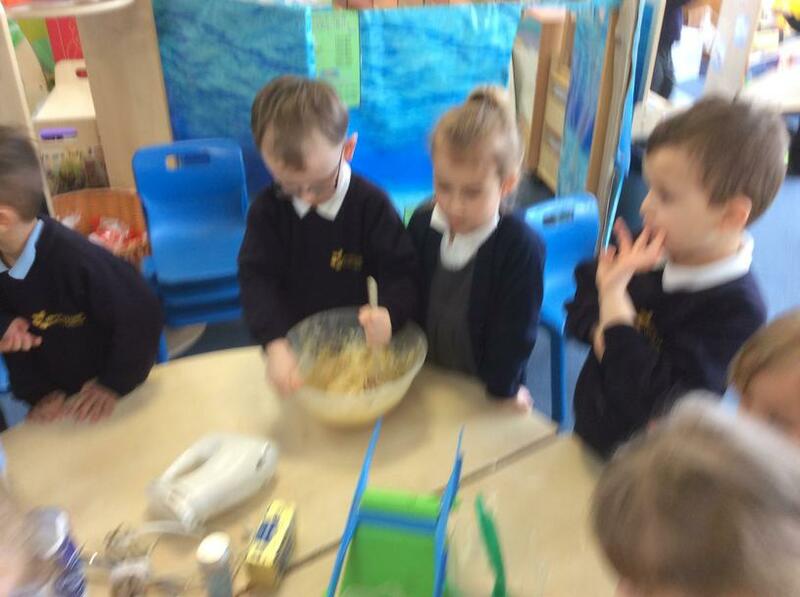 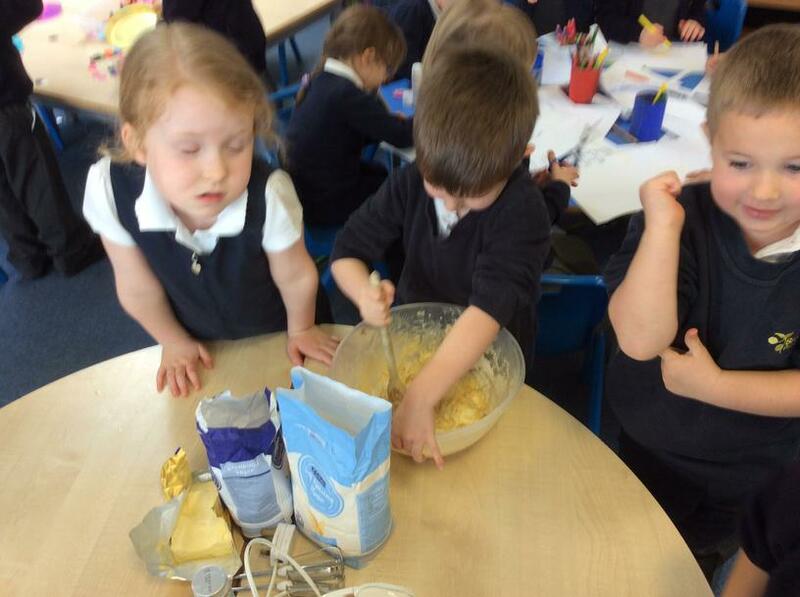 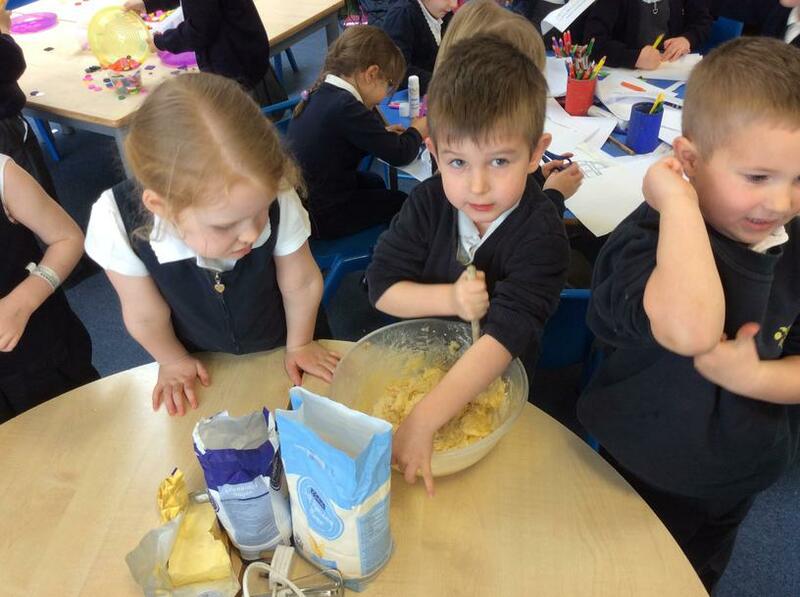 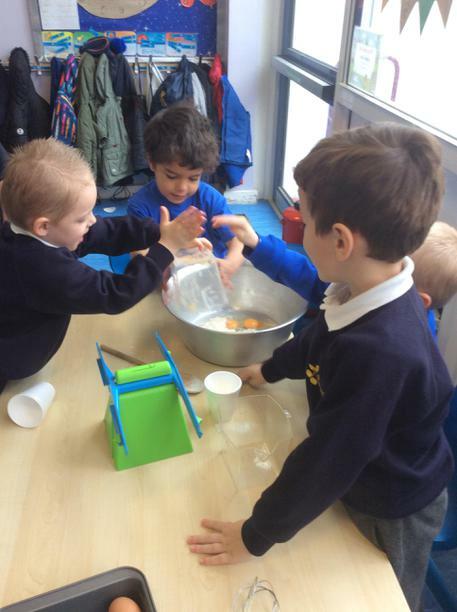 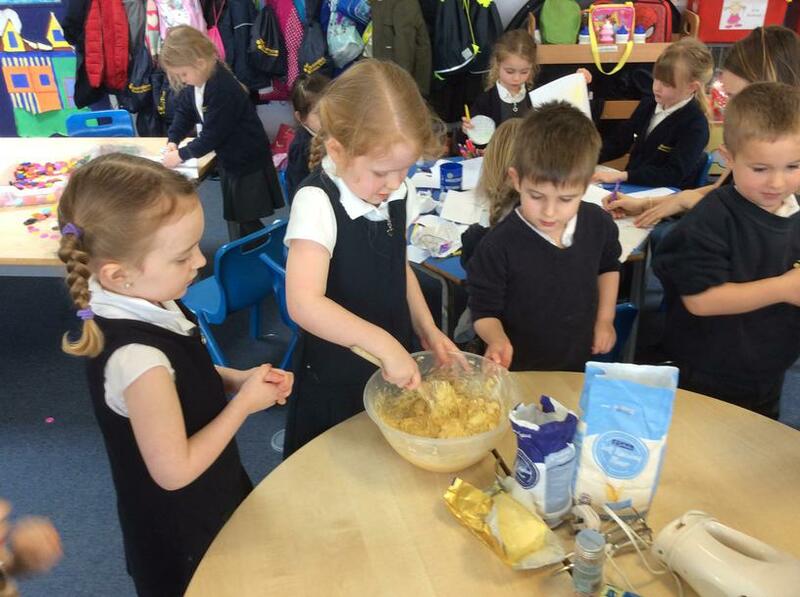 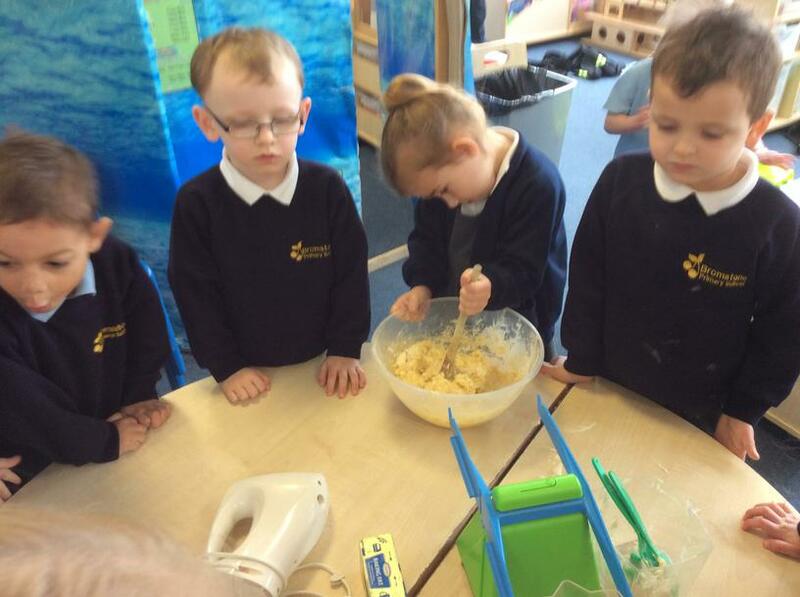 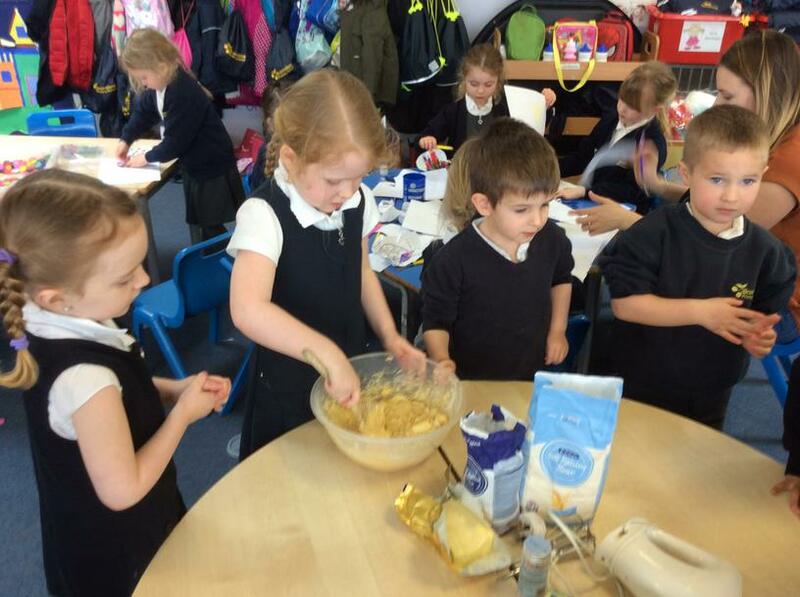 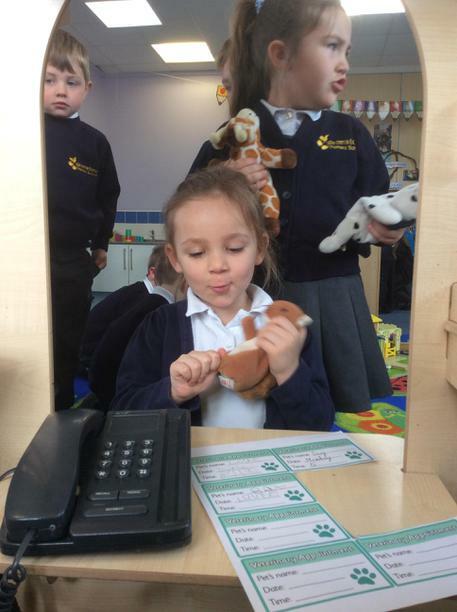 The reception children have had a busy and brilliant third term at school. 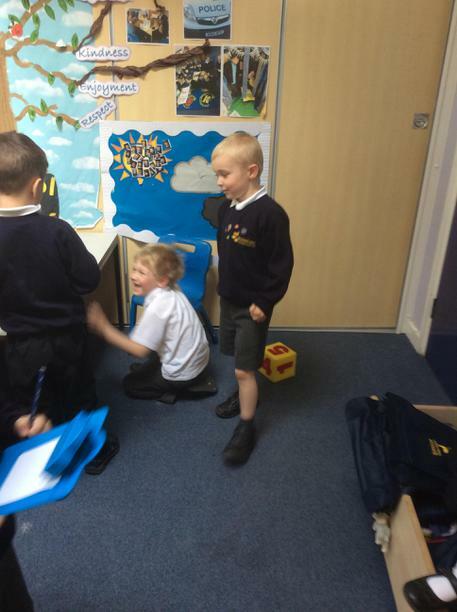 We have been enthused by our topic of Space and the children have demonstrated their fantastic learning through this topic. 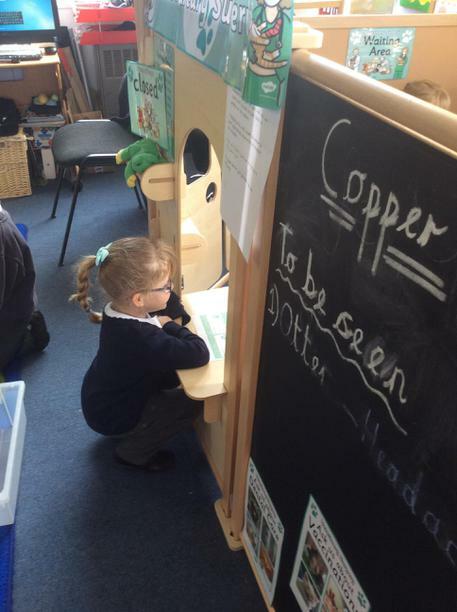 The children have continued to develop their reading skills through daily phonics and have now starting guided reading sessions. 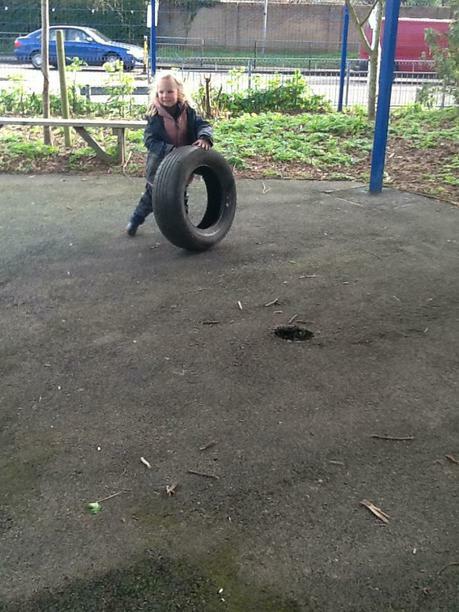 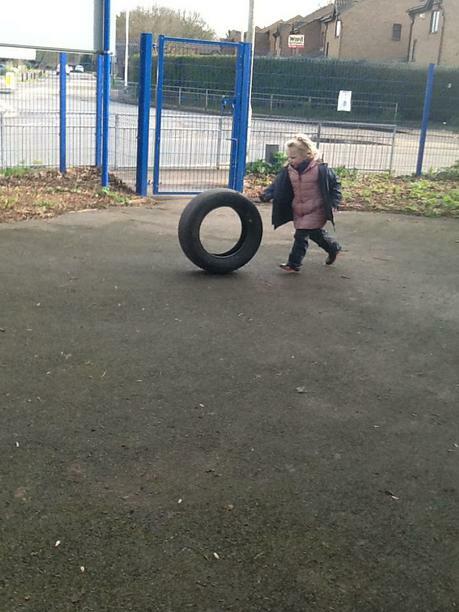 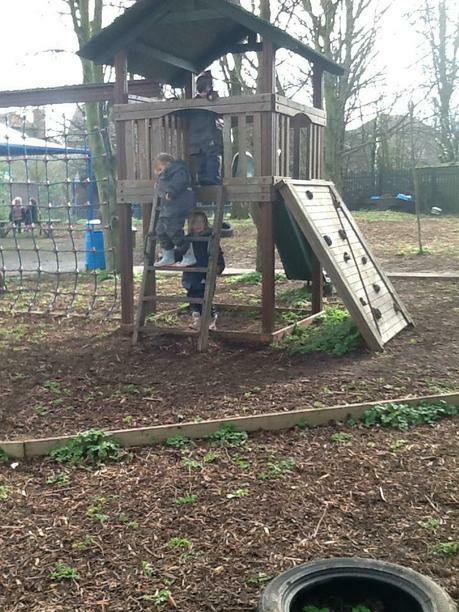 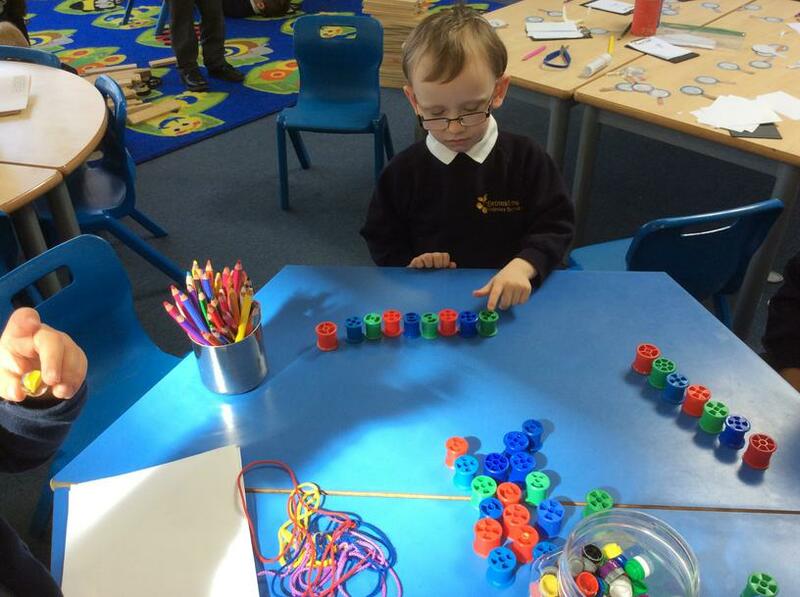 The children are also continuing to develop their maths skills through an array of fun opportunities. 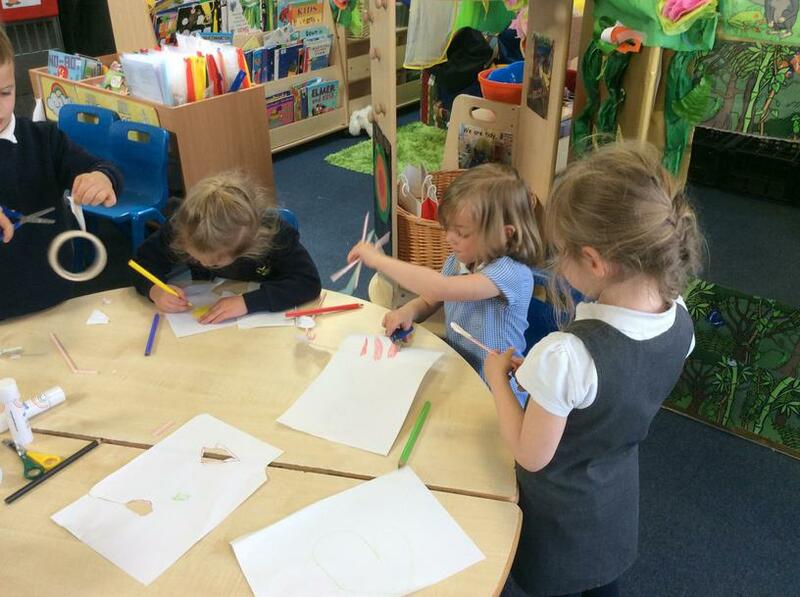 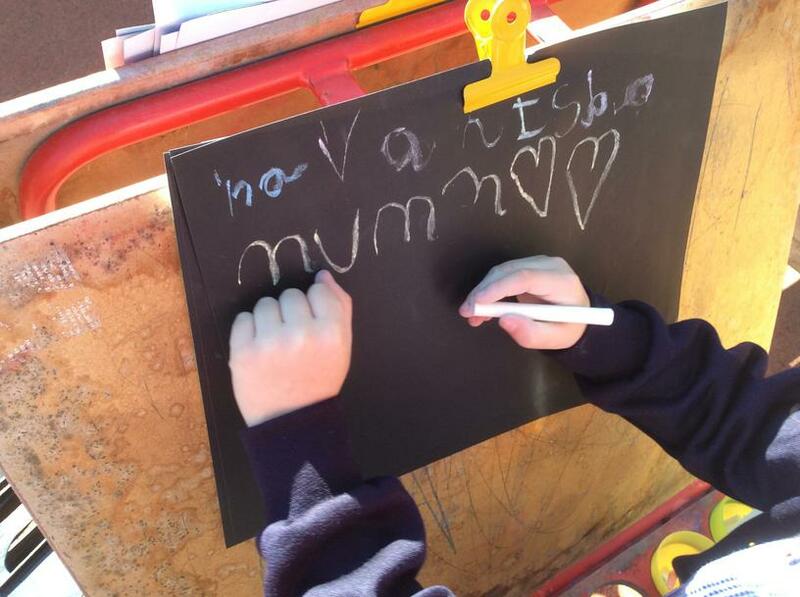 The children have also been improving their writing skills through a range of media and fine motor activities. 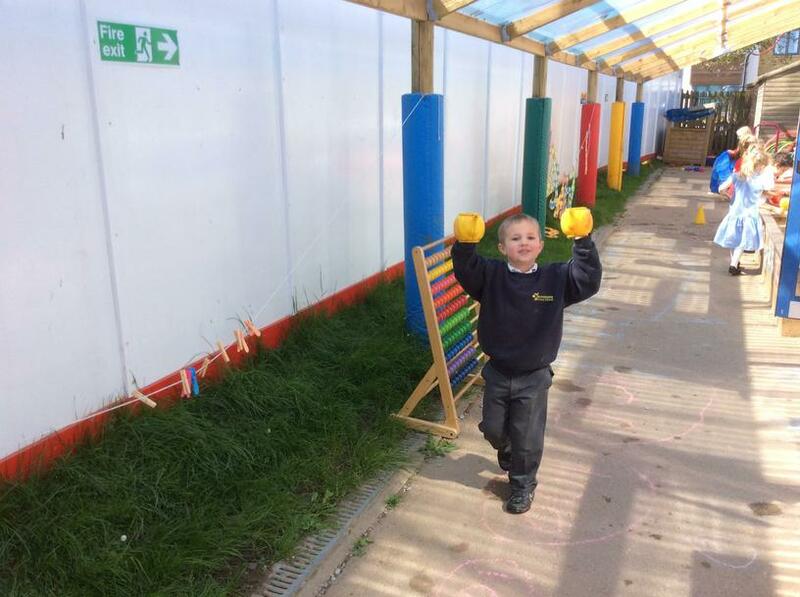 In PE this term the children have demonstrated their brilliant dancing with the support of Boogie Beebies to be found on http://www.bbc.co.uk/programmes/b006mvsc. 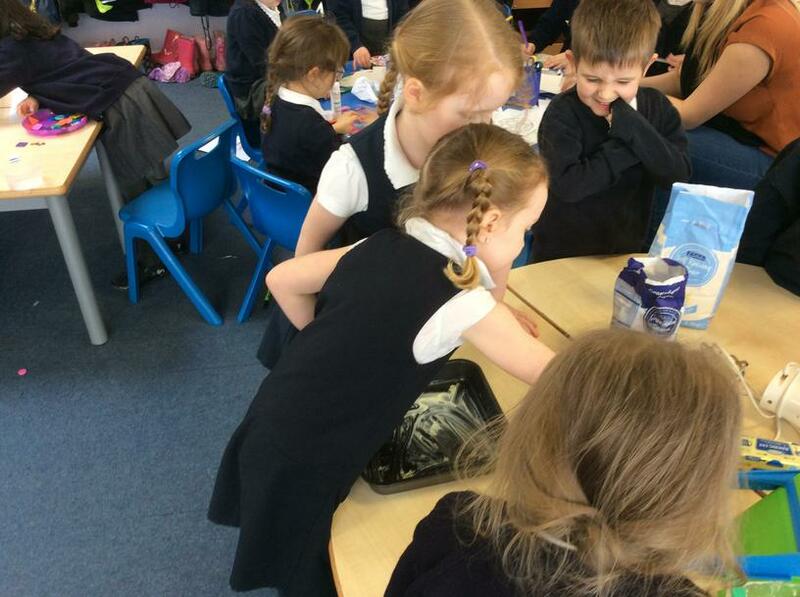 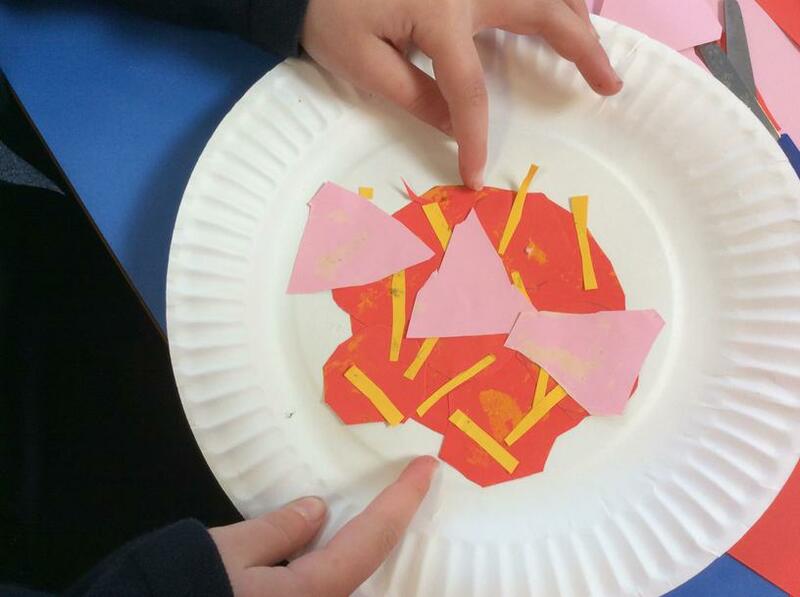 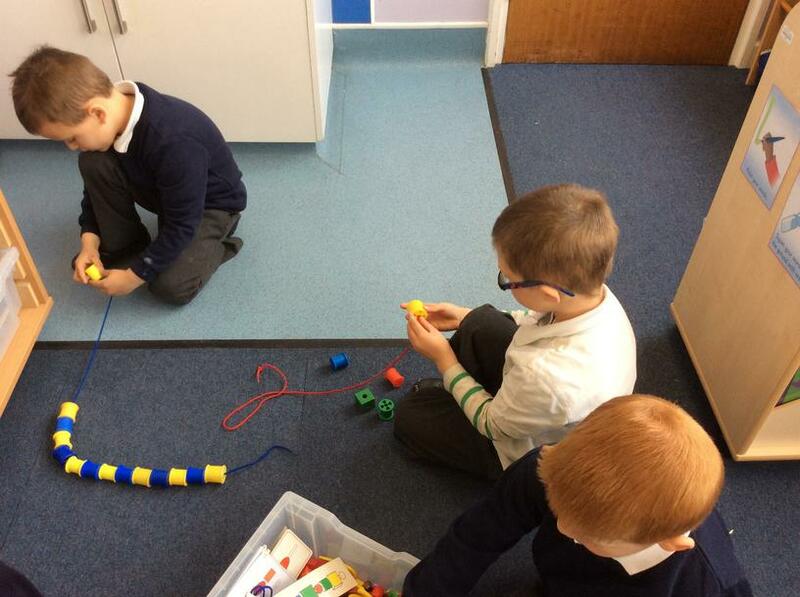 We have shared photos of some of the learning from this term below. 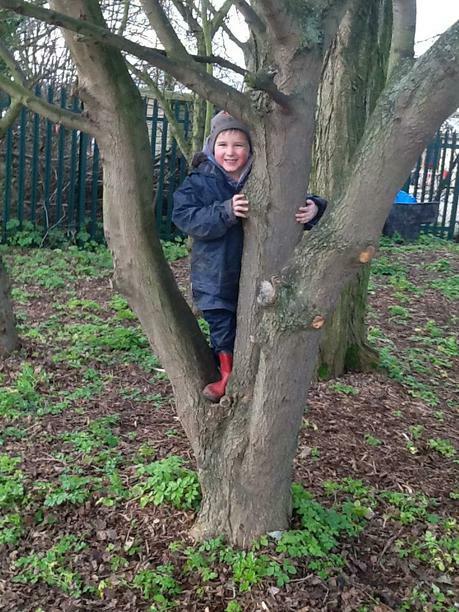 Next term our topic will be Mind, Body and Soul and we look forward to sharing the new learning on the website in the near future. 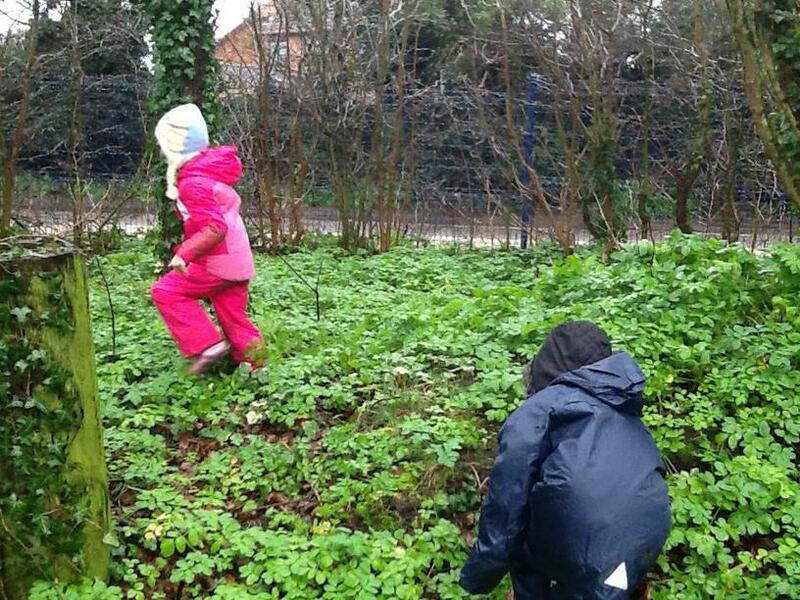 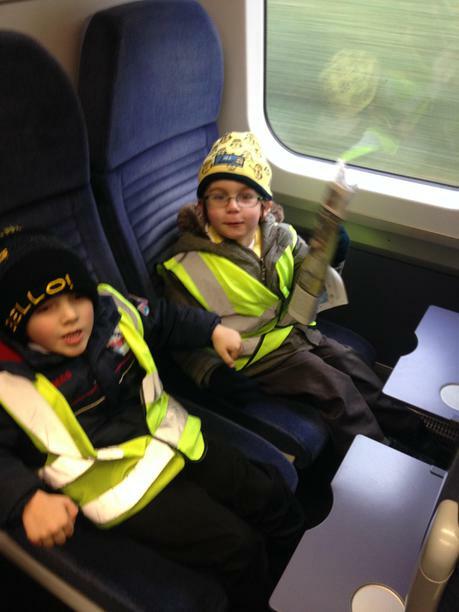 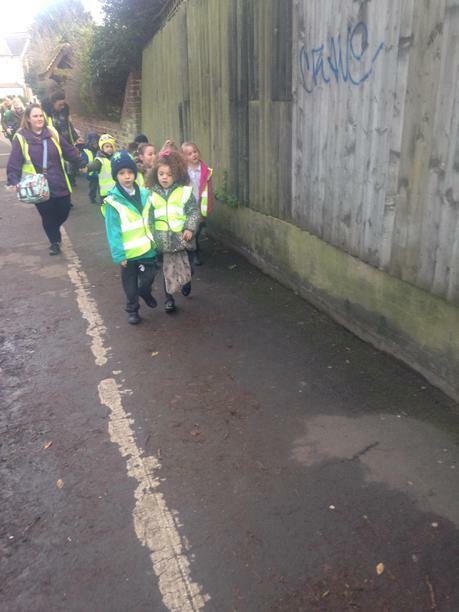 The children were totally amazing during their trip to the cinema to se Capture the Flag. 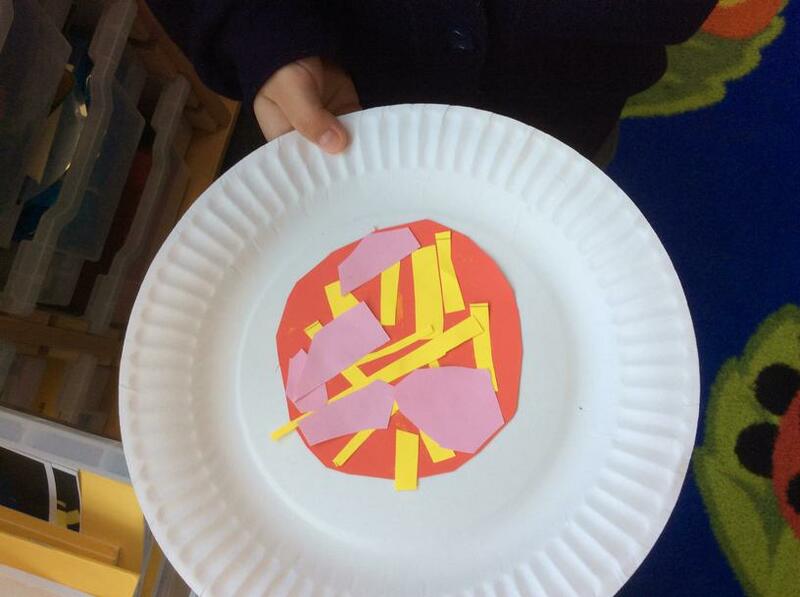 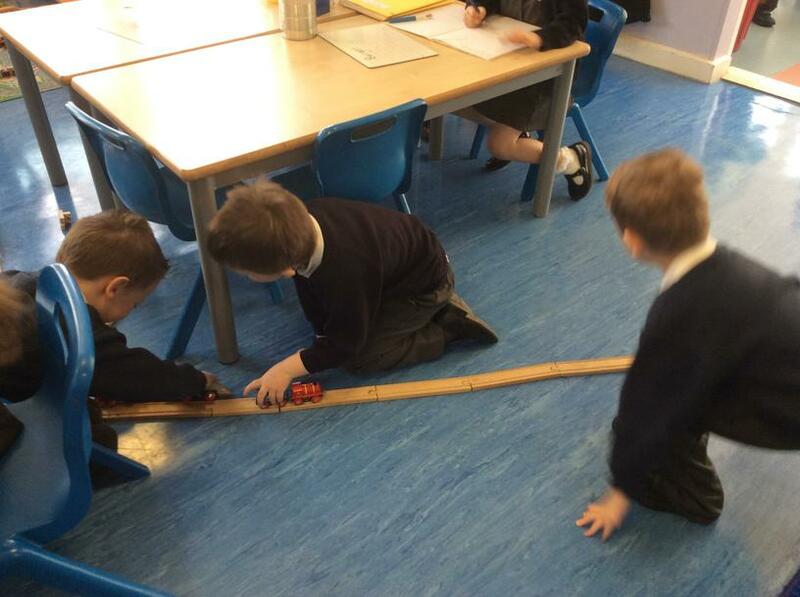 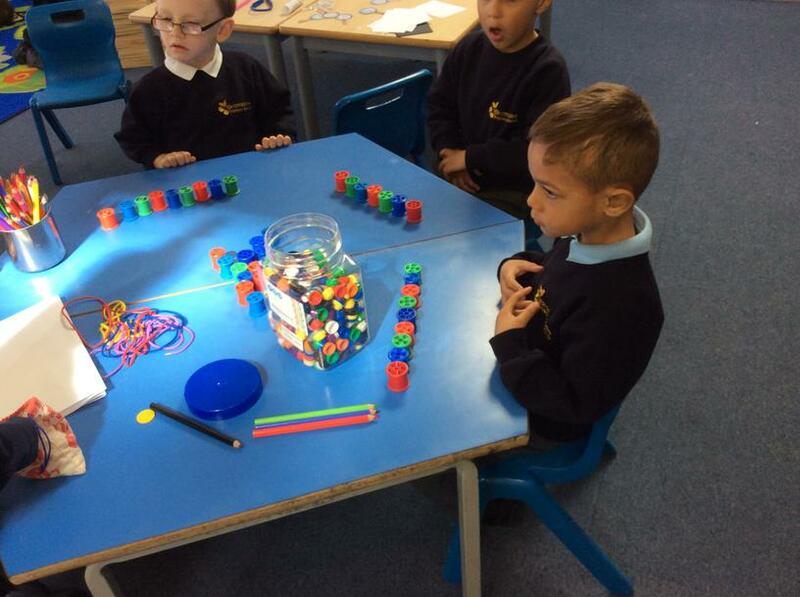 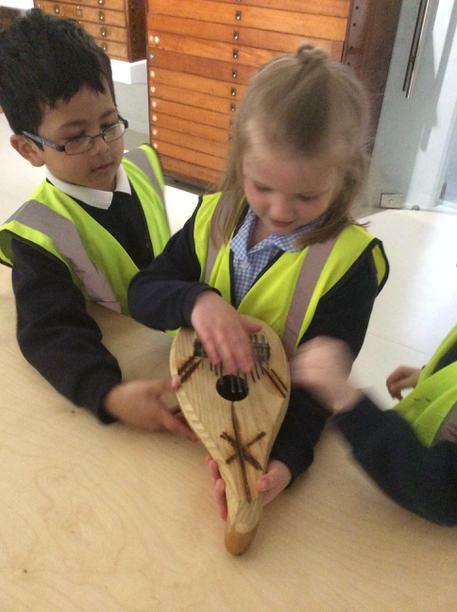 The children explore numbers and space, shape and measure. 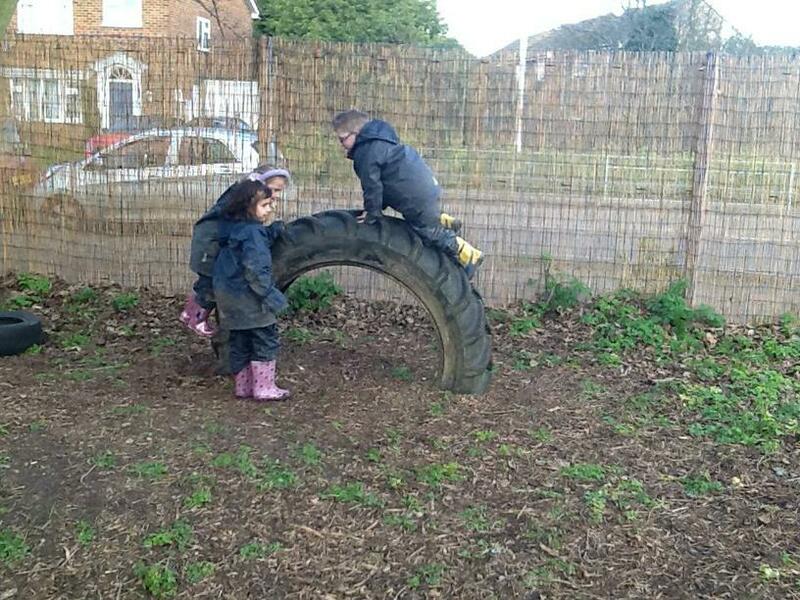 During the children's second fantastic term at Bromstone we've continued to have lots of fun, learning and experiencing lots of new thing. 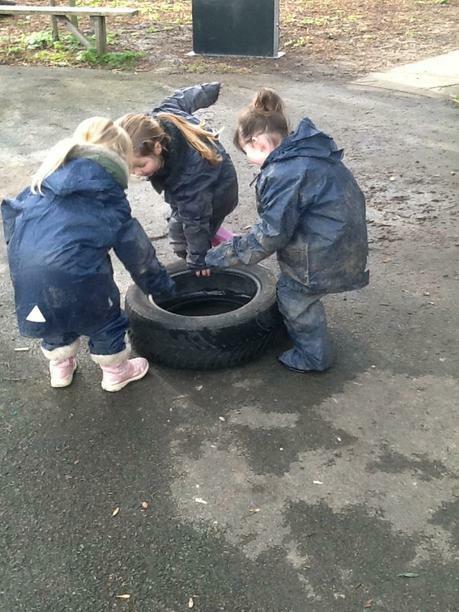 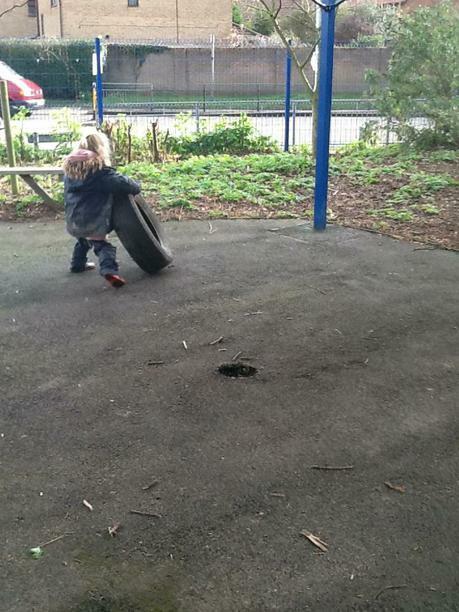 Our topic this term is 'People Who Help Us'. 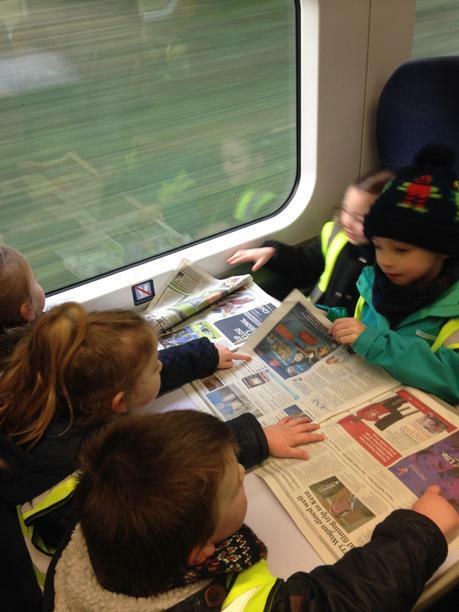 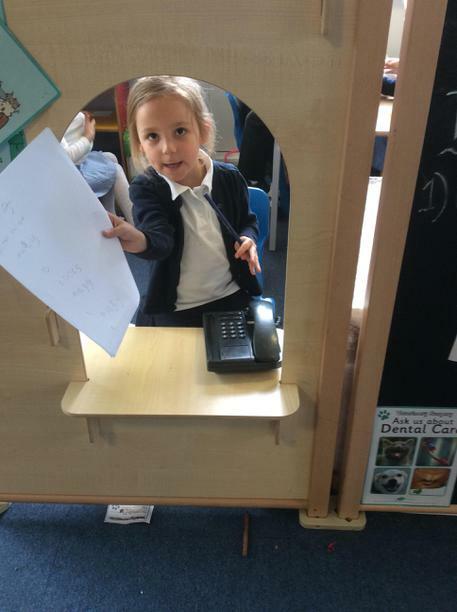 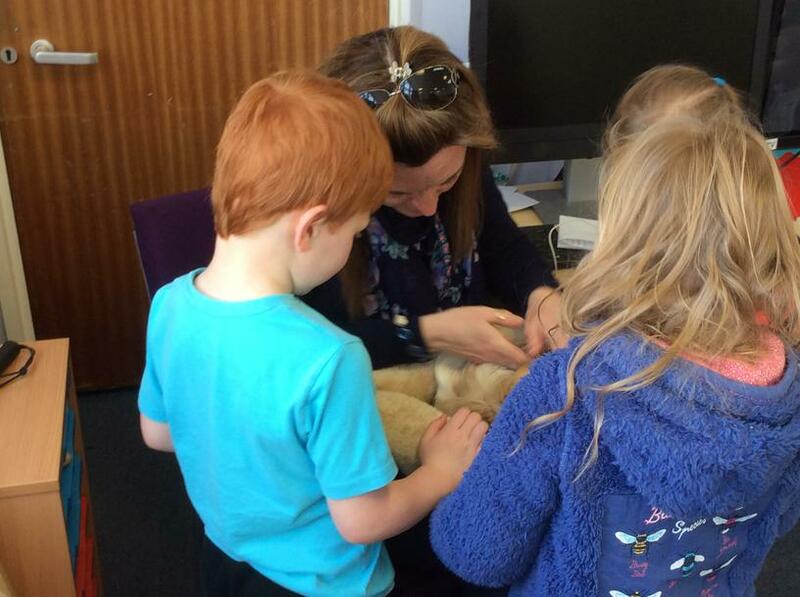 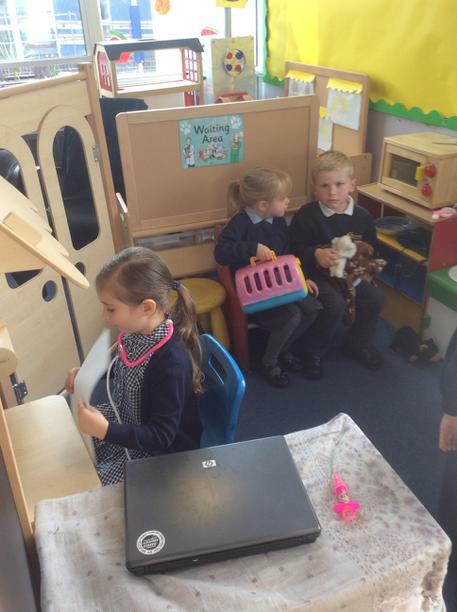 The children have been learning lots through role play in our newsroom, doctors surgery and post office! 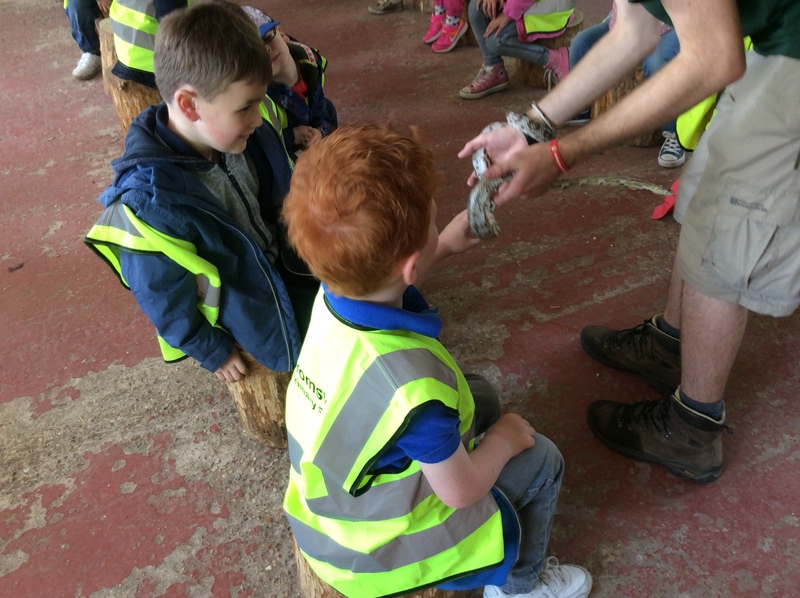 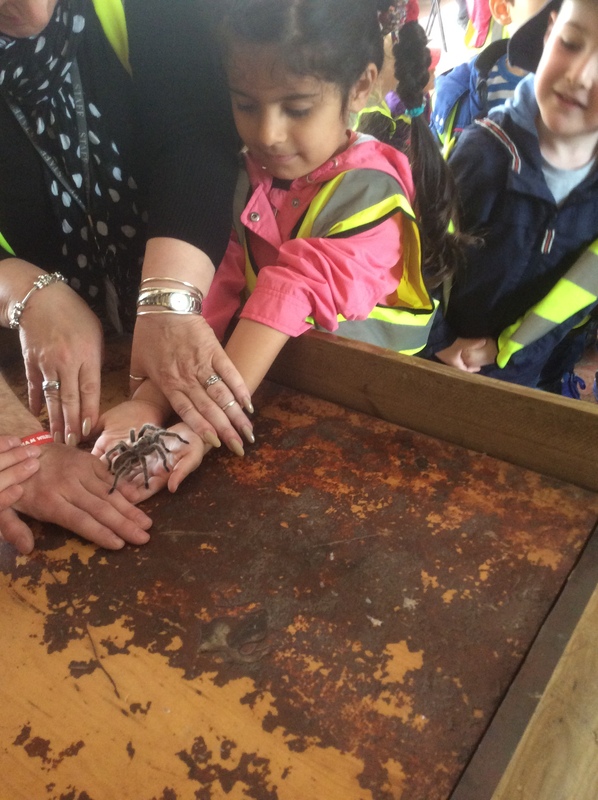 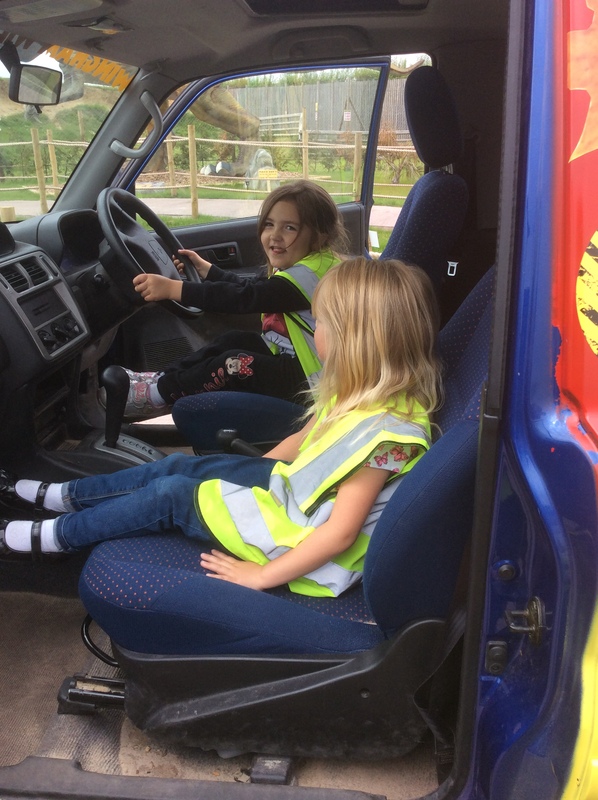 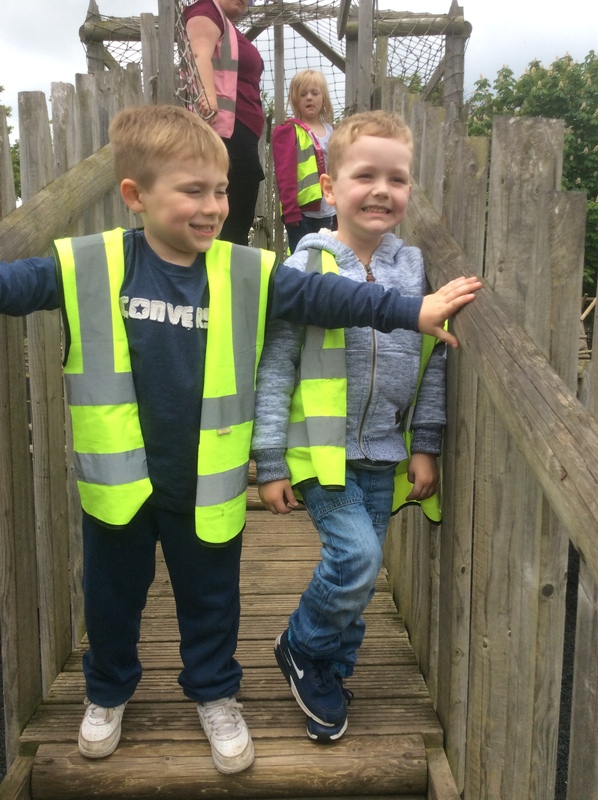 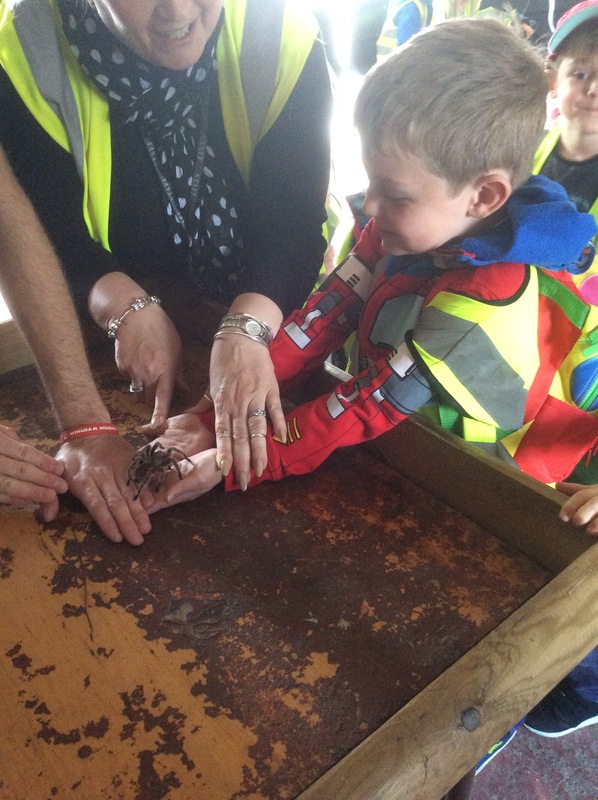 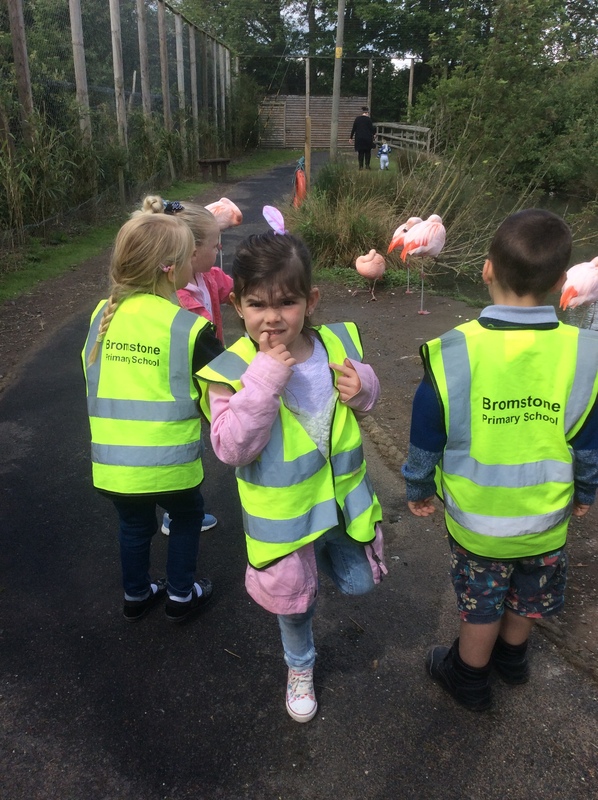 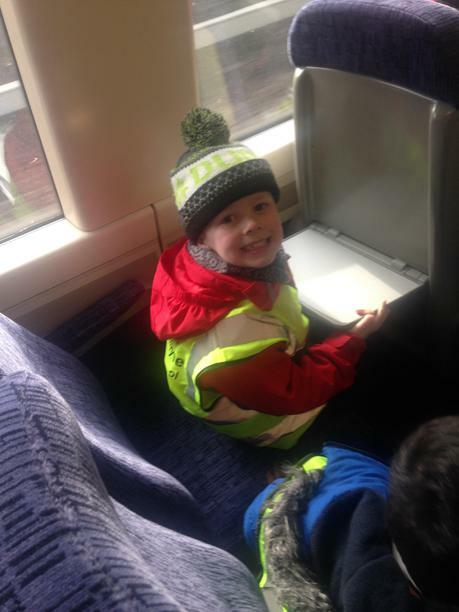 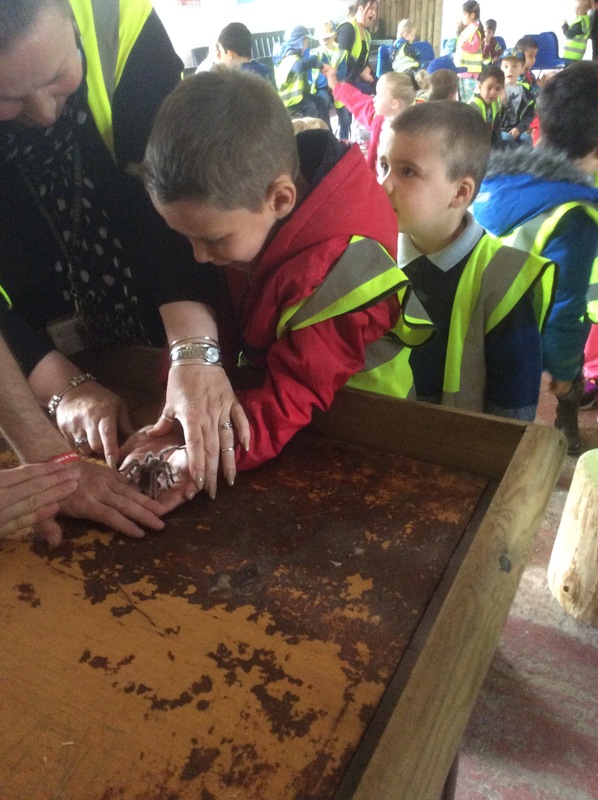 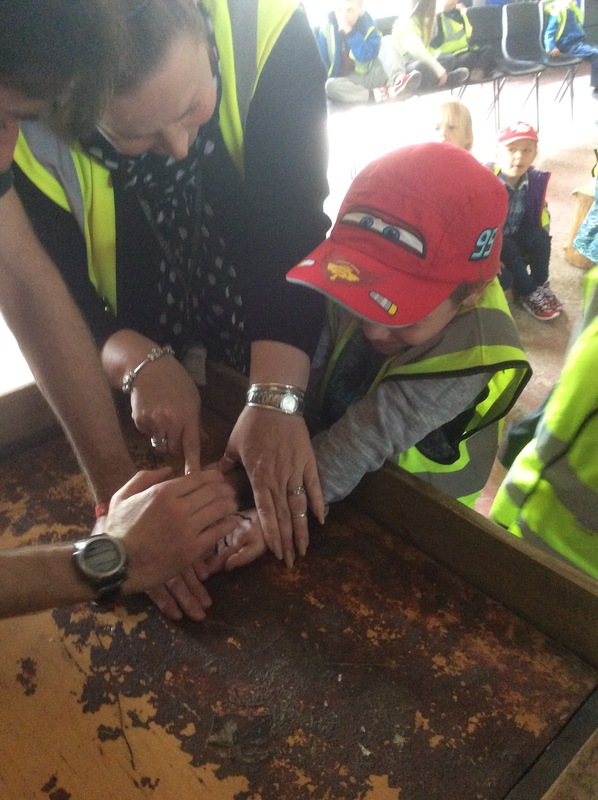 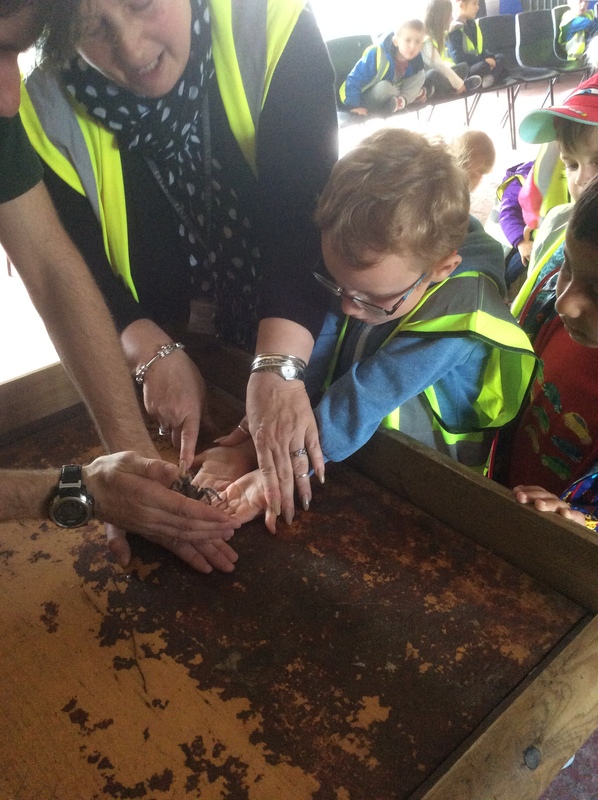 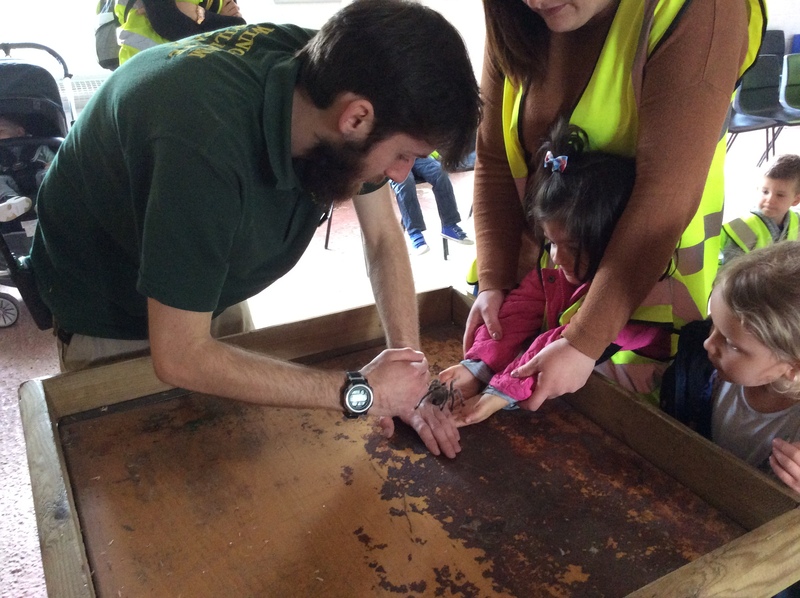 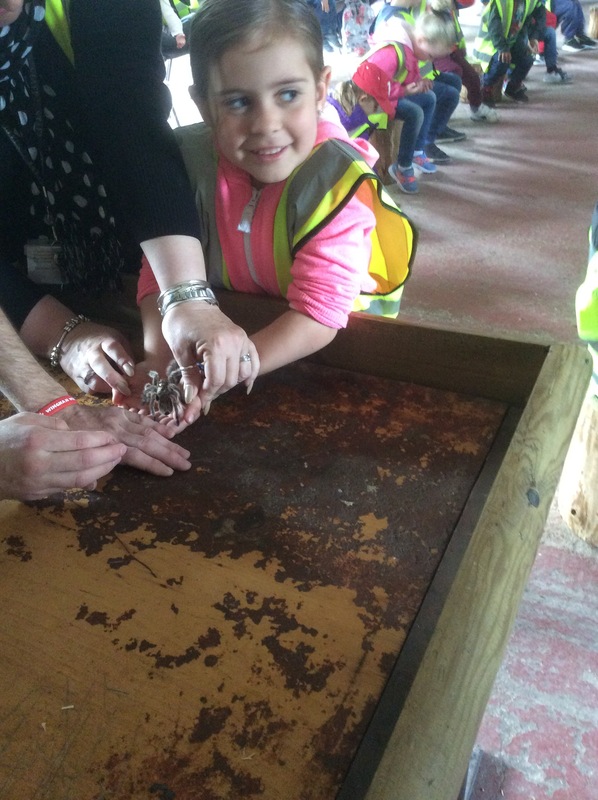 The foundation team liaised with our community service providers to allow the children the opportunity to have fantastic first hand experiences. 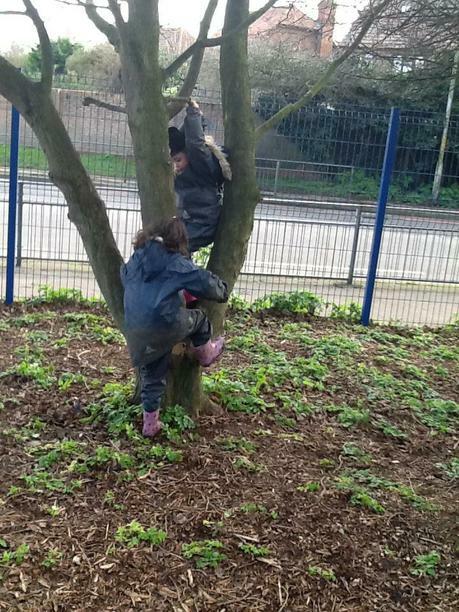 Once again the children have risen to the challenge of their second term and achieved great success. 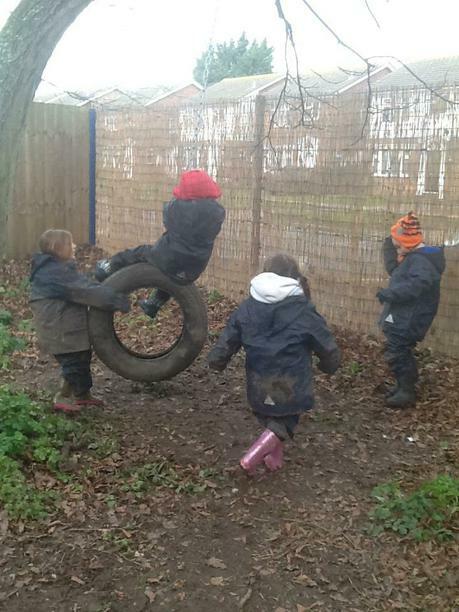 We are all looking forward to our exciting new learning opportunities in 2016. 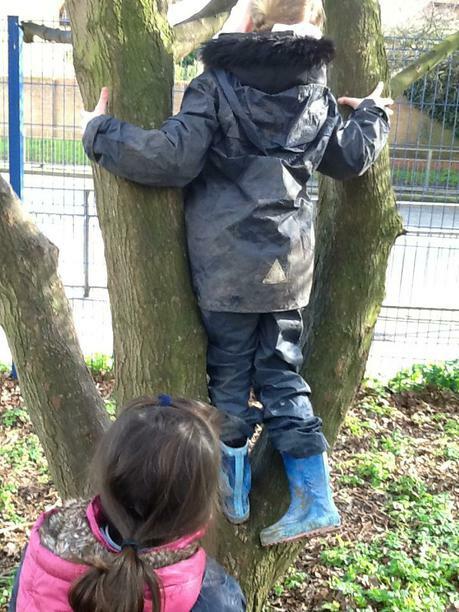 As always the children will be the inspiration for our leaning next term. 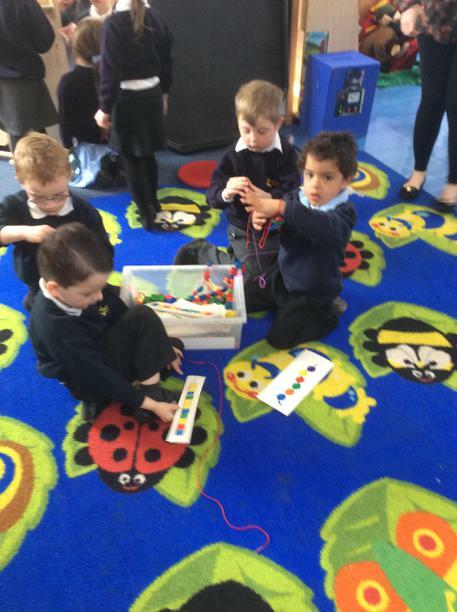 Please enjoy the photos of the children's learning below. 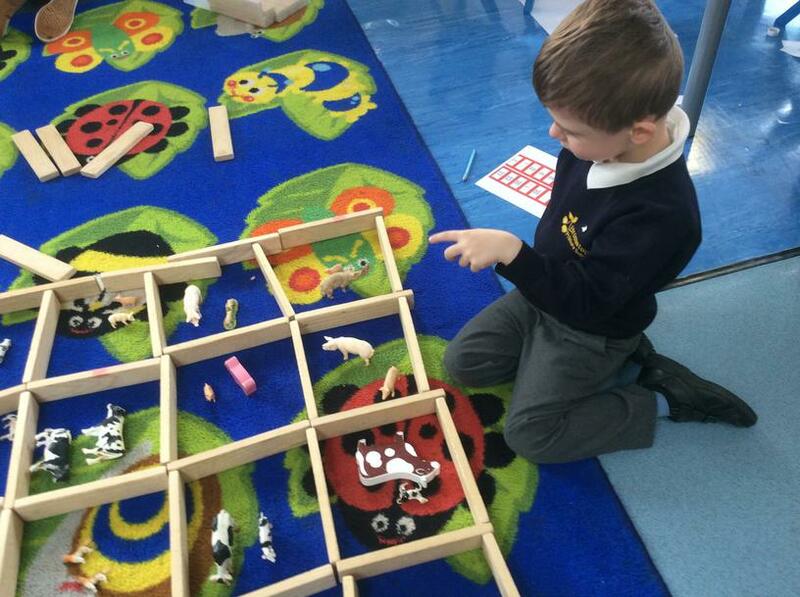 Discussing together our designs and constructions. 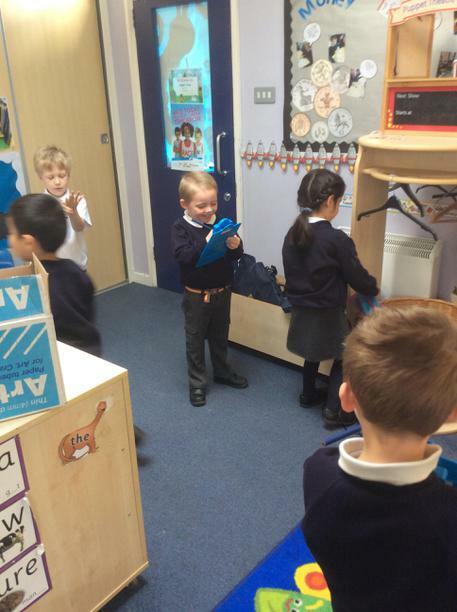 Writing down a shopping list for out house. 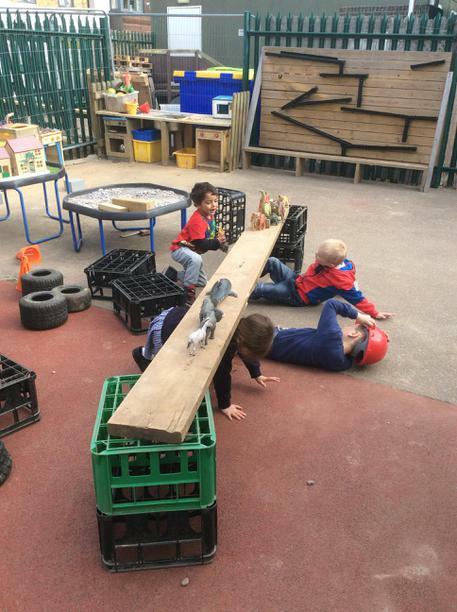 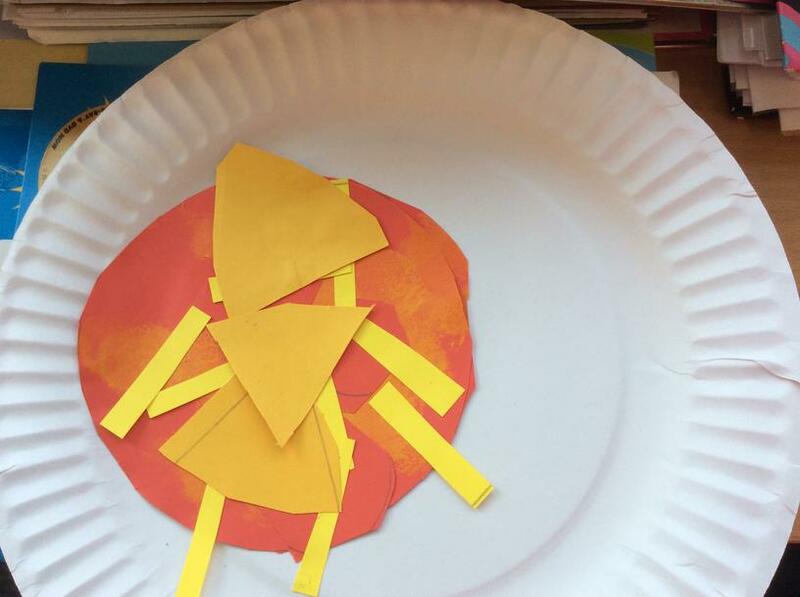 Using various media and materials. 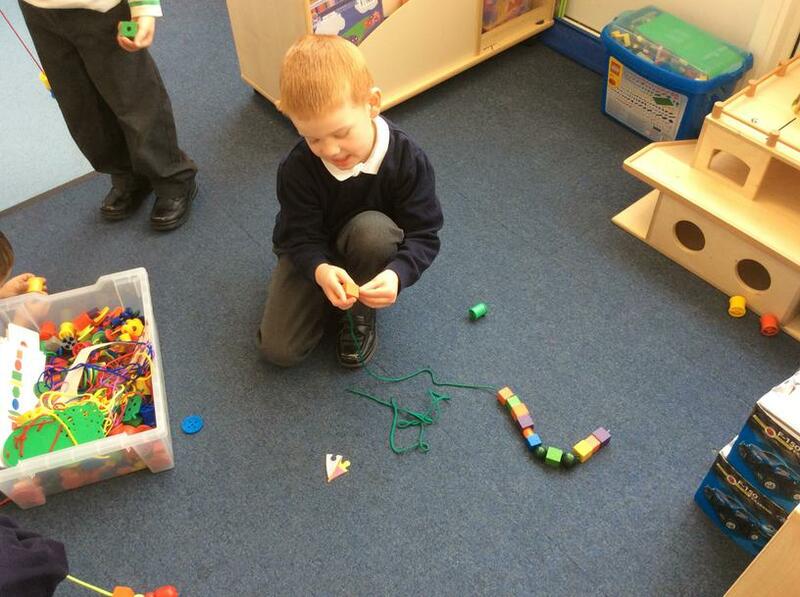 Using our fine motor skills.